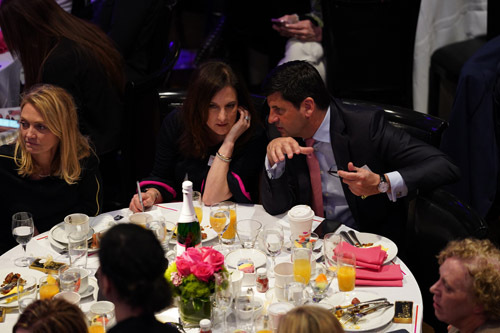 You may click on any photograph to download a high-resolution version. 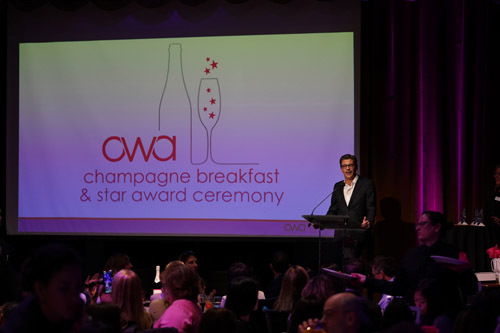 There are two albums below: one for OWA Champagne Breakfast, and a second album for the OWA Star Birthday Celebration. 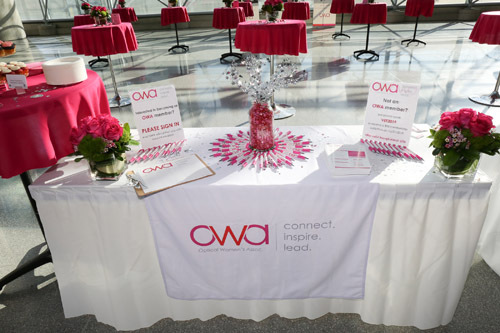 All photos provided by the OWA, except where otherwise credited. 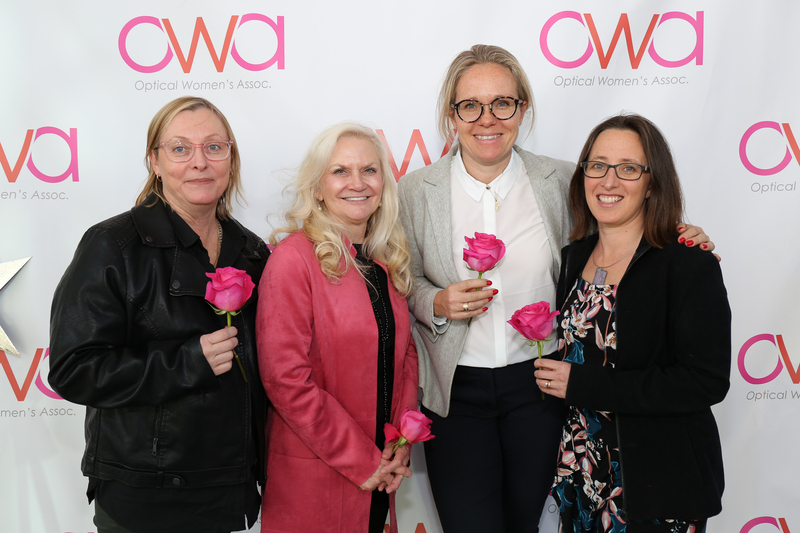 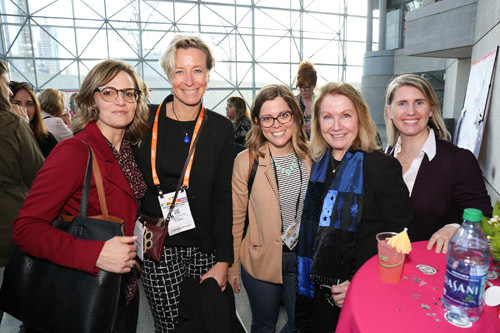 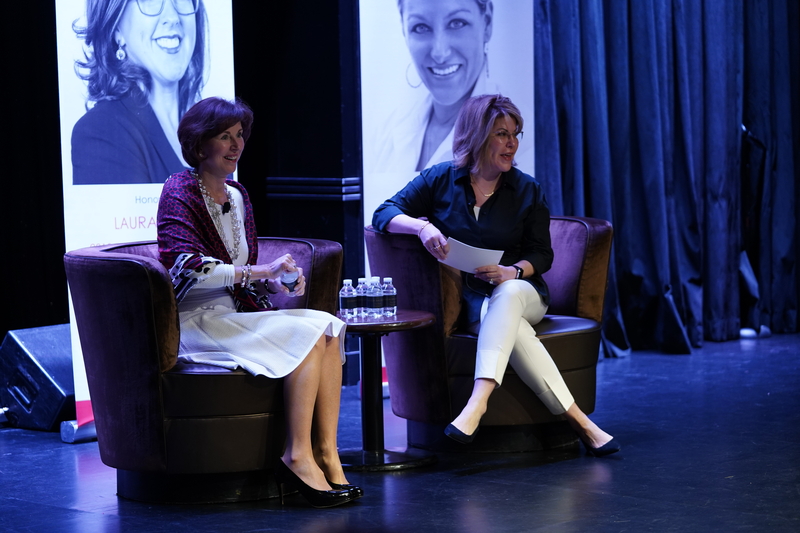 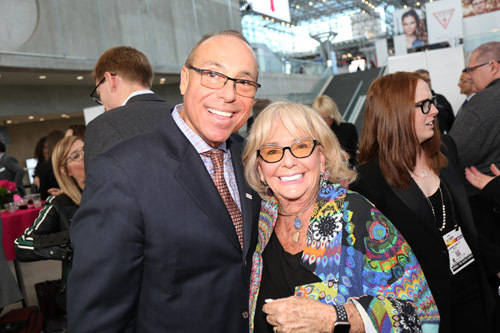 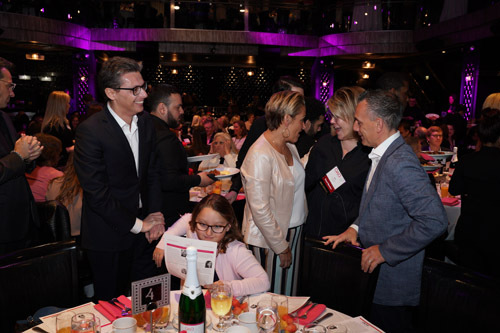 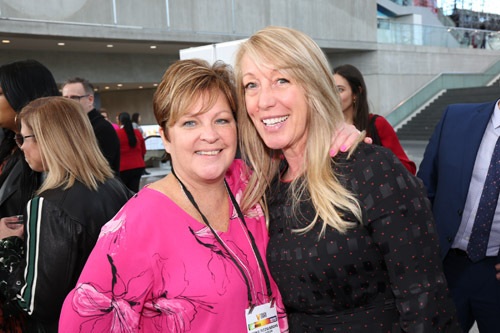 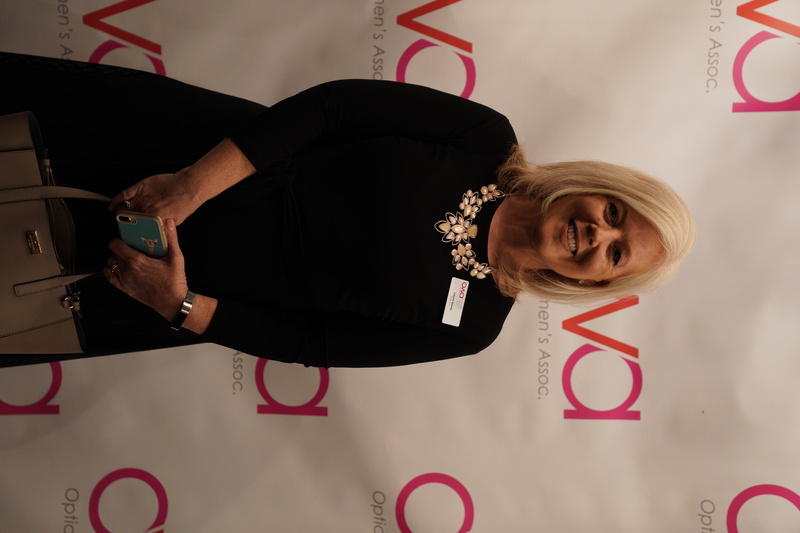 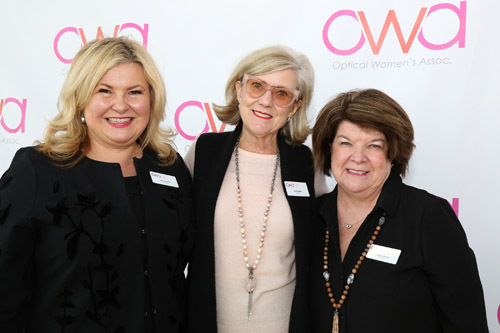 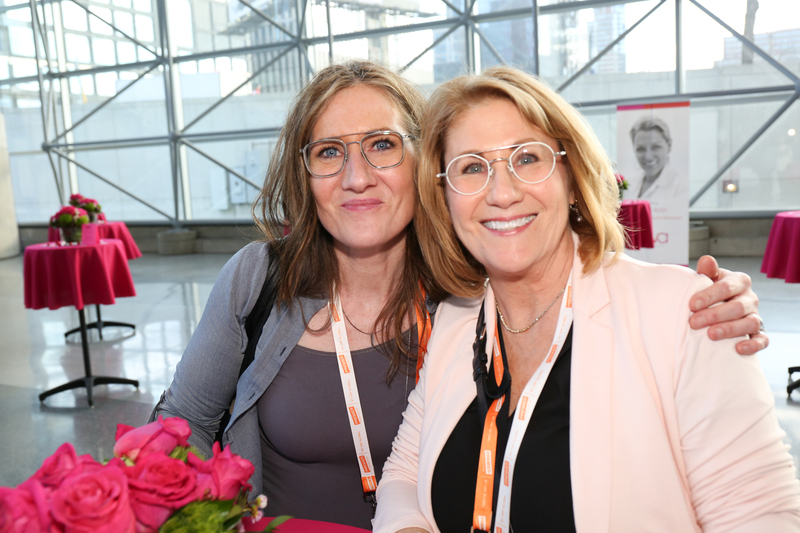 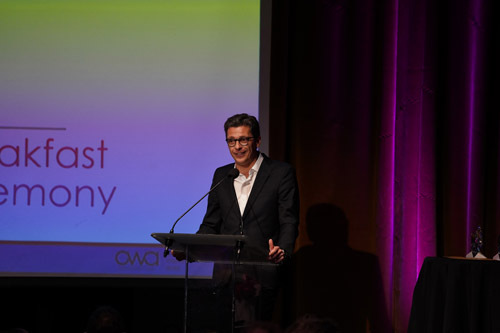 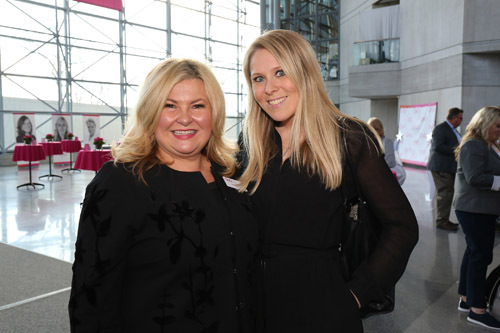 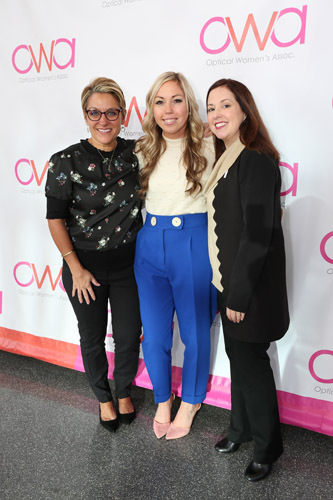 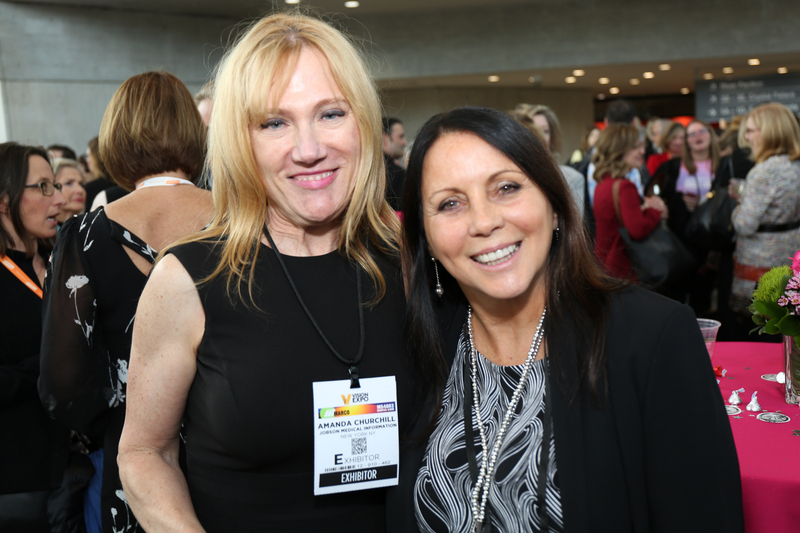 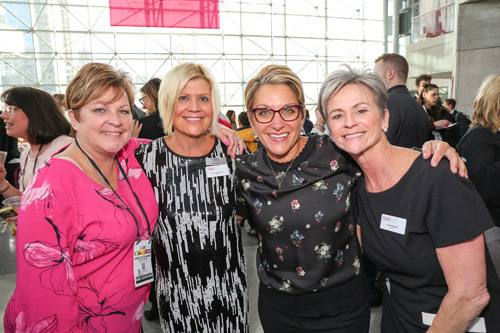 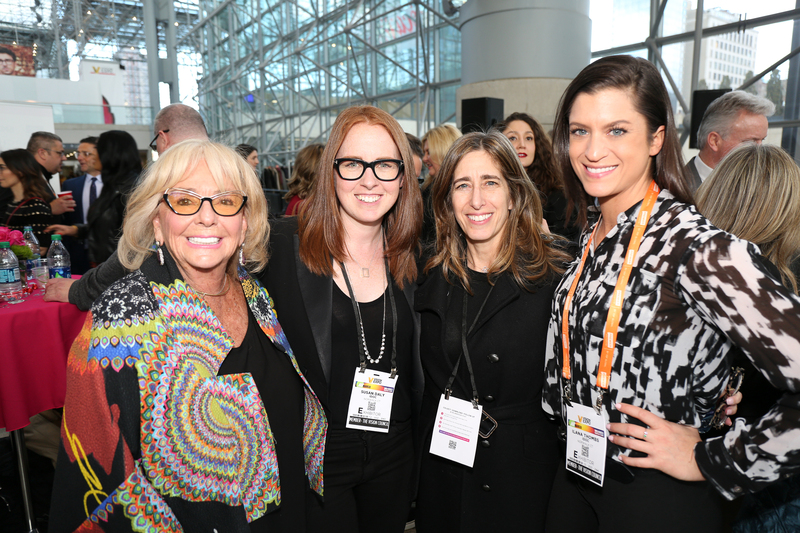 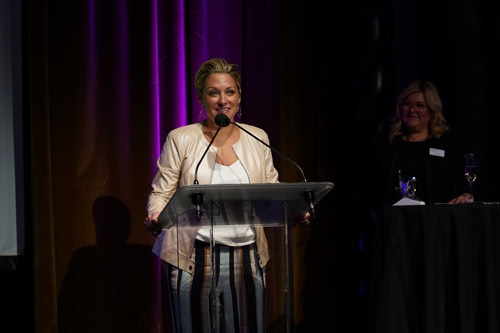 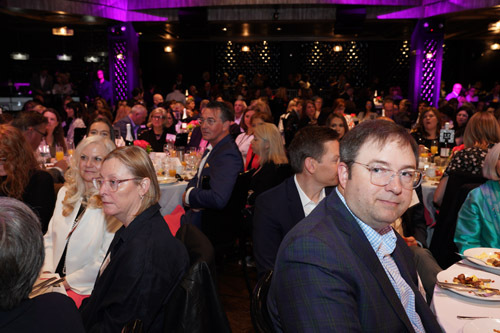 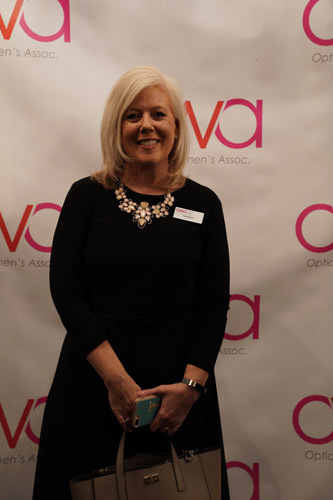 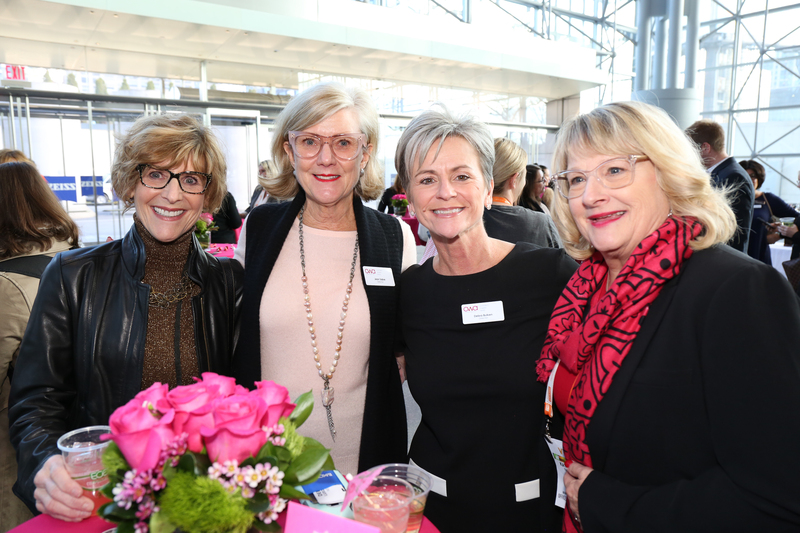 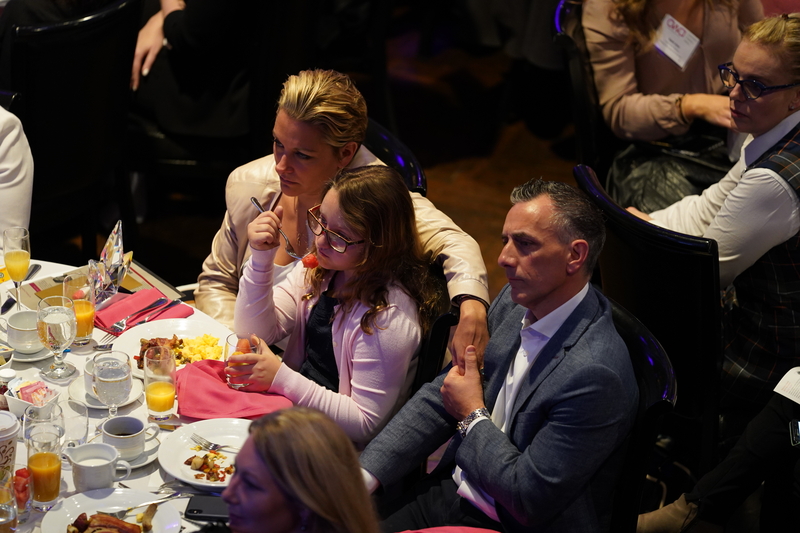 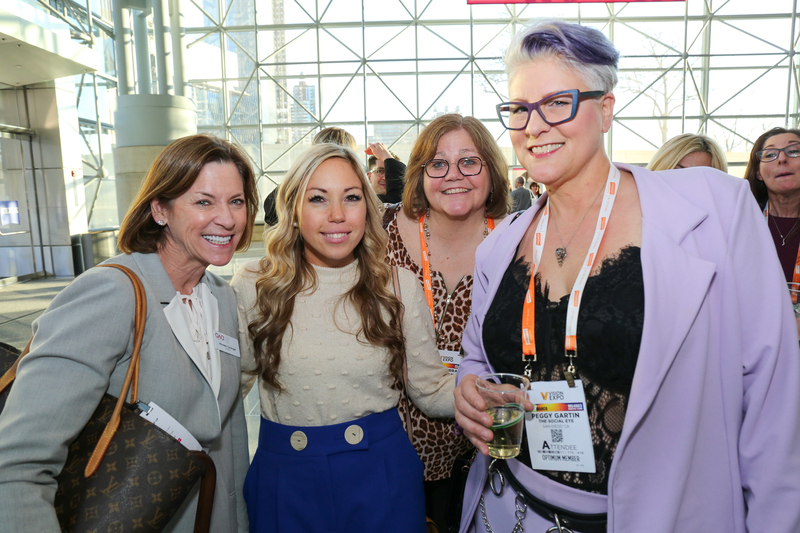 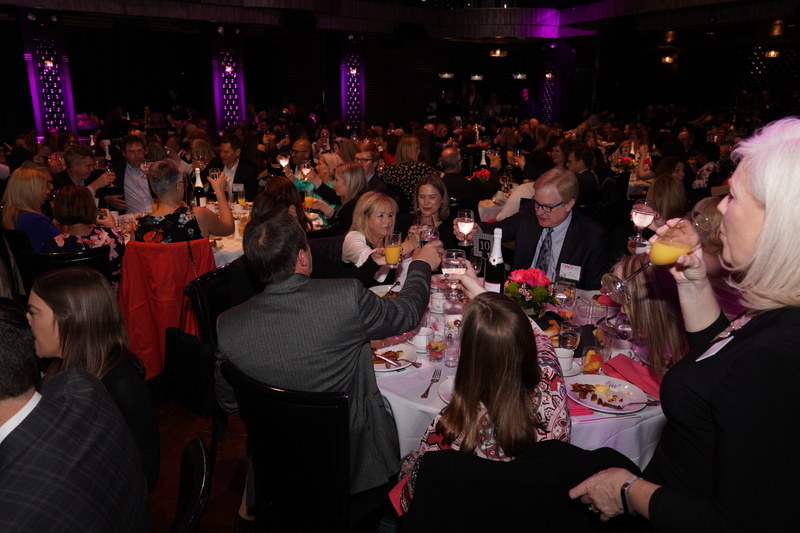 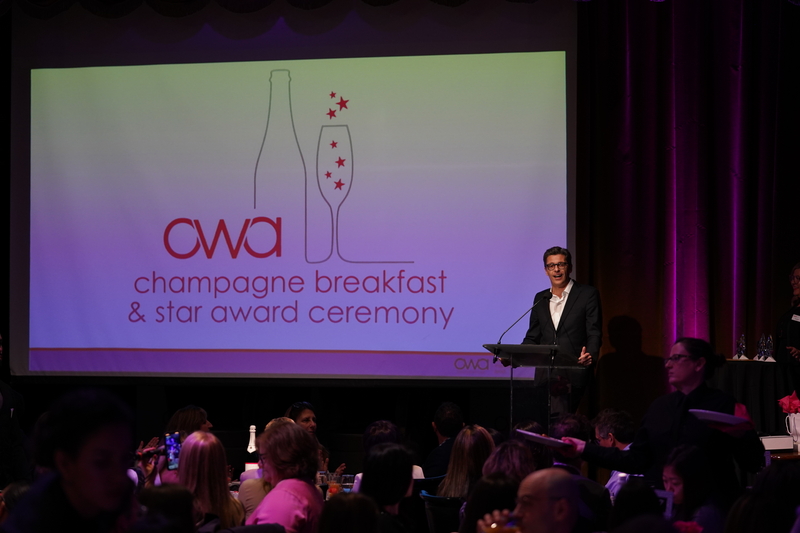 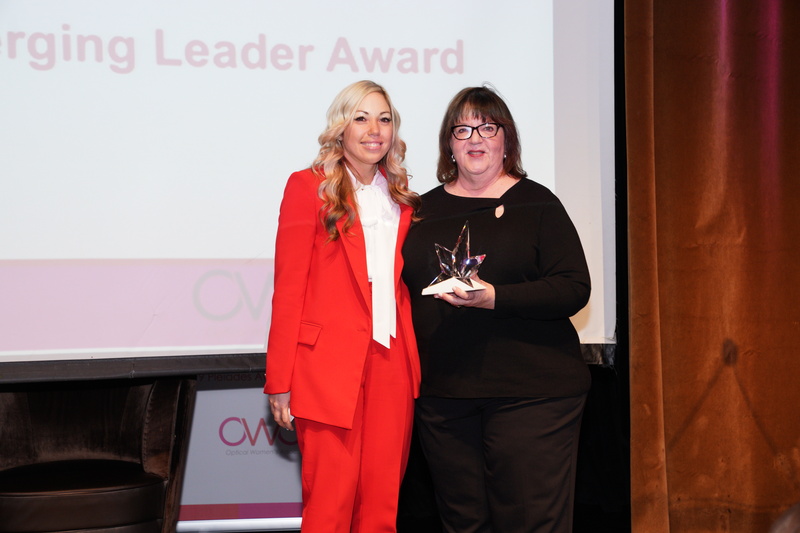 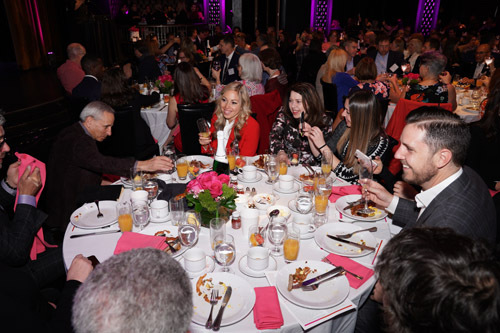 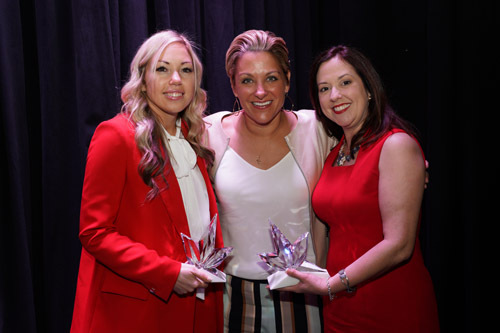 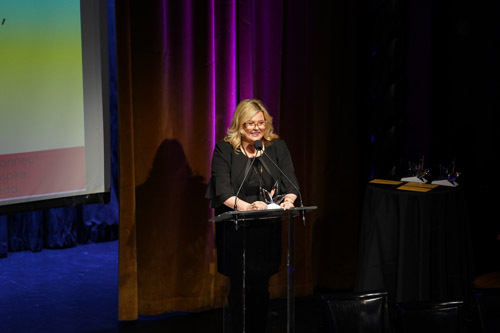 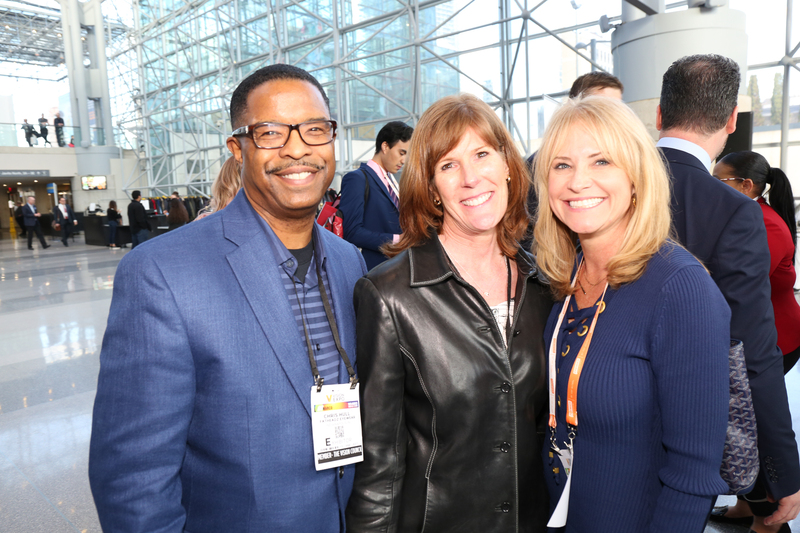 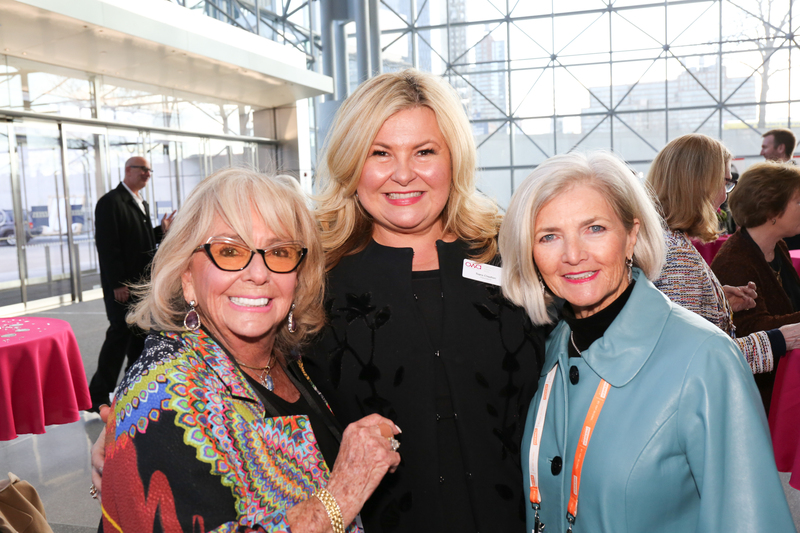 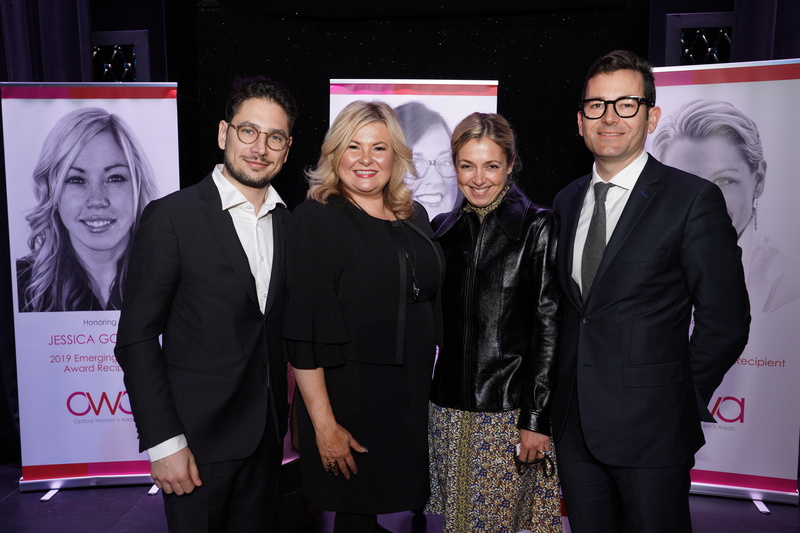 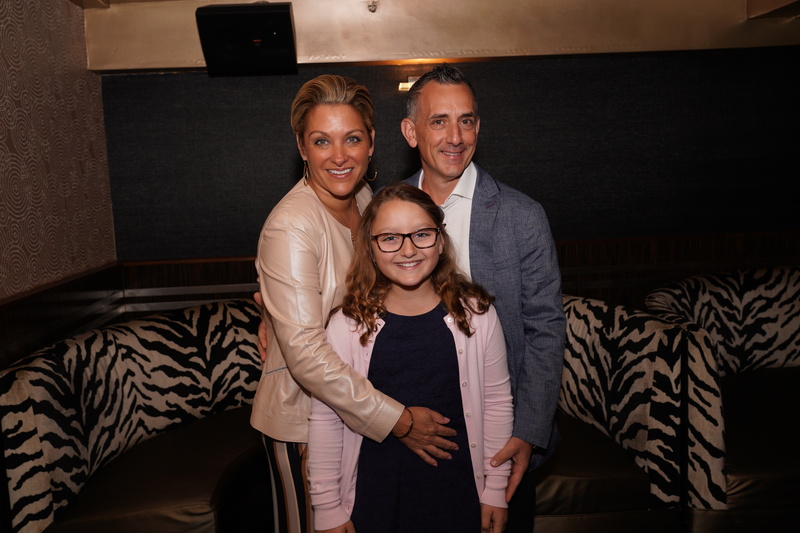 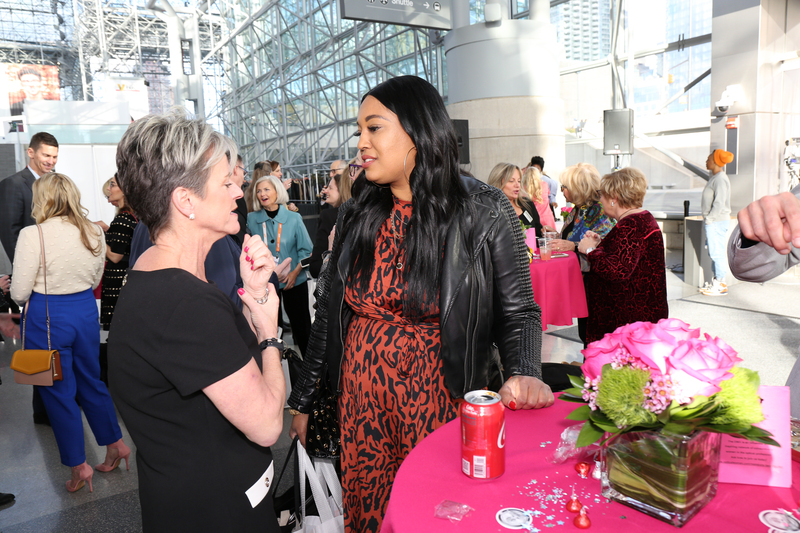 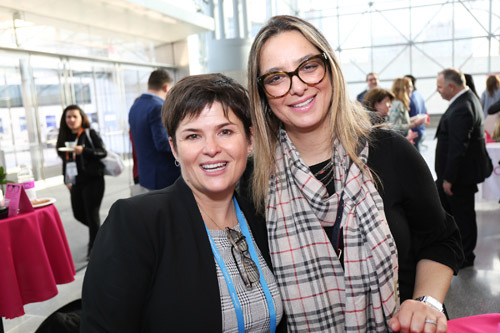 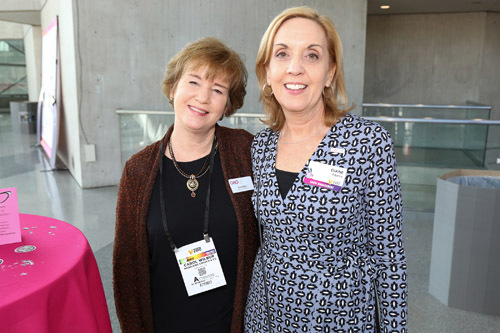 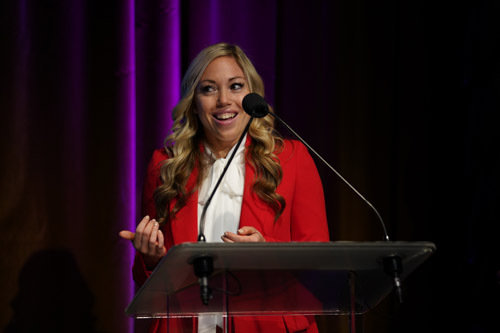 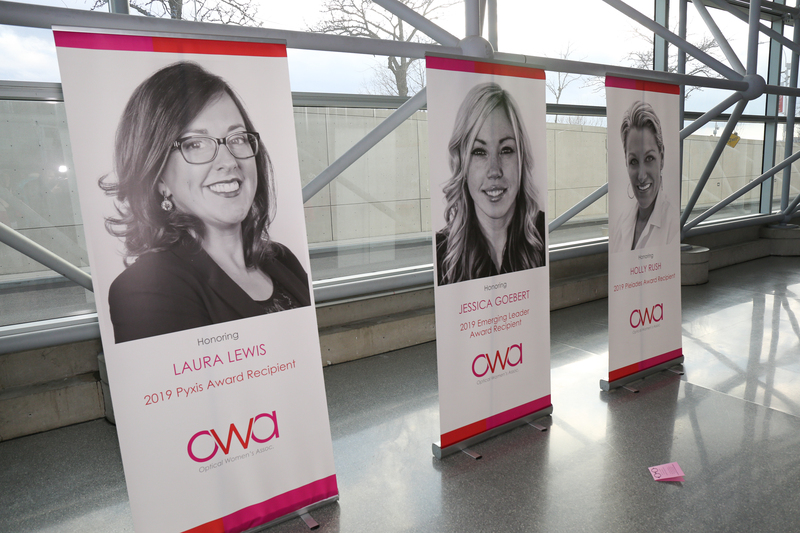 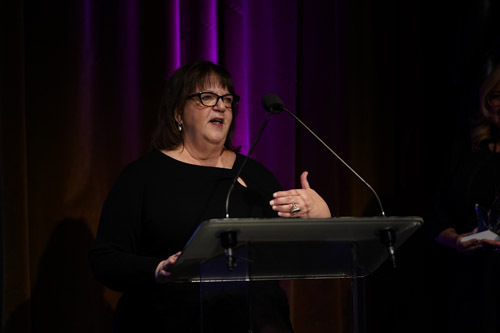 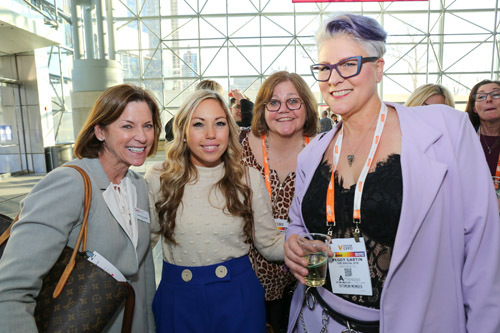 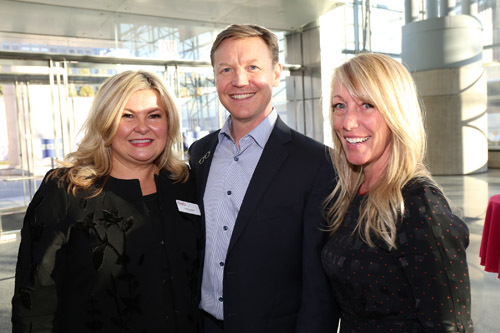 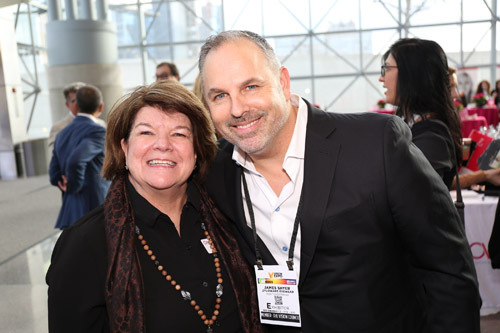 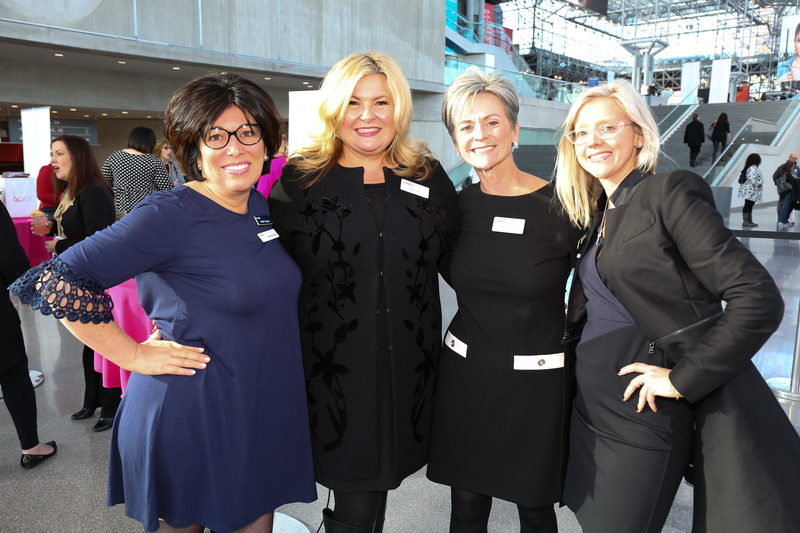 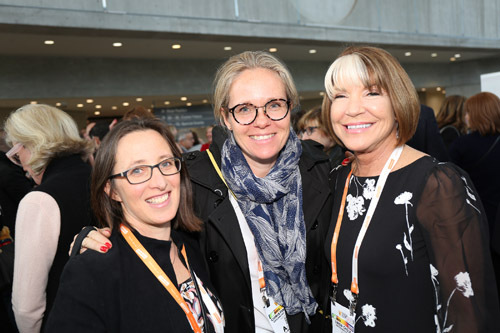 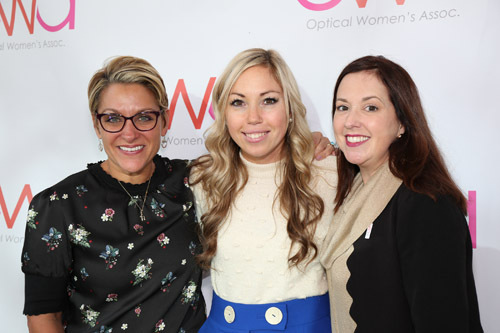 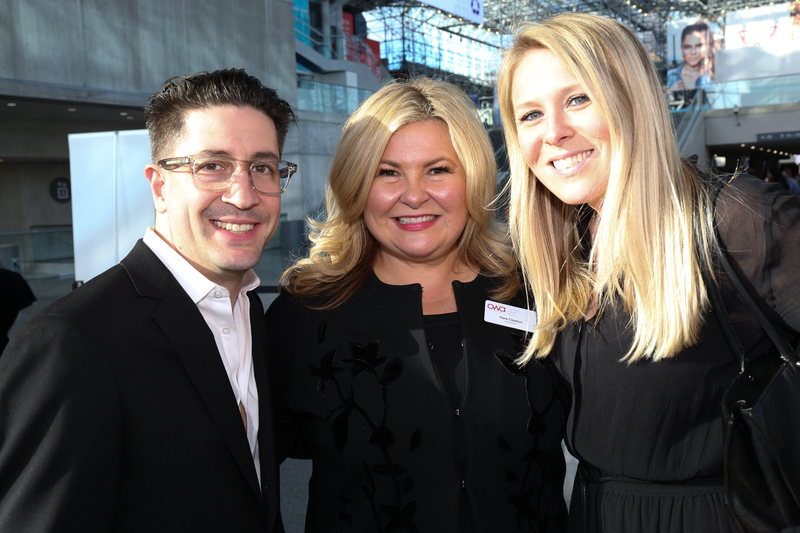 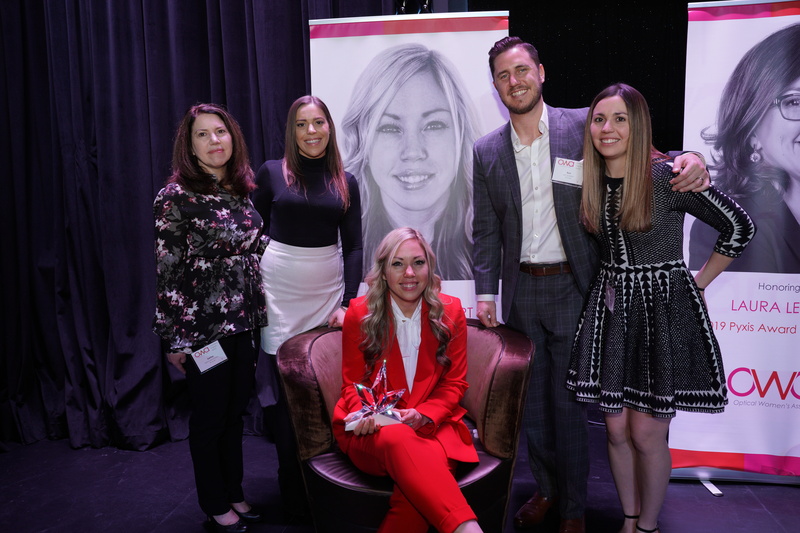 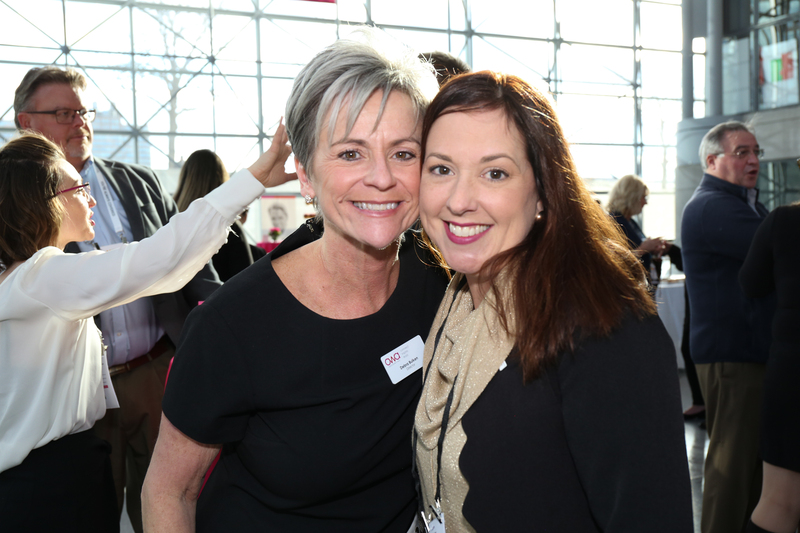 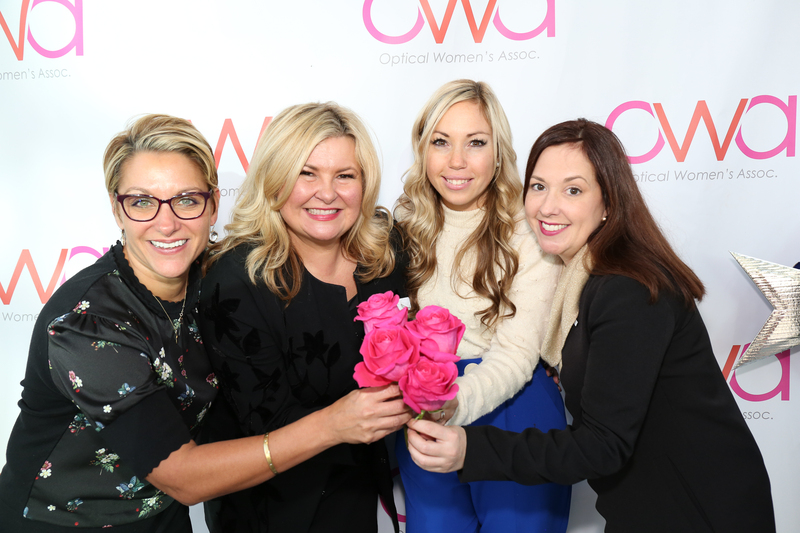 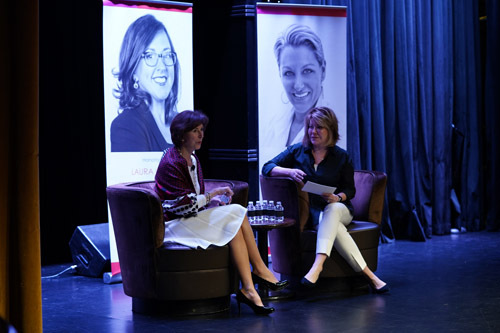 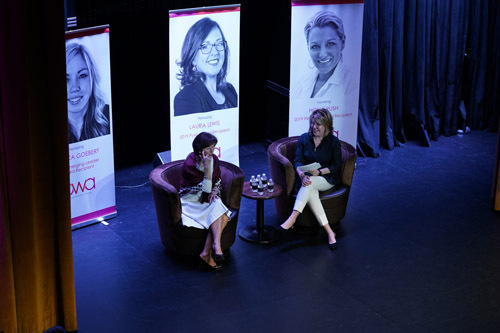 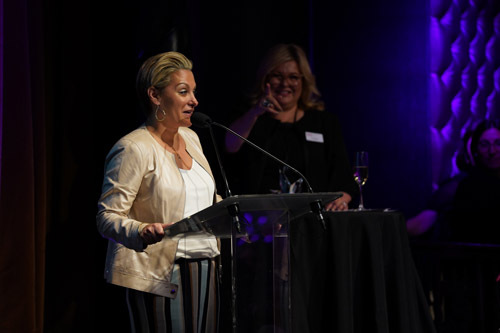 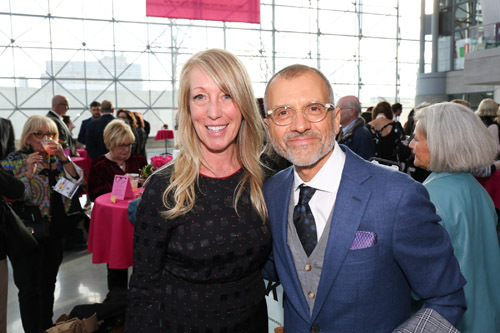 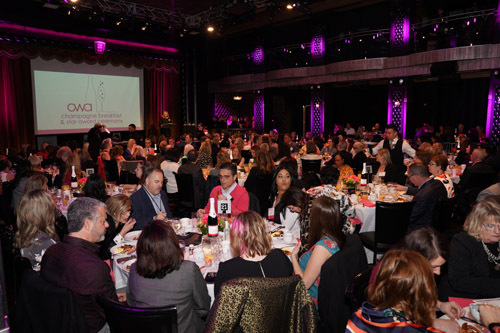 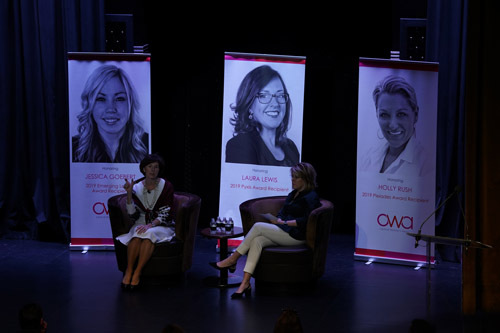 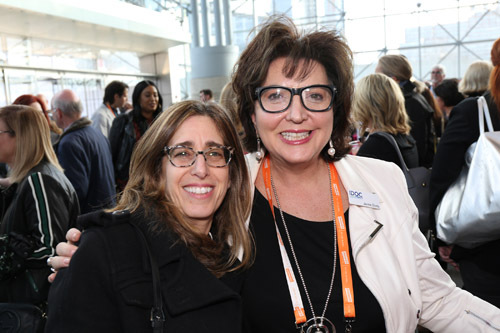 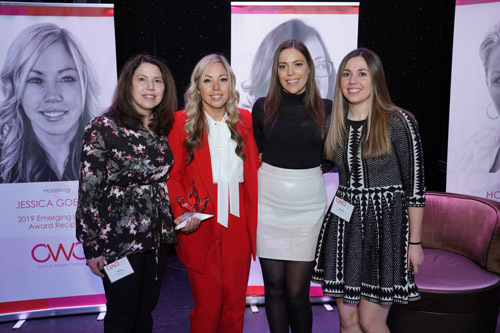 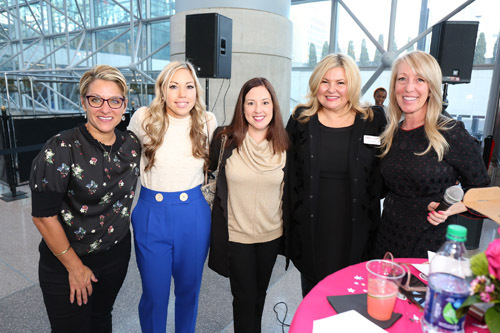 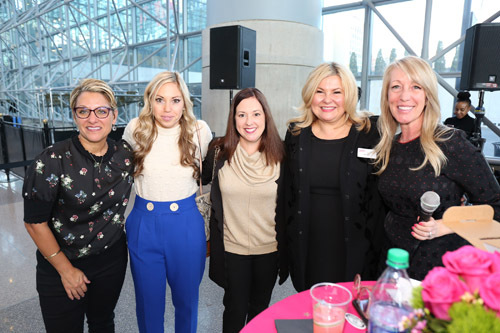 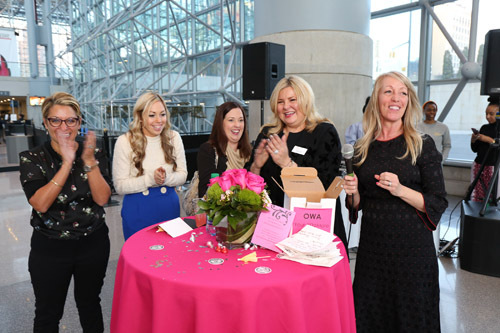 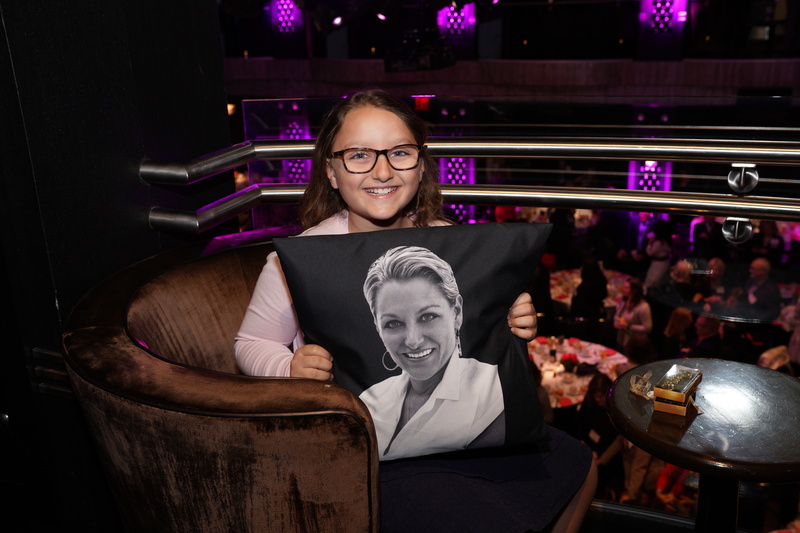 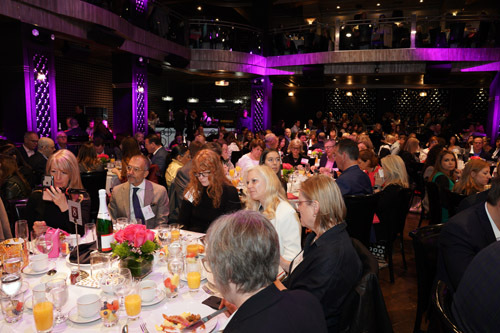 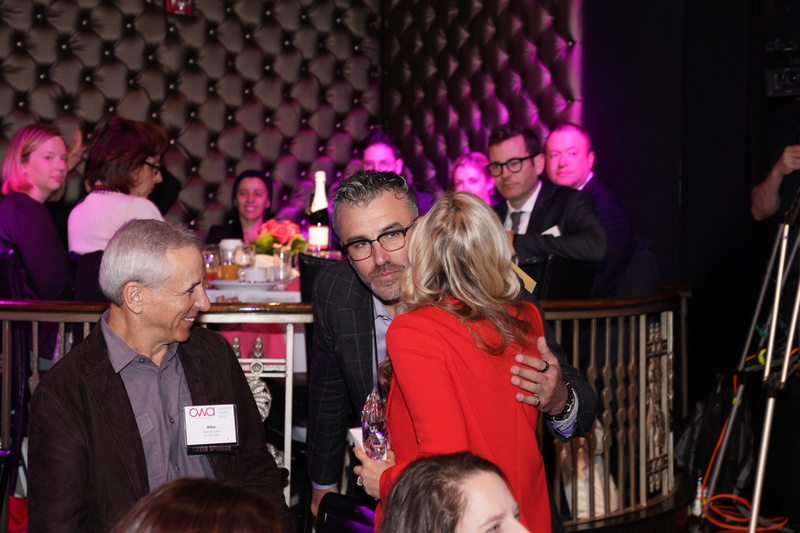 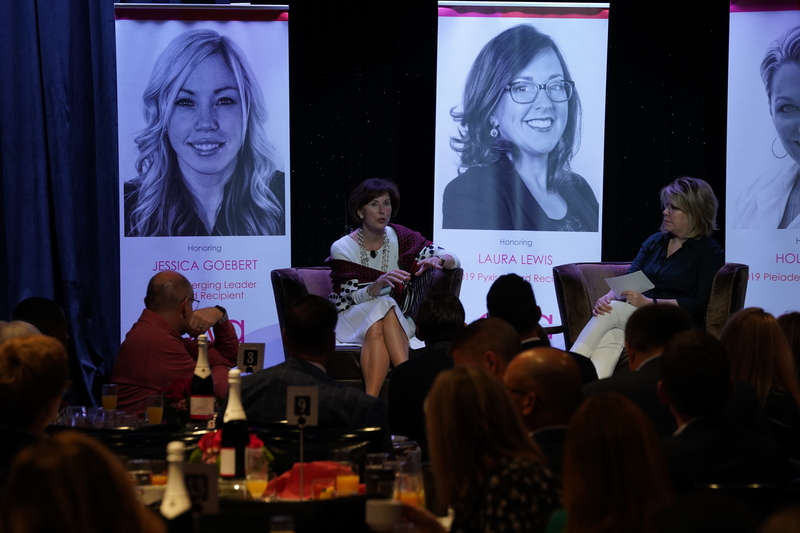 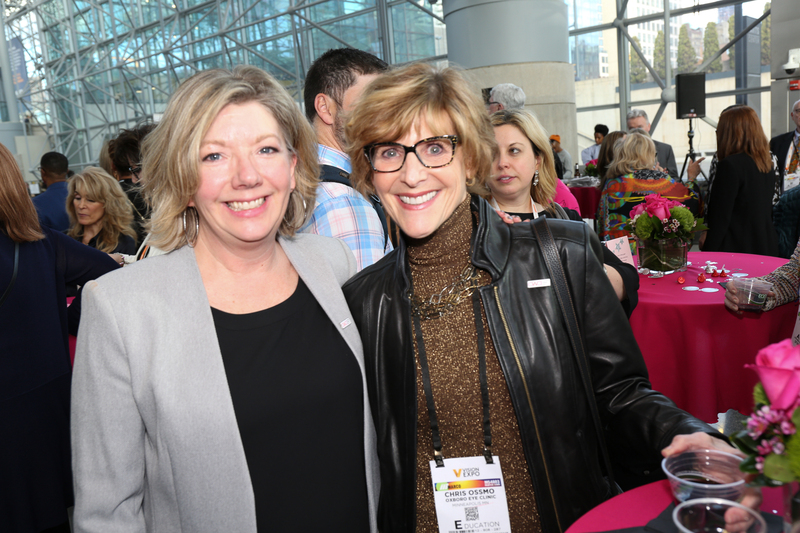 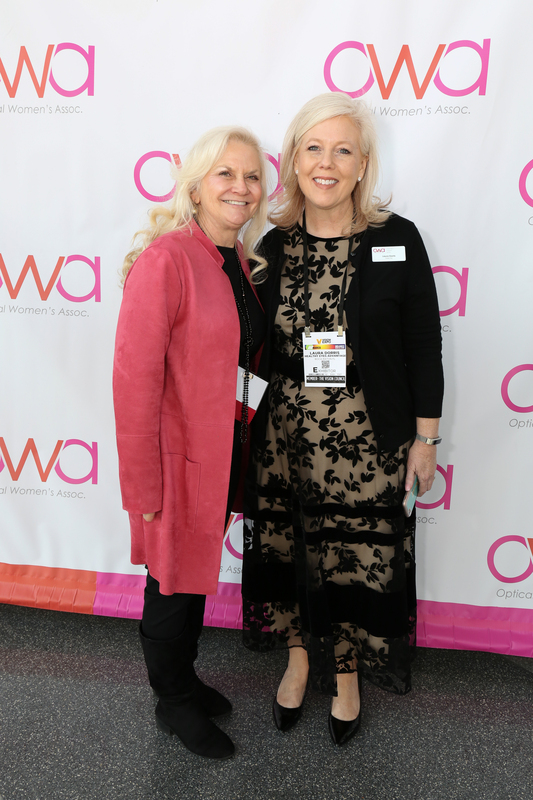 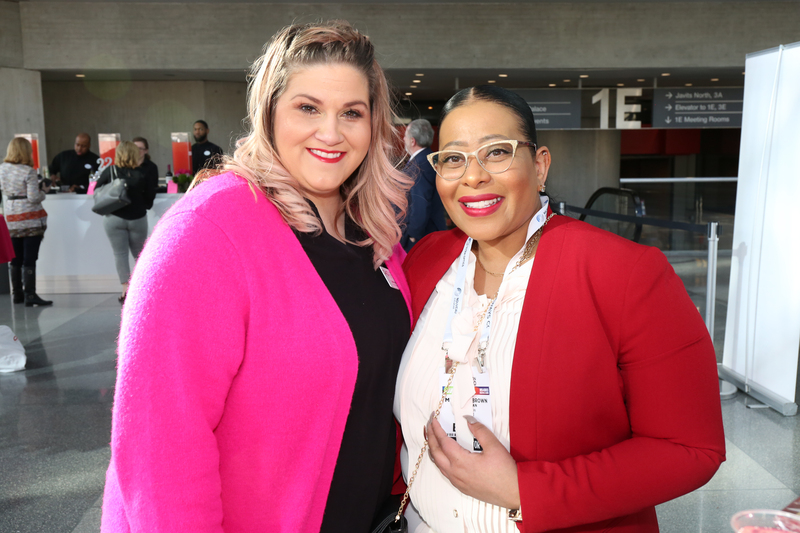 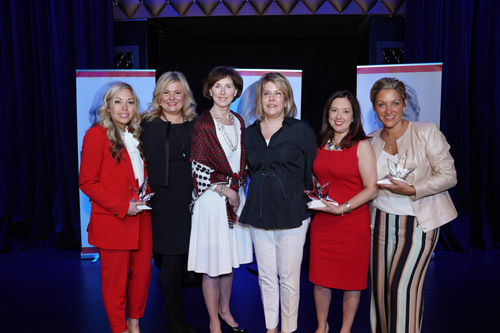 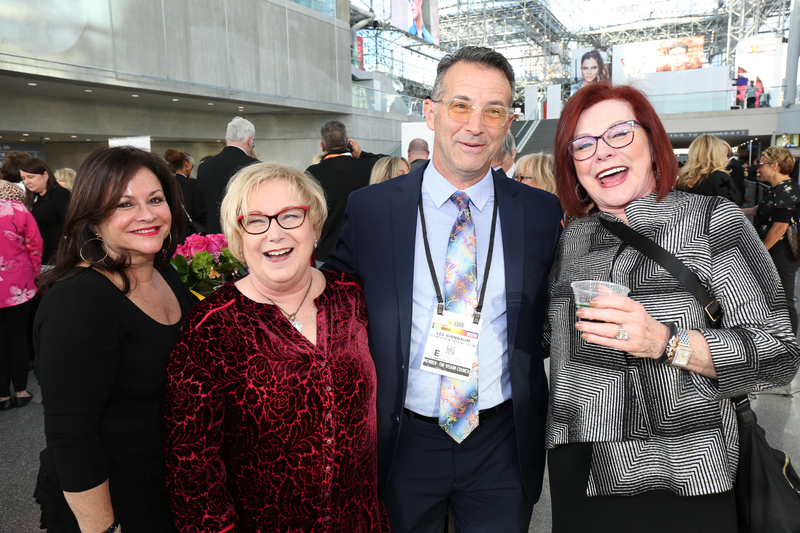 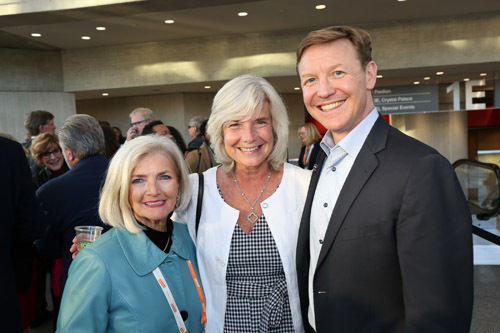 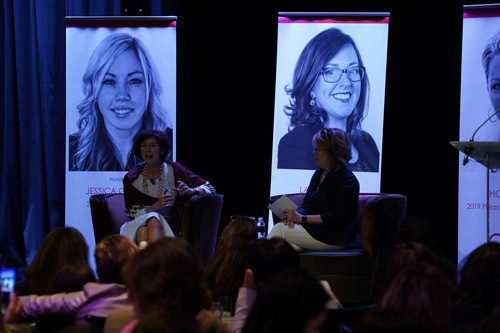 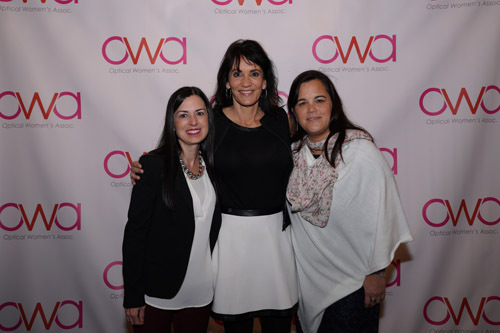 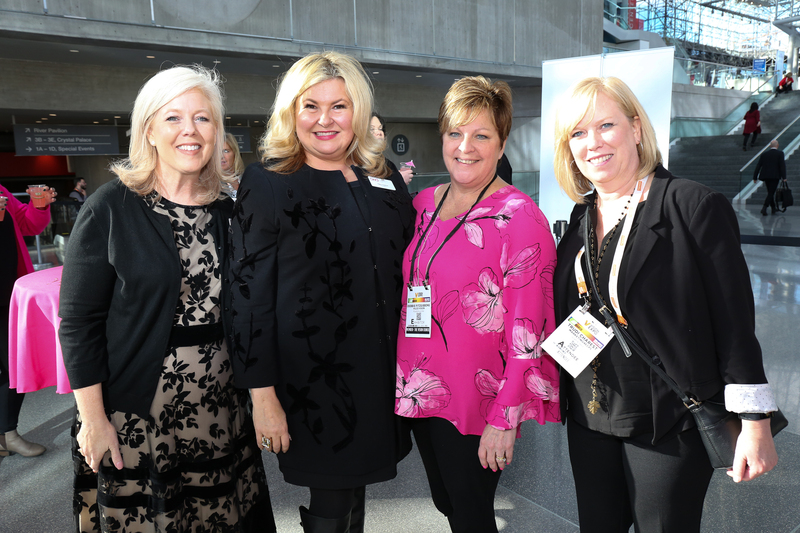 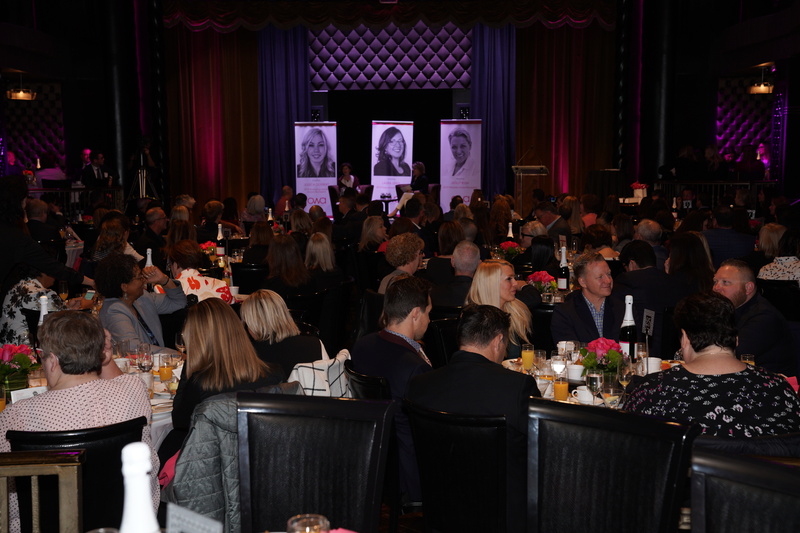 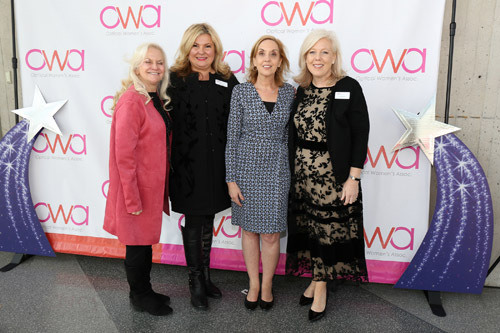 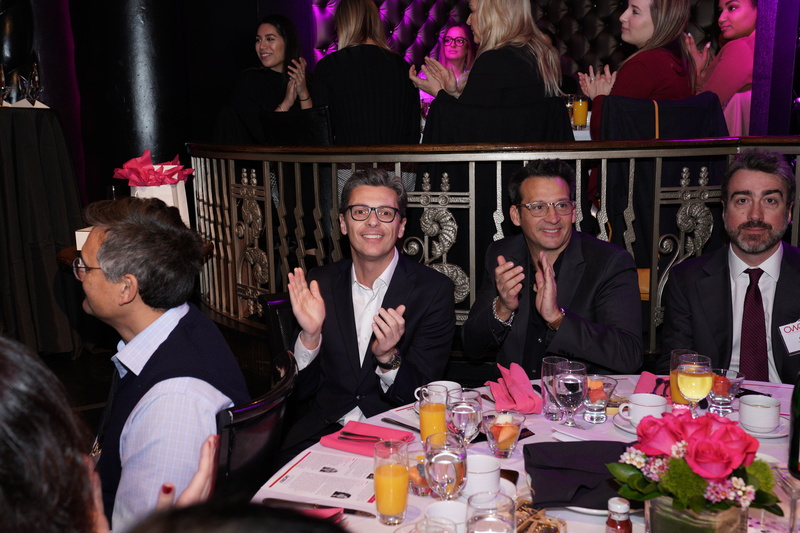 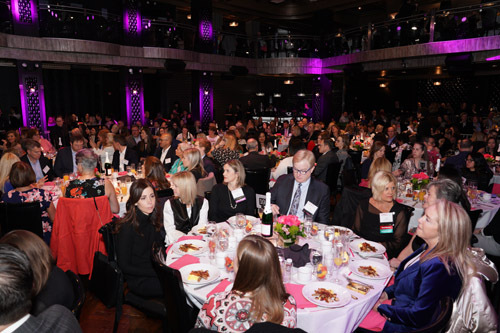 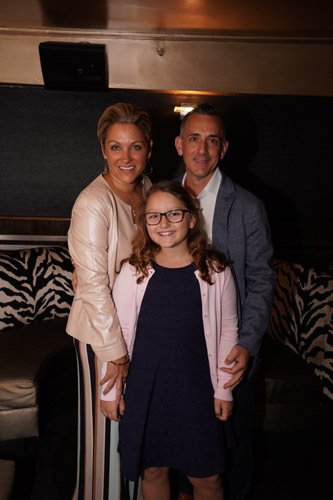 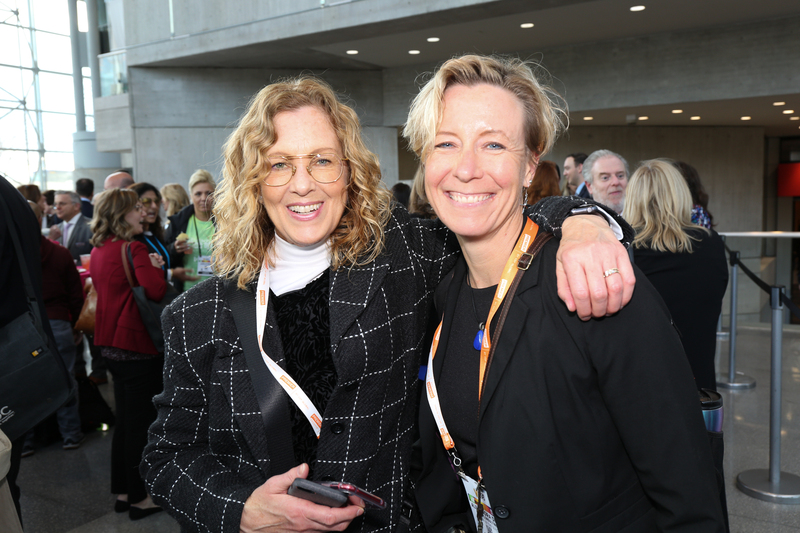 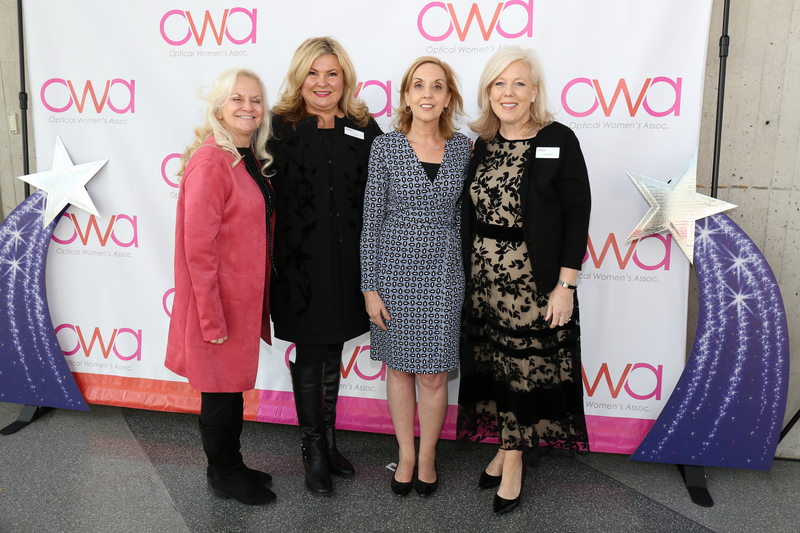 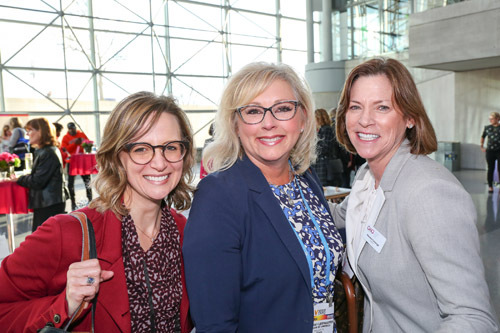 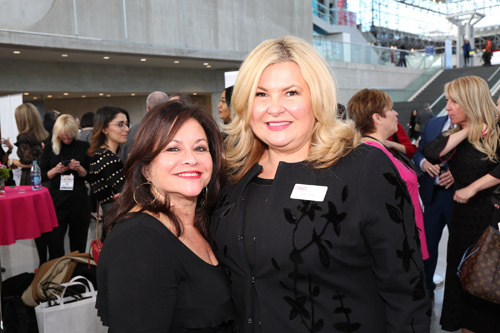 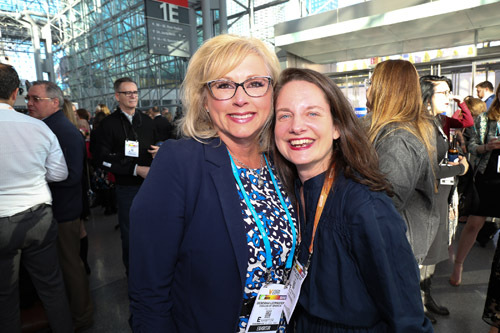 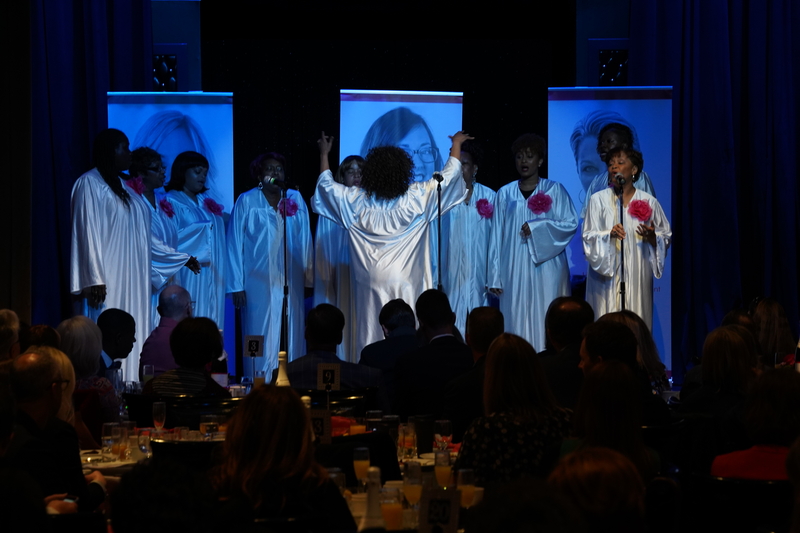 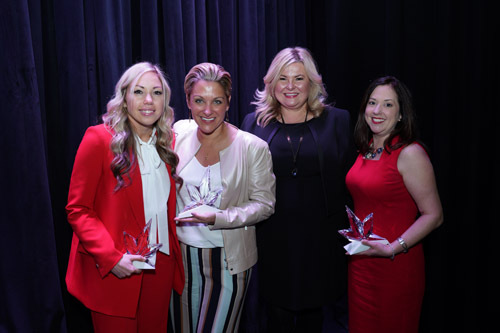 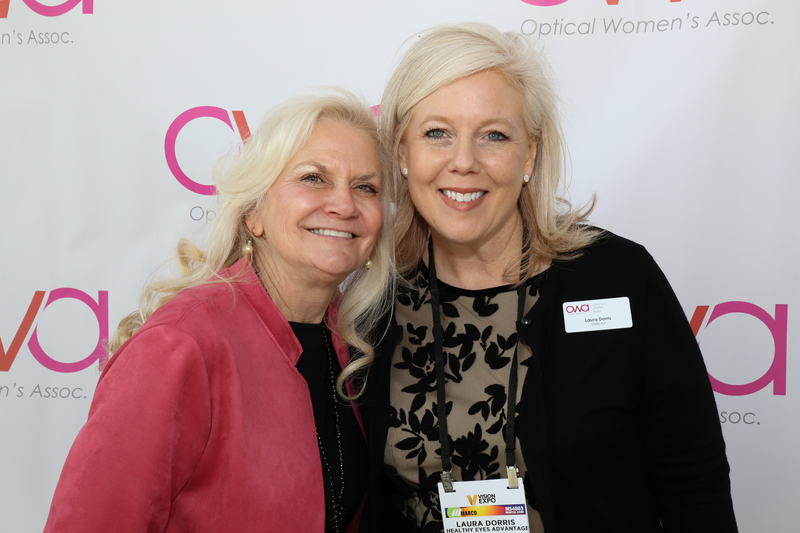 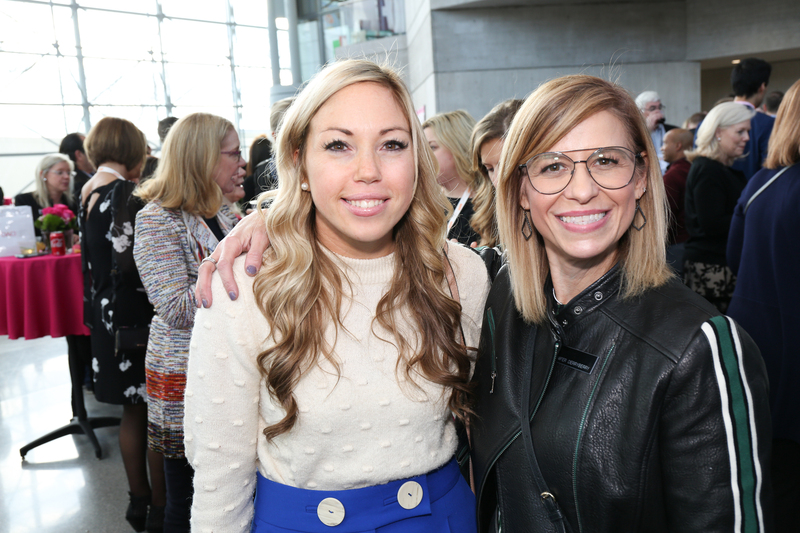 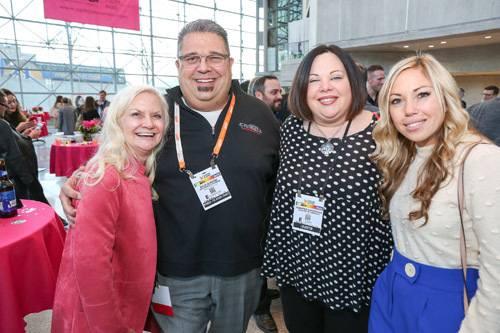 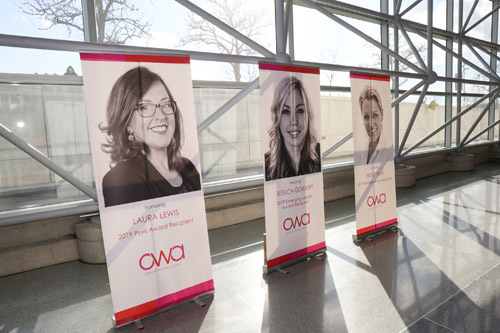 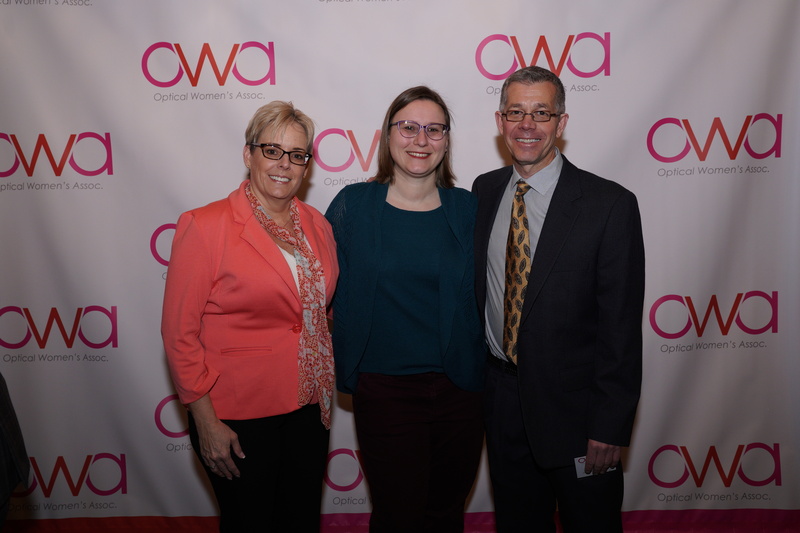 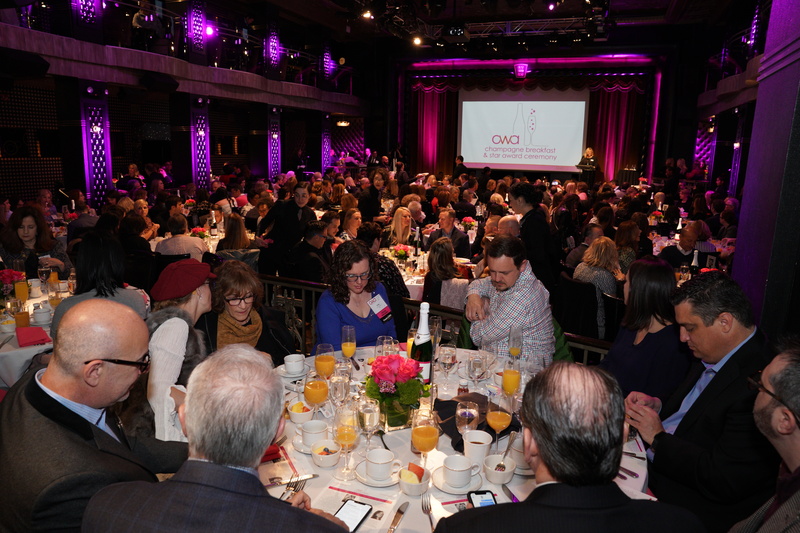 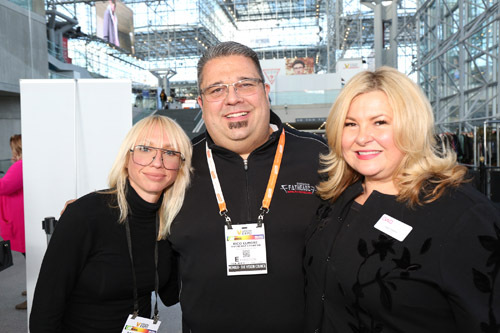 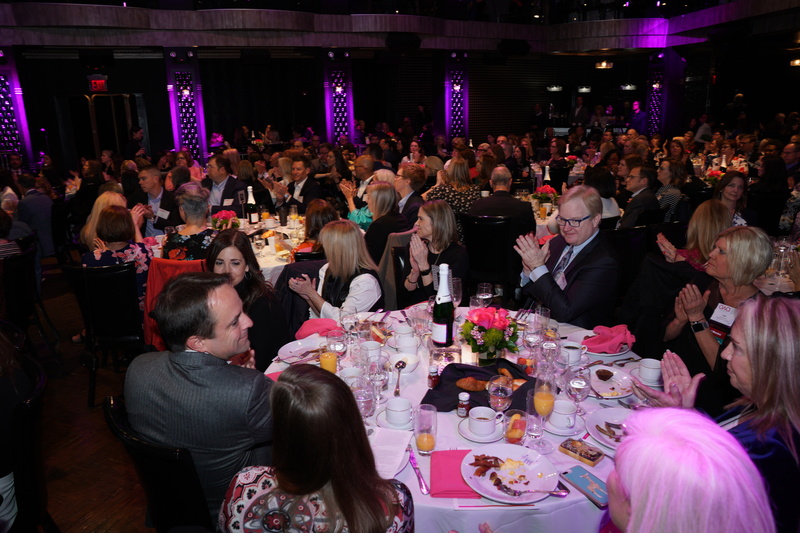 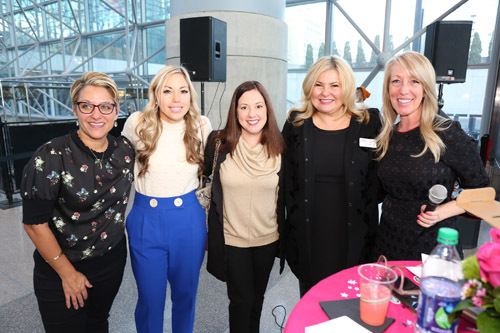 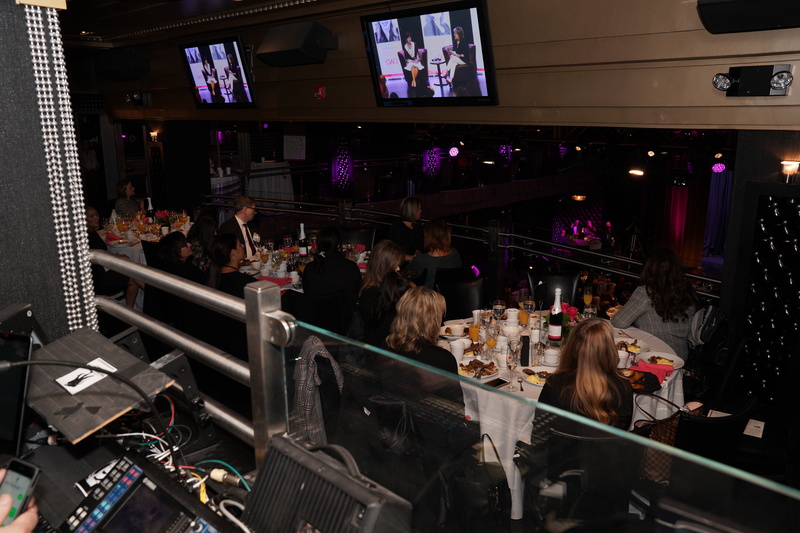 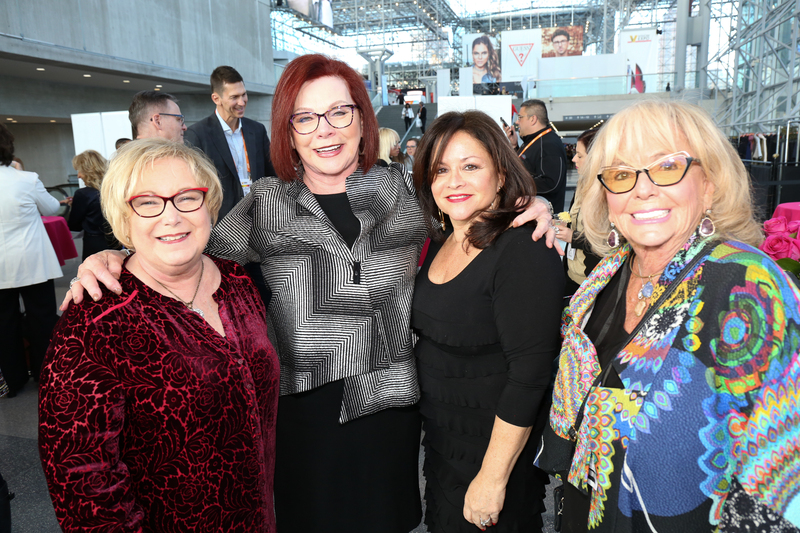 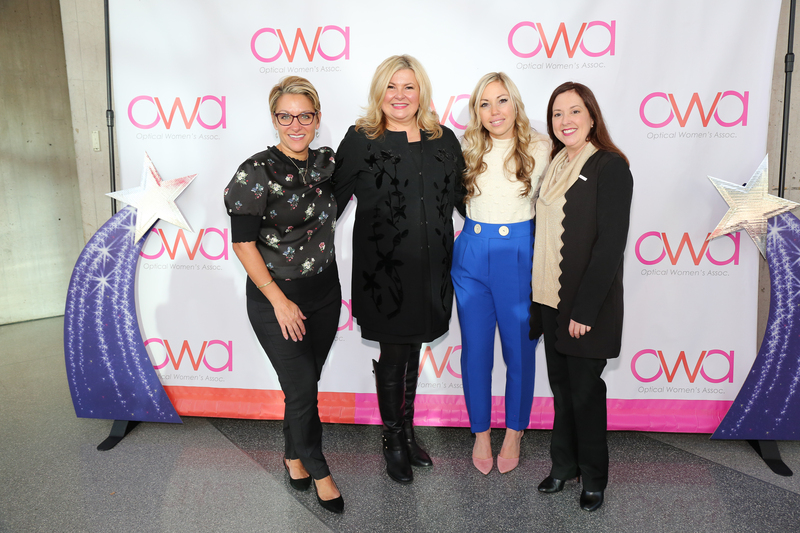 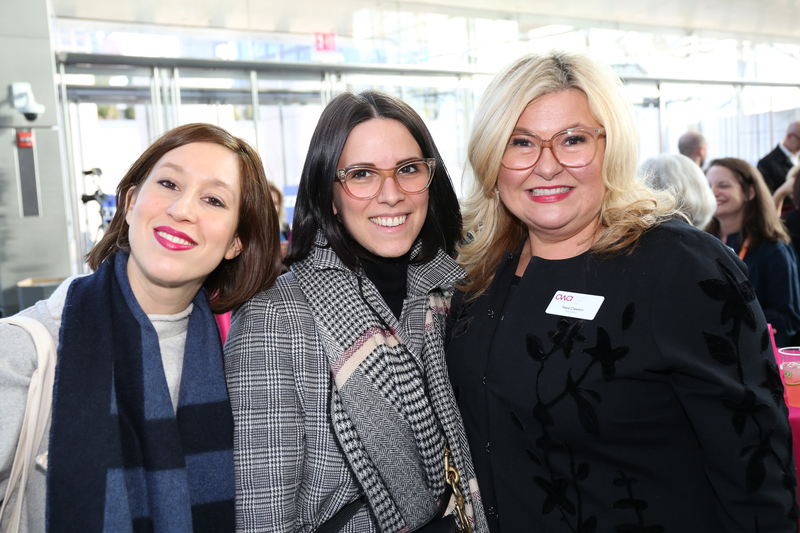 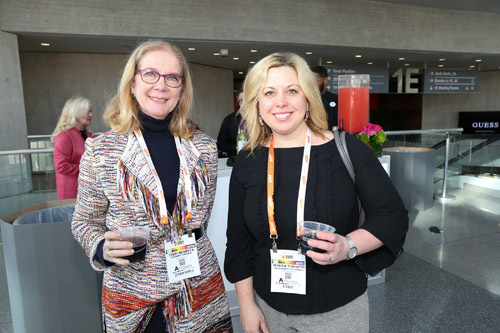 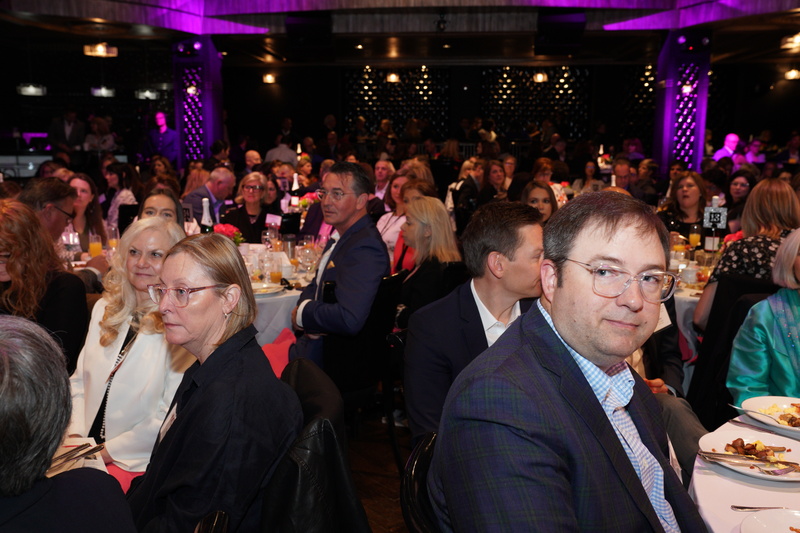 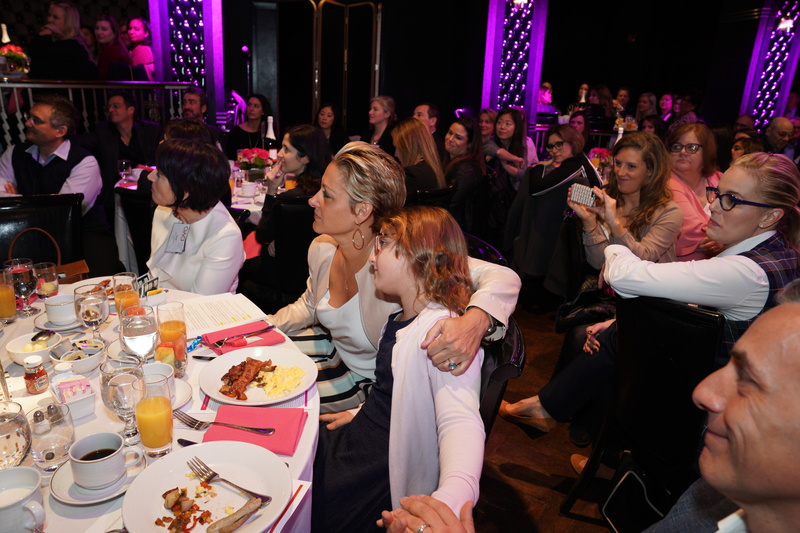 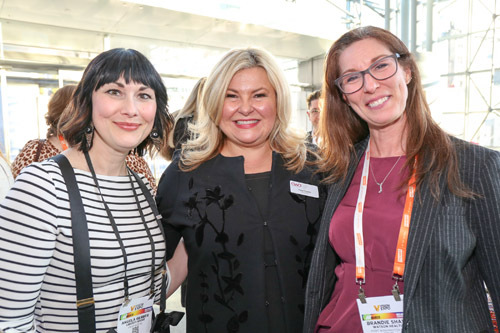 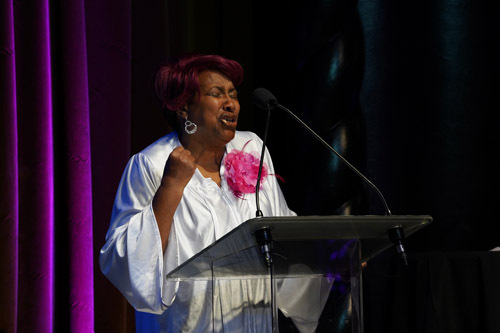 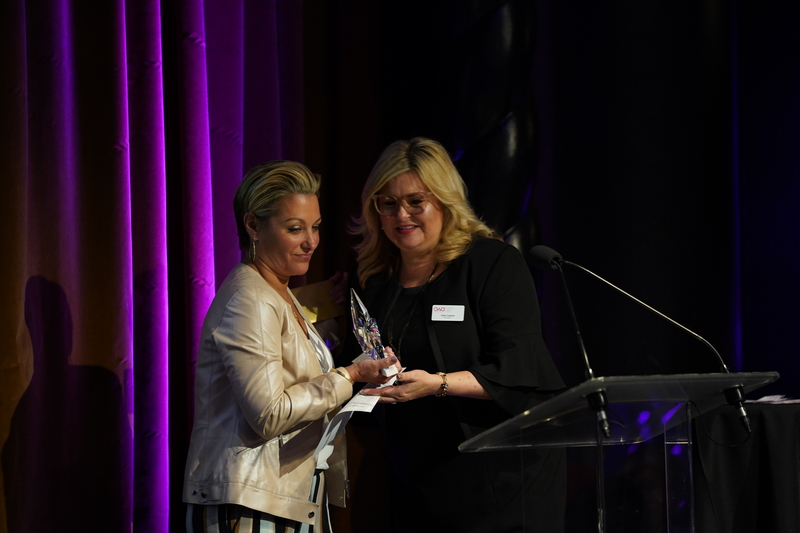 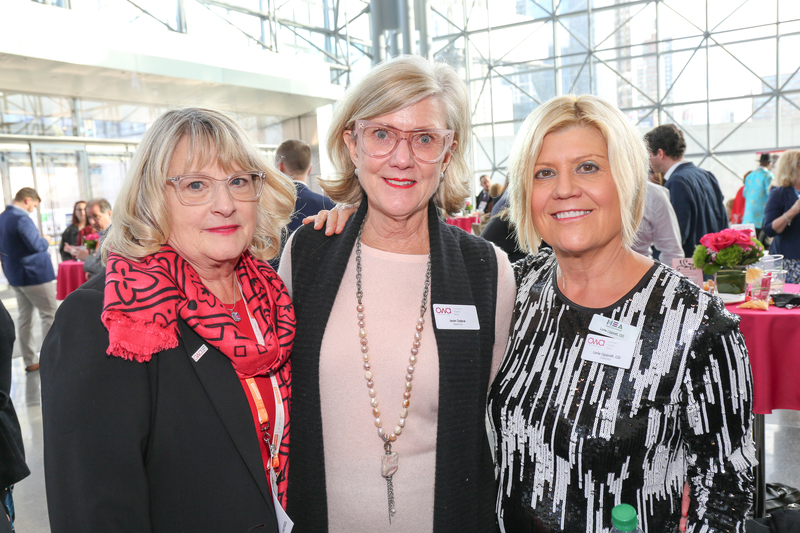 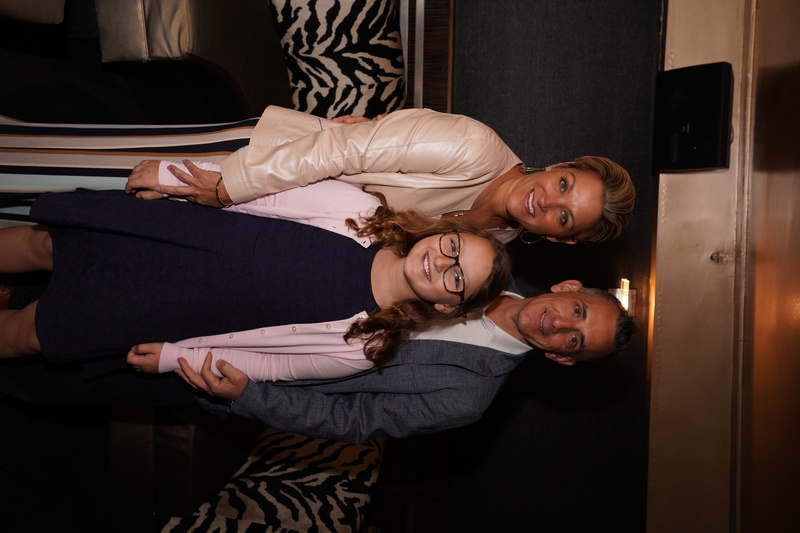 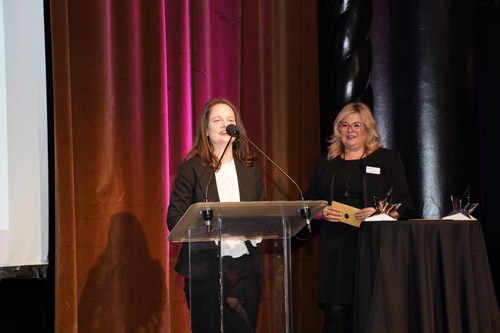 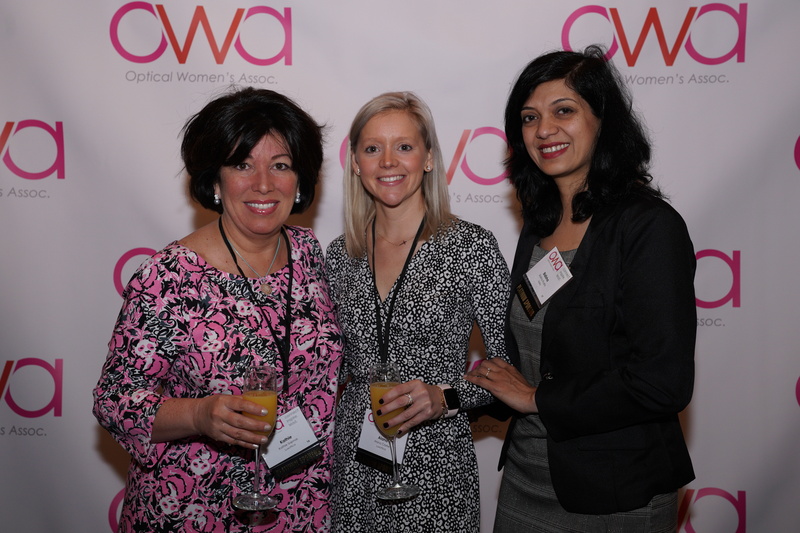 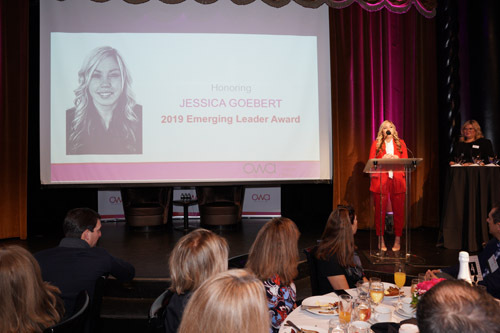 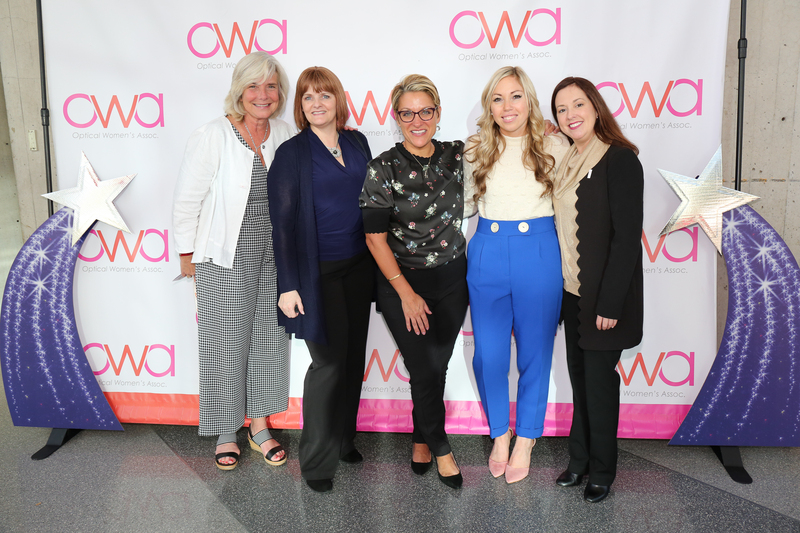 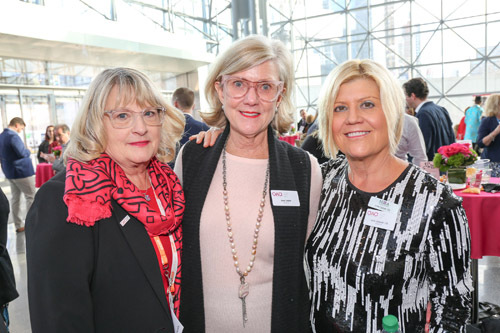 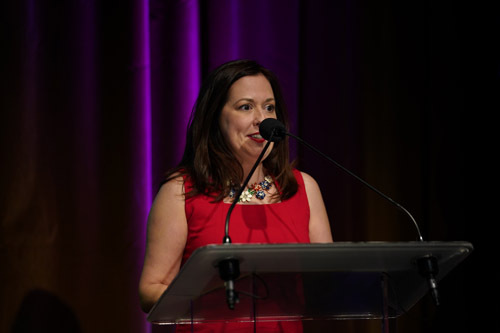 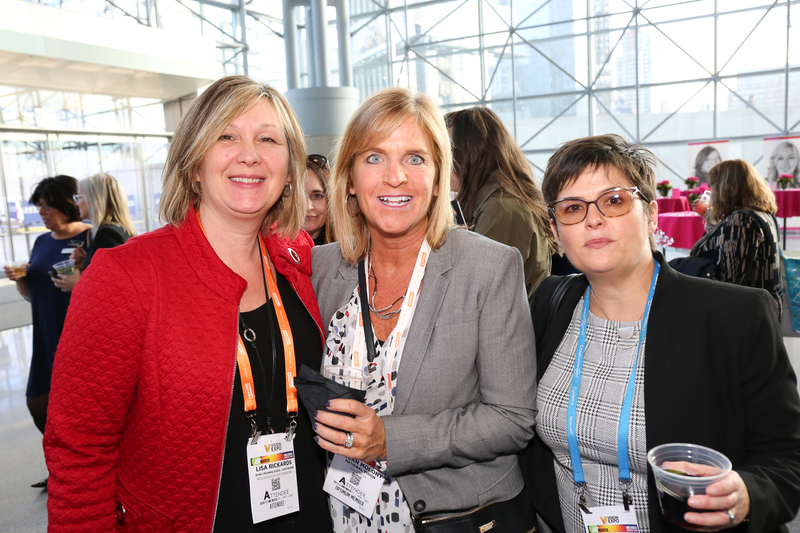 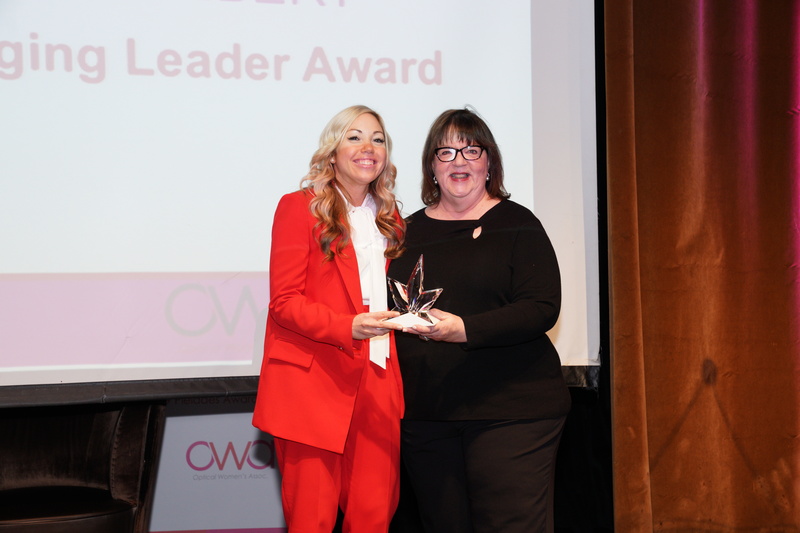 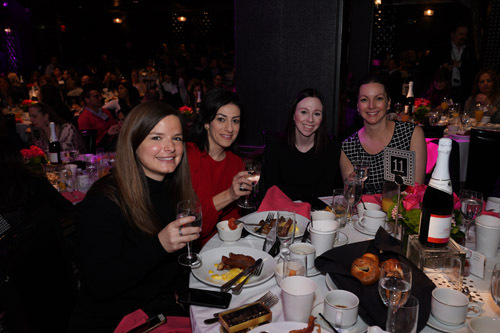 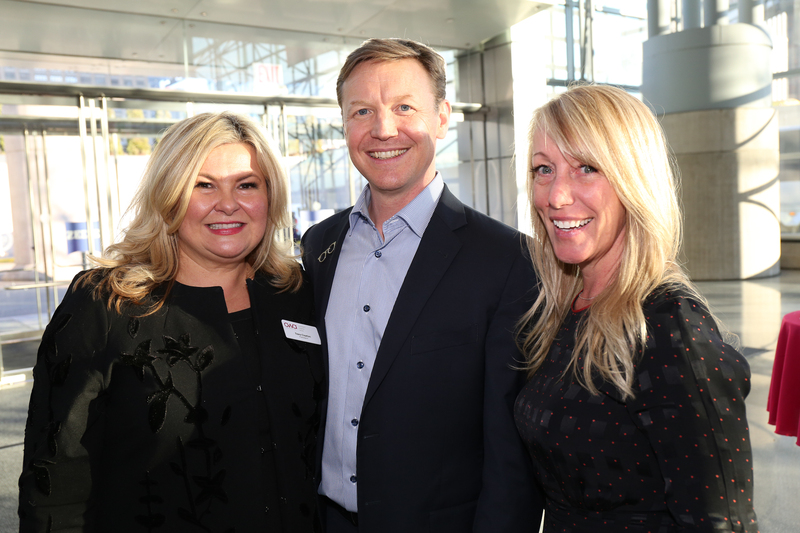 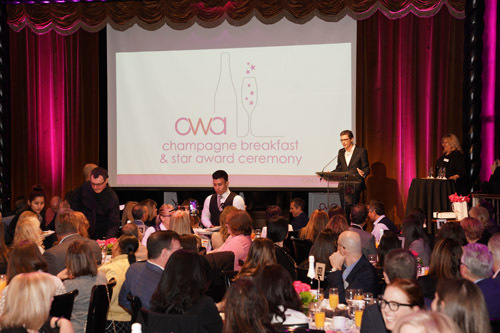 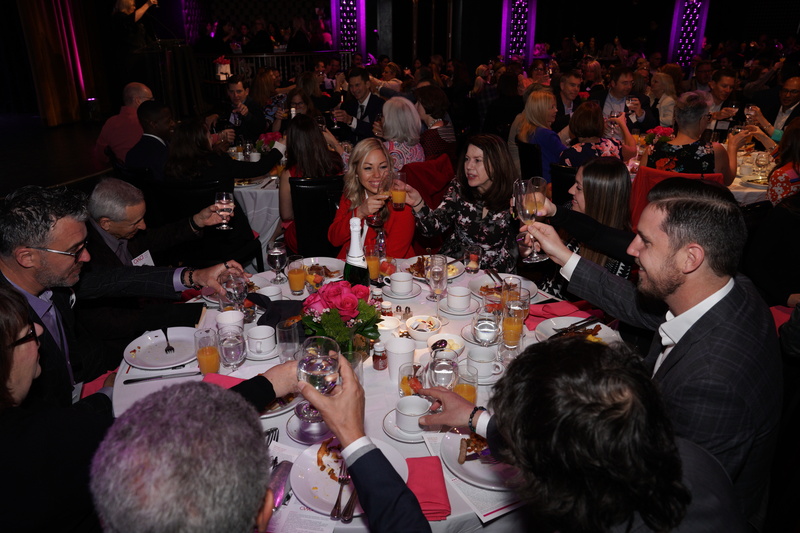 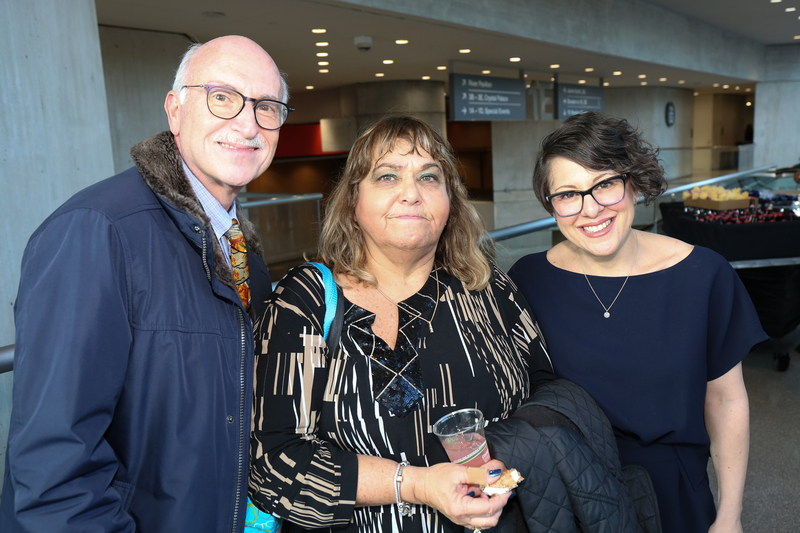 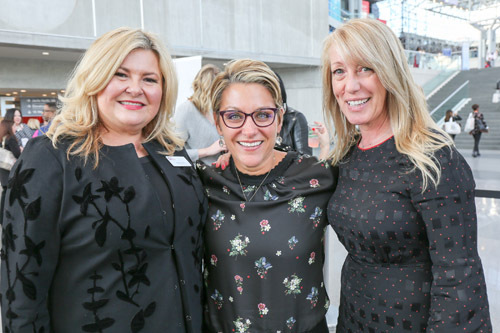 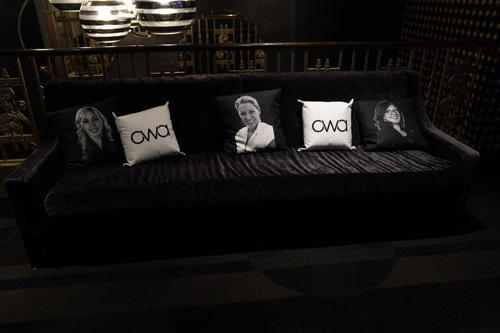 The OWA celebrated three remarkable women and their impact on the optical industry on March 21 during Vision Expo East at the OWA Champagne Breakfast. 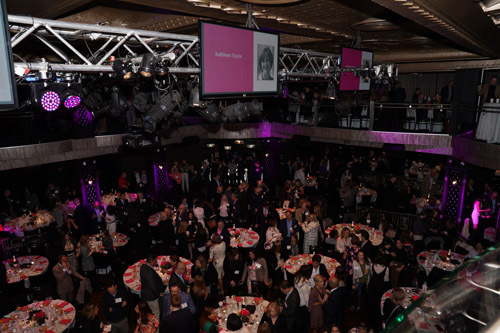 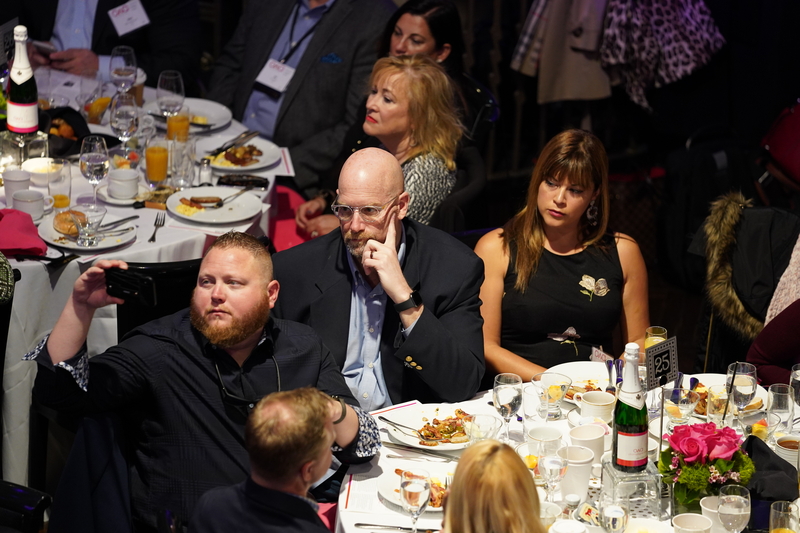 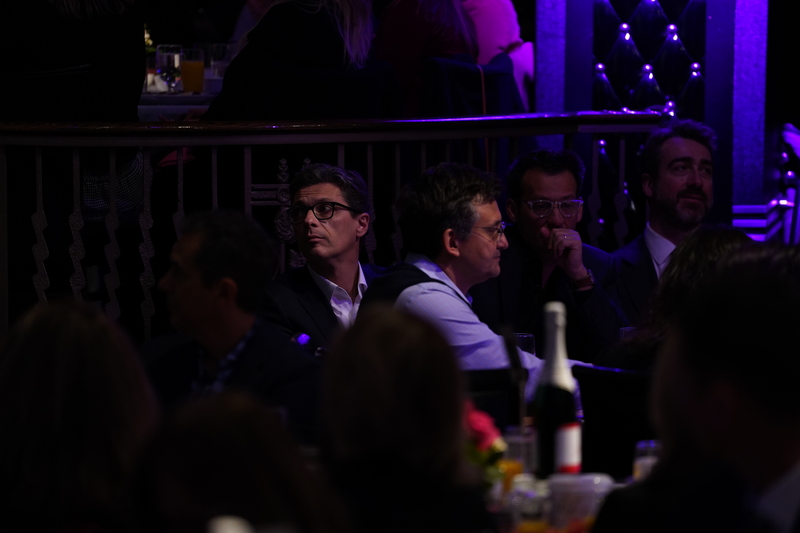 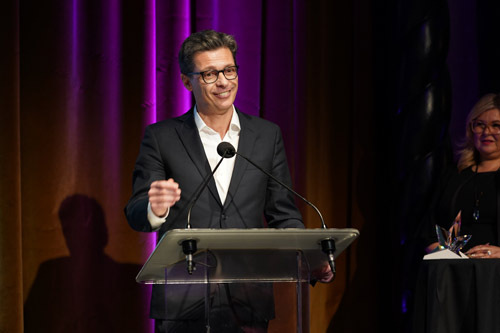 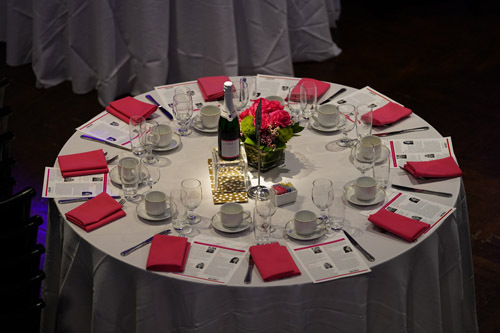 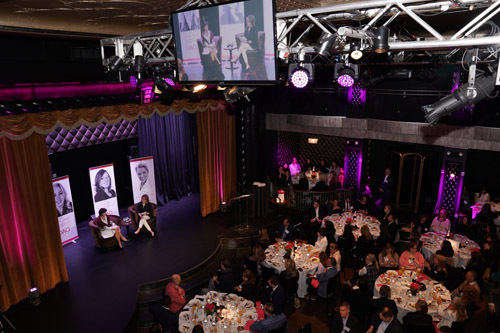 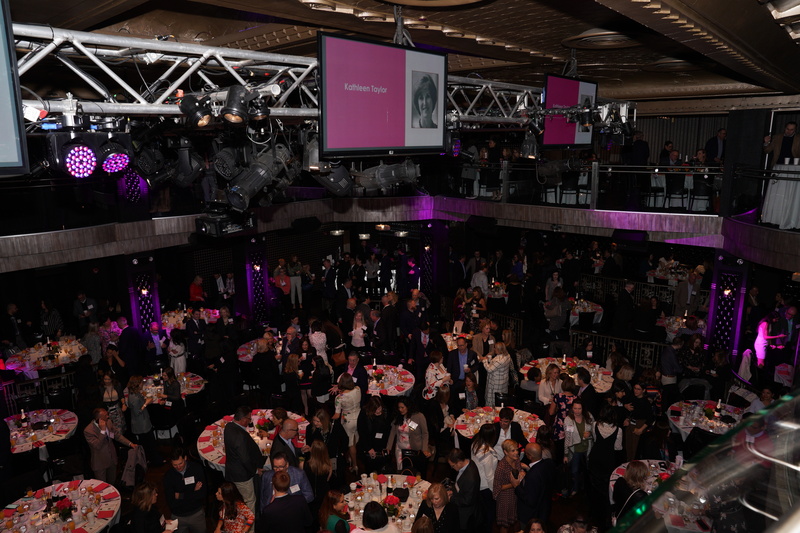 Held at the Edison Ballroom venue in New York City, the room was brimming with optical industry leaders, admiration, and champagne. 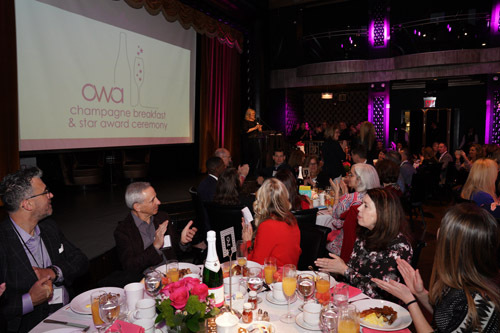 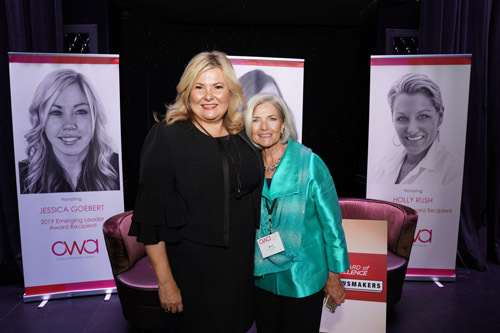 Tiara Claxton, President of the OWA, thanked OWA Champagne Breakfast sponsor Luxottica for its fifth year of sponsorship. 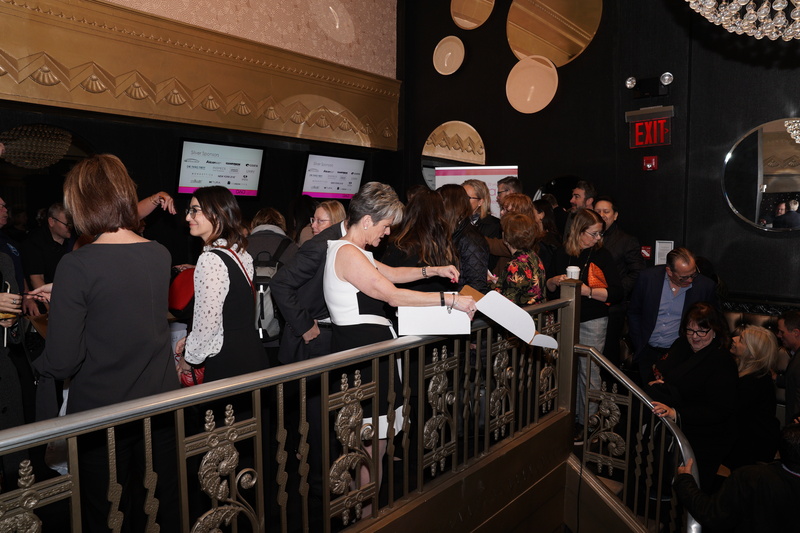 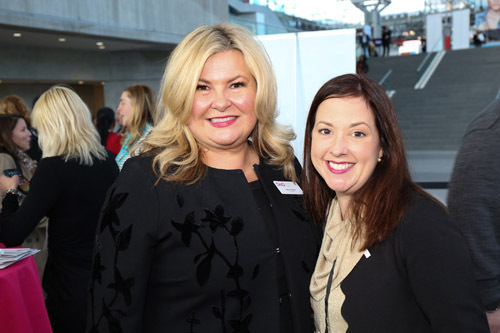 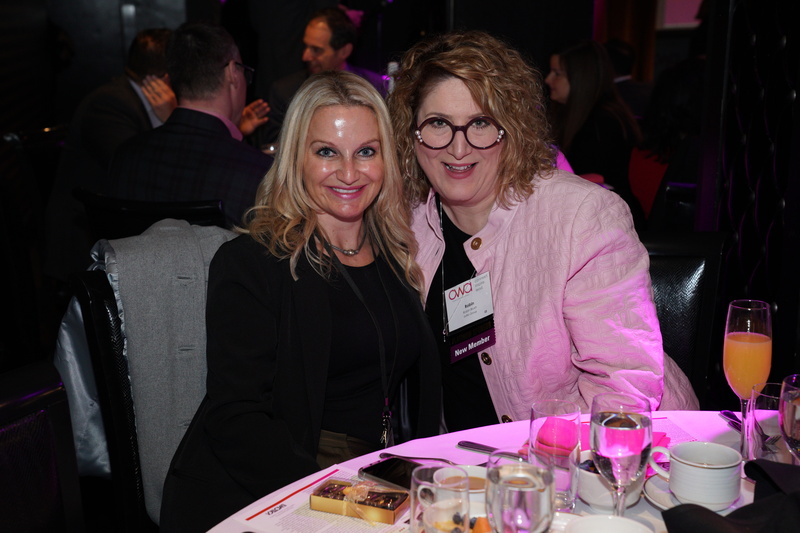 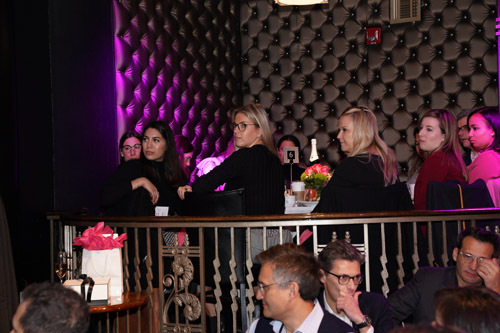 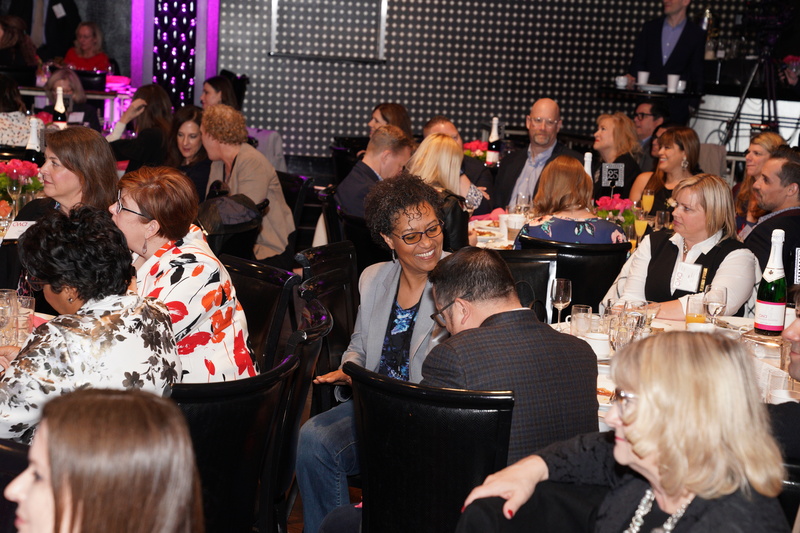 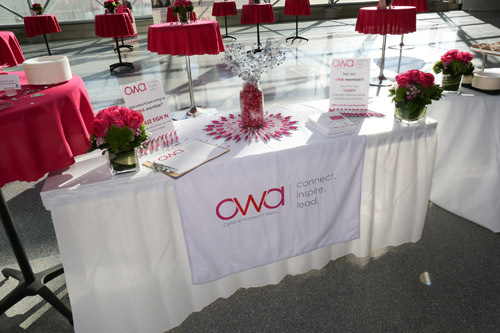 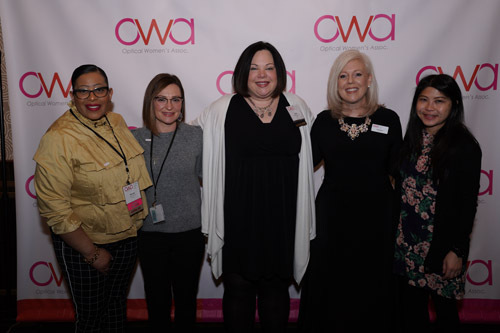 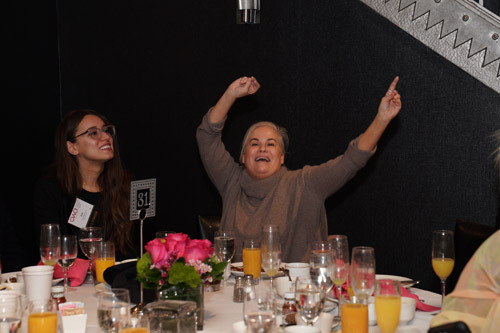 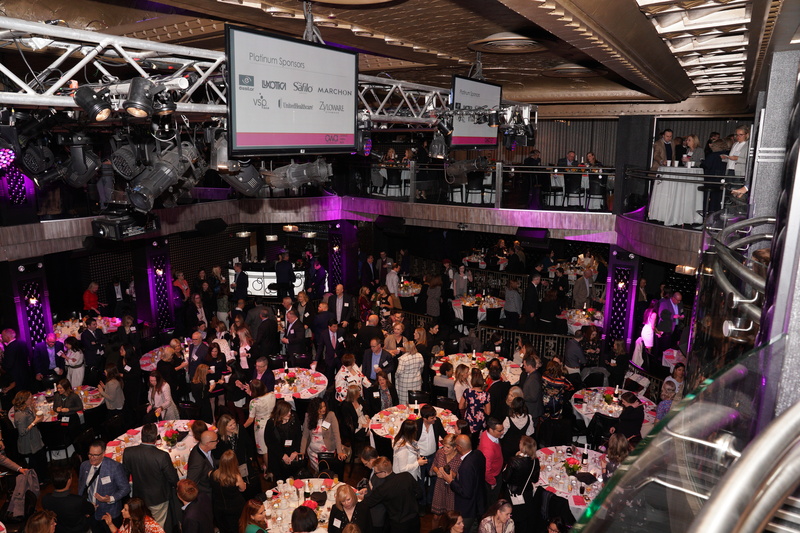 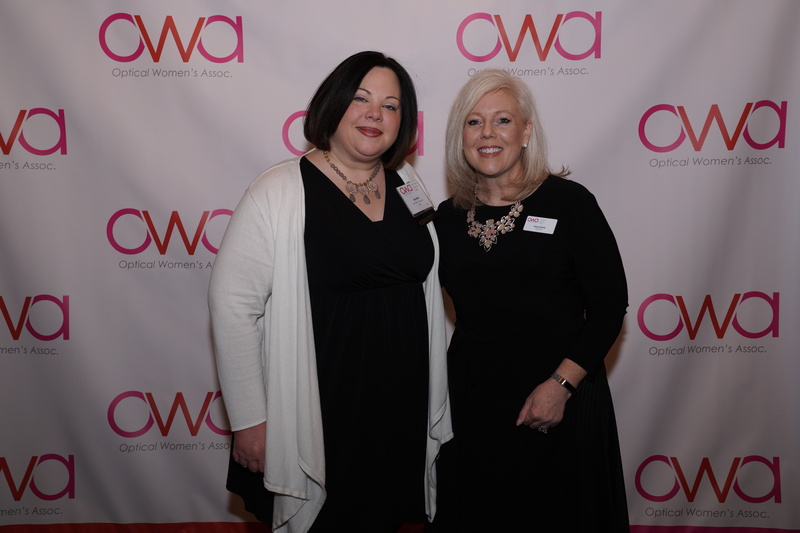 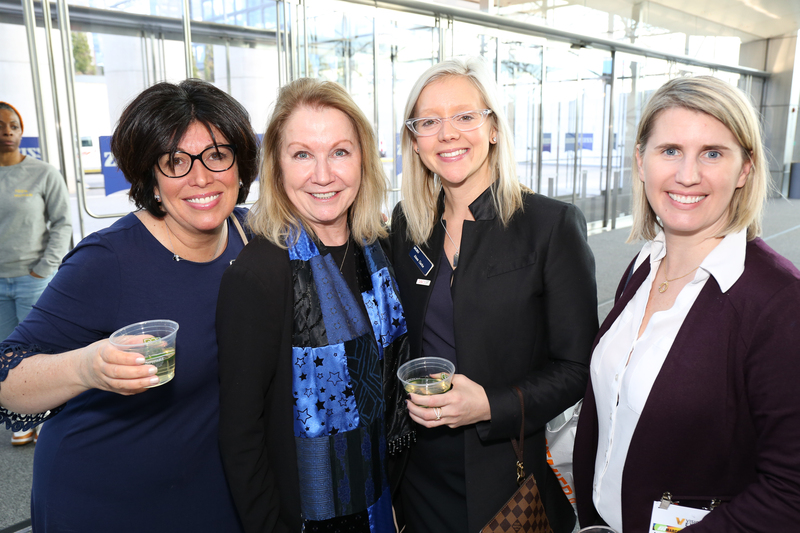 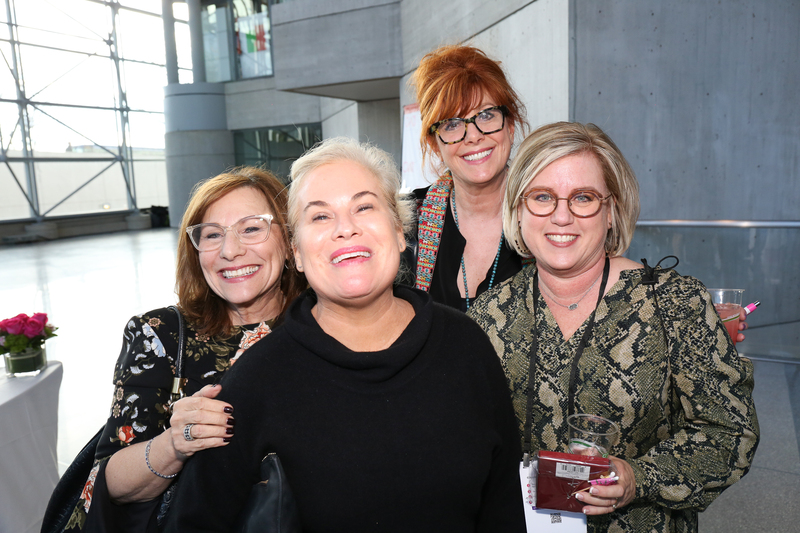 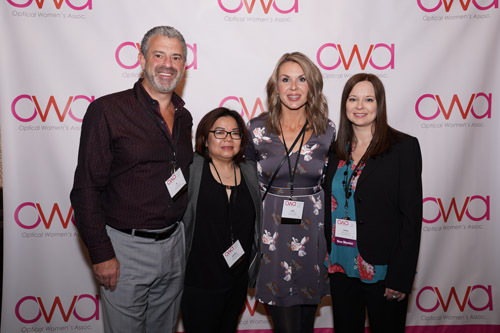 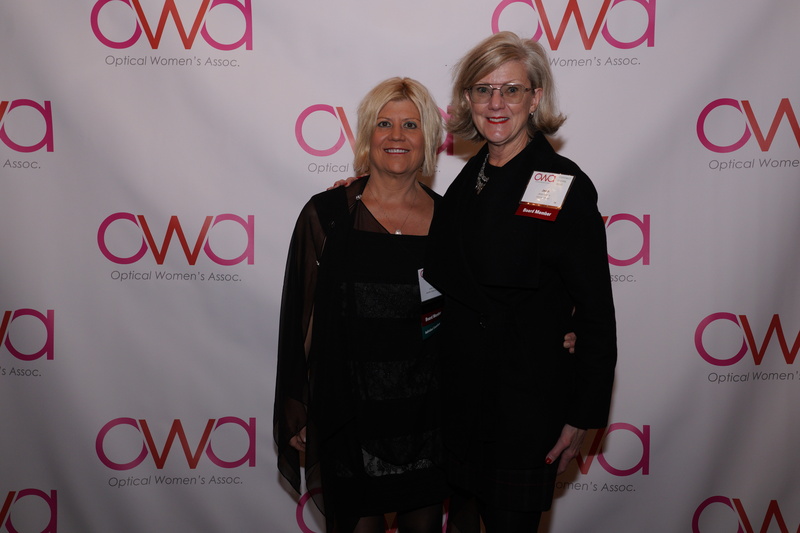 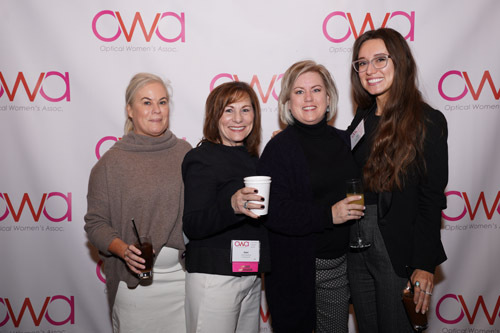 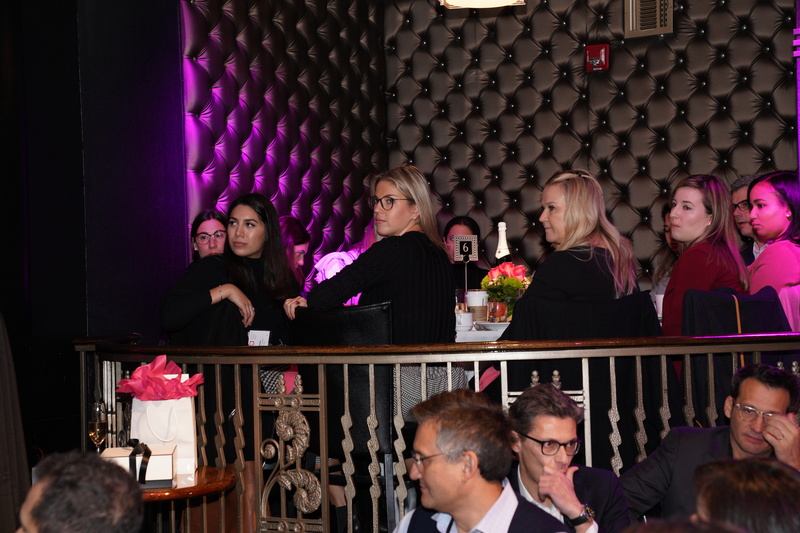 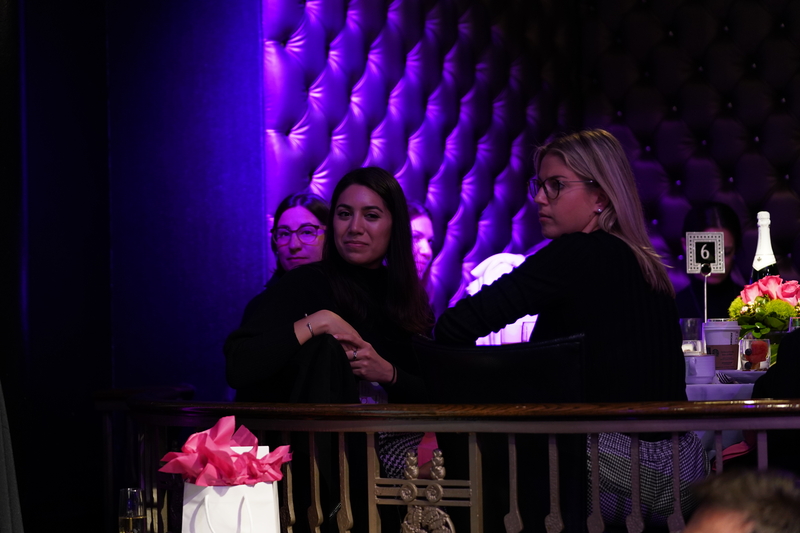 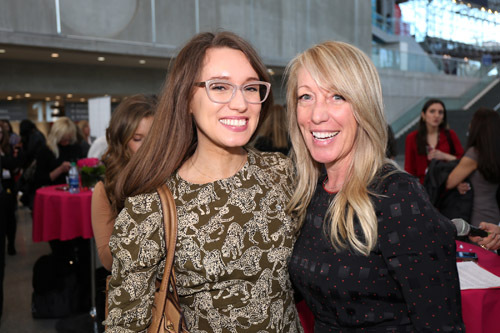 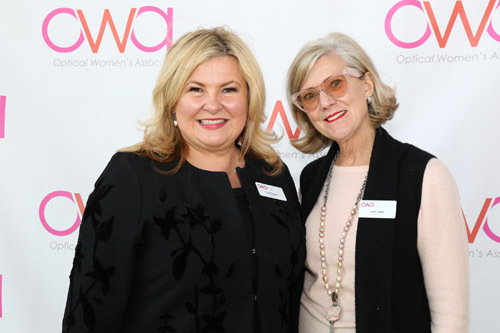 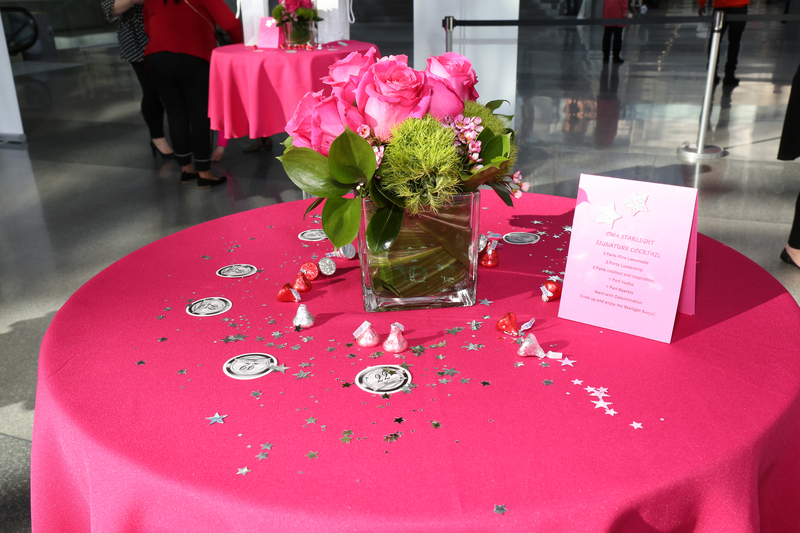 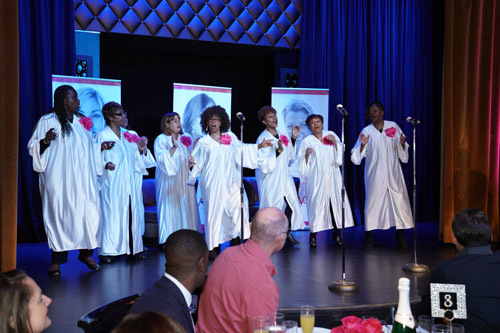 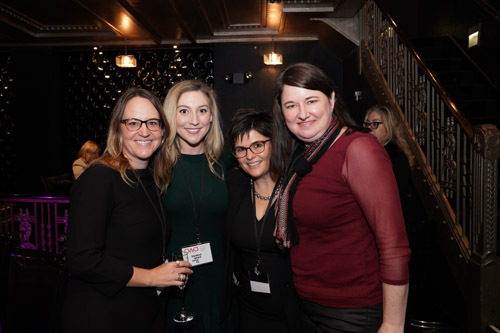 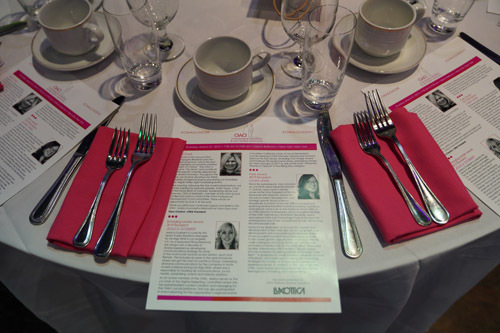 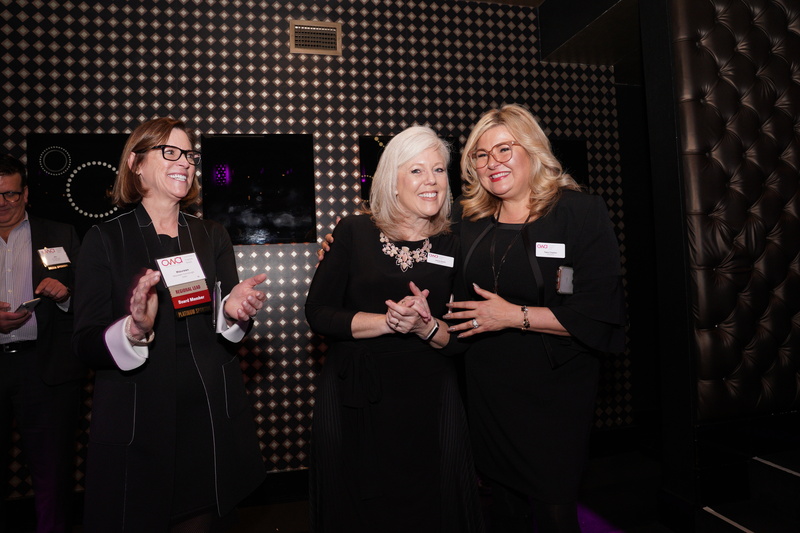 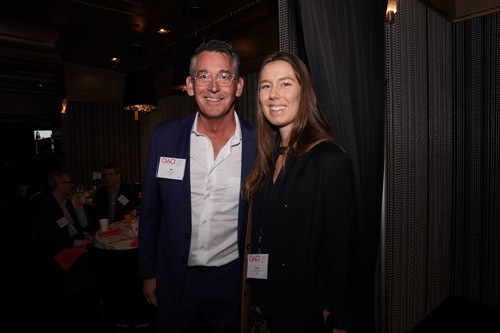 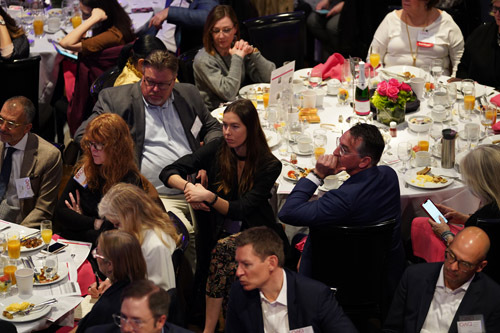 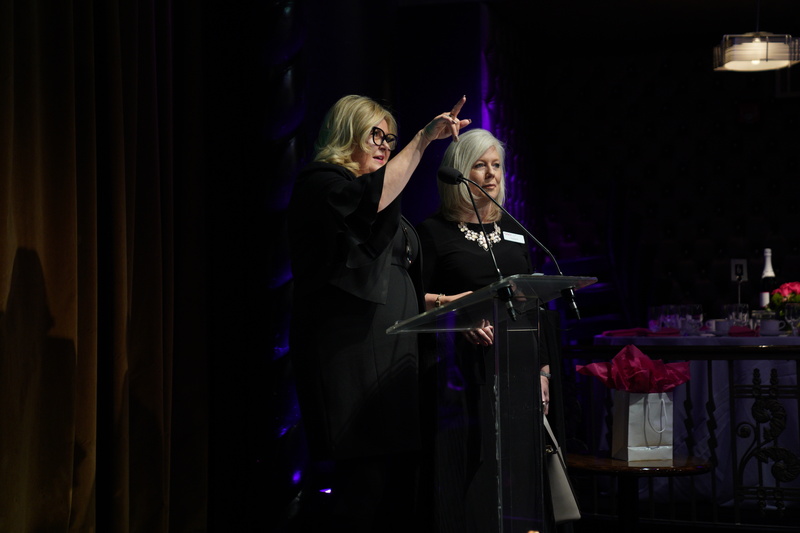 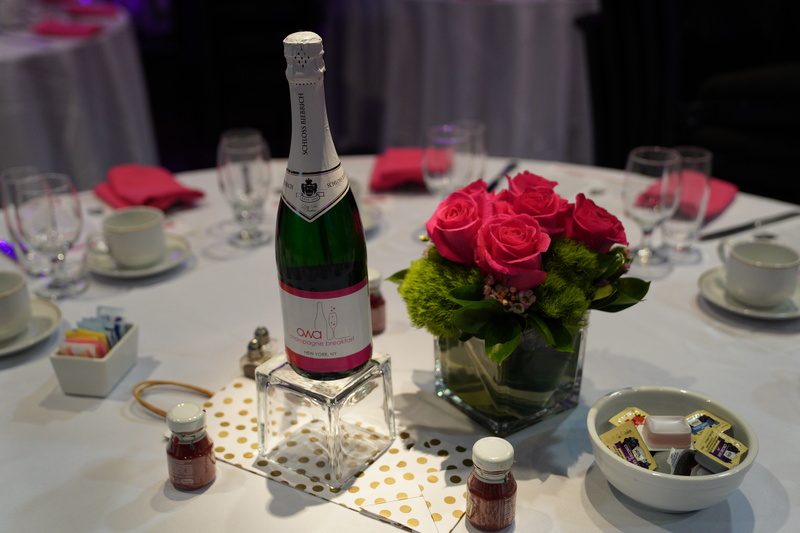 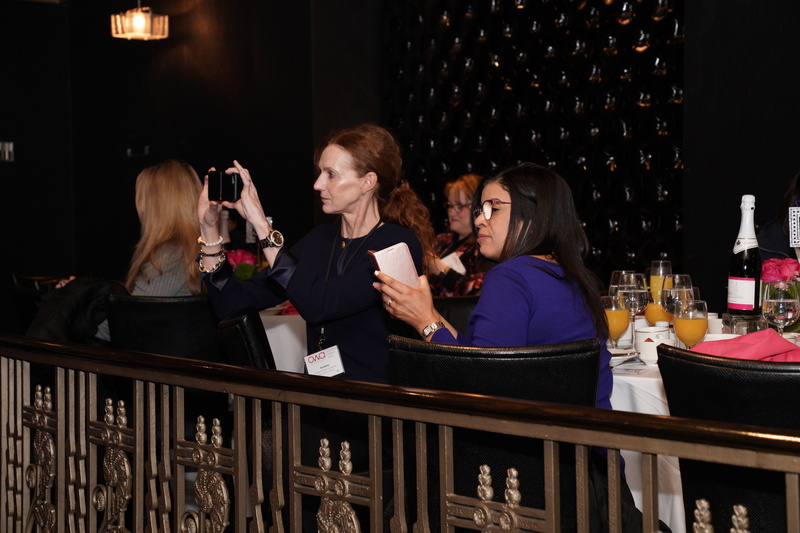 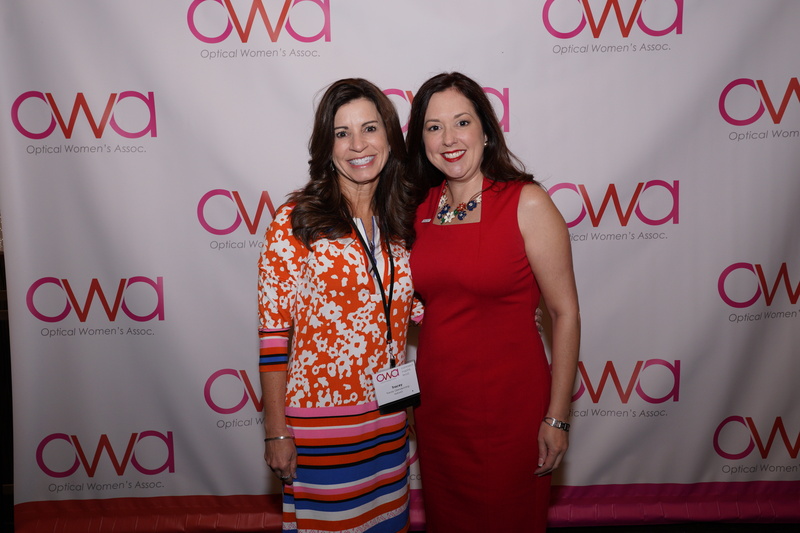 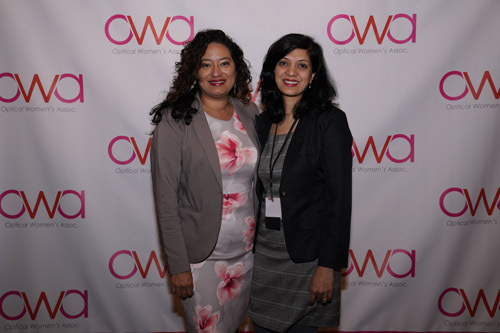 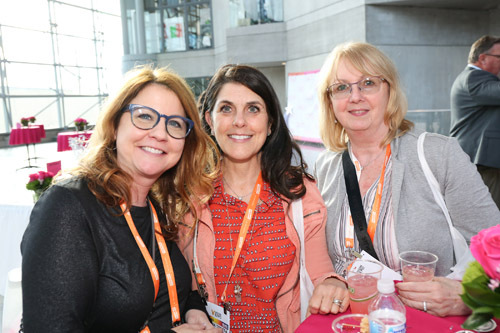 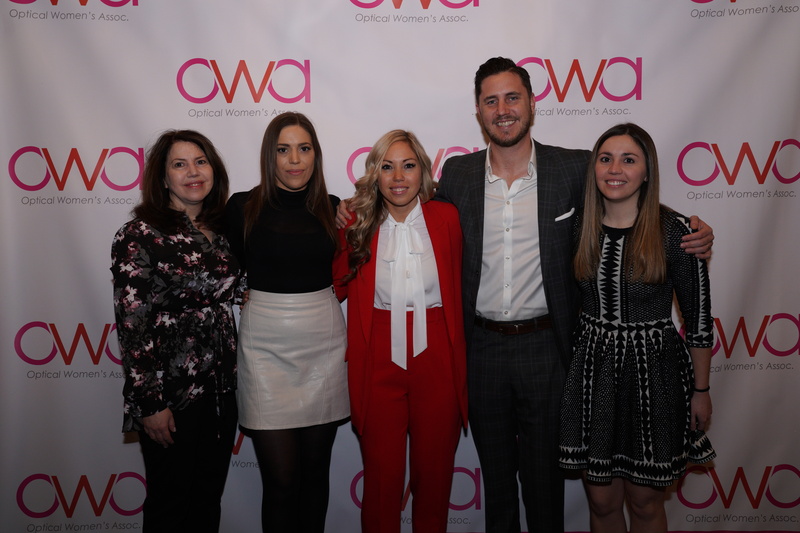 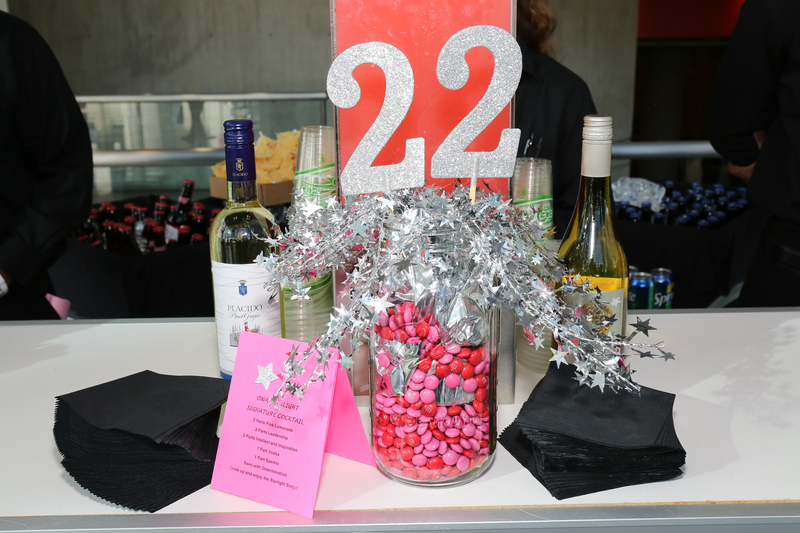 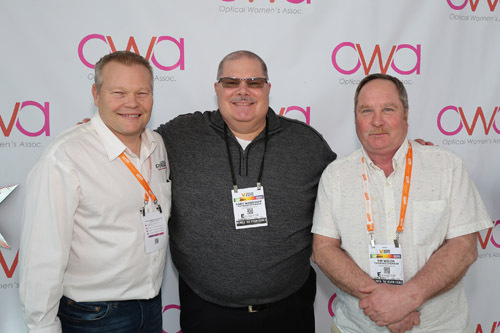 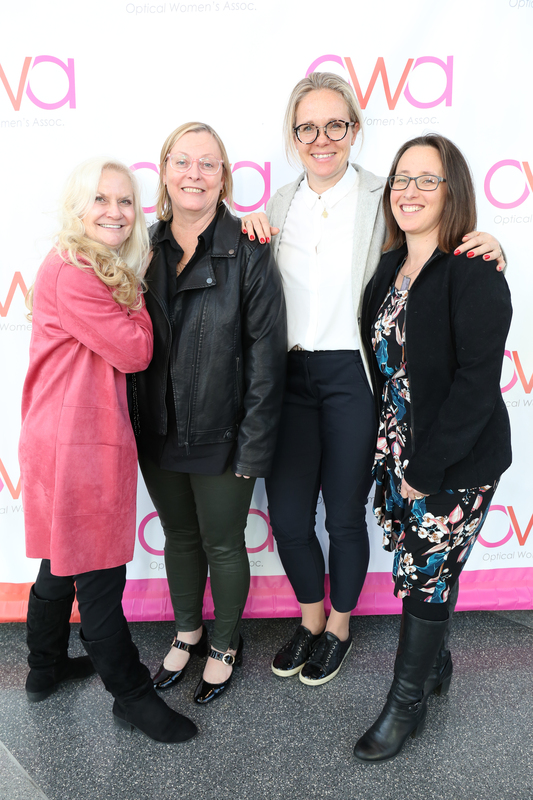 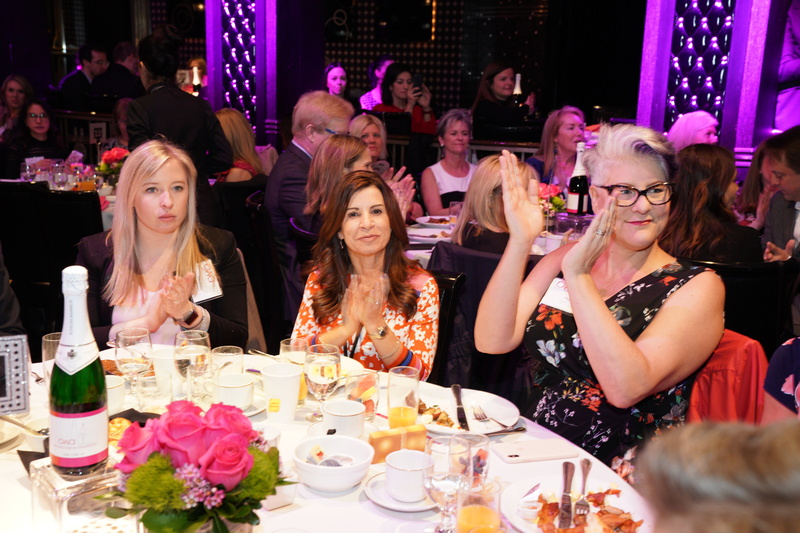 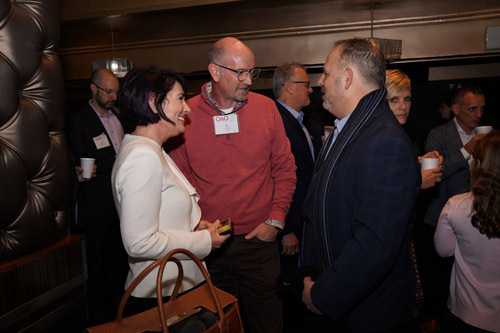 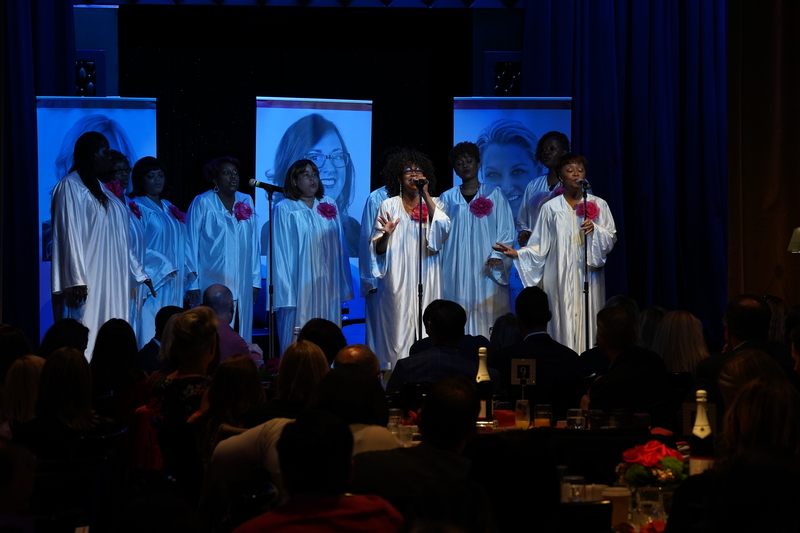 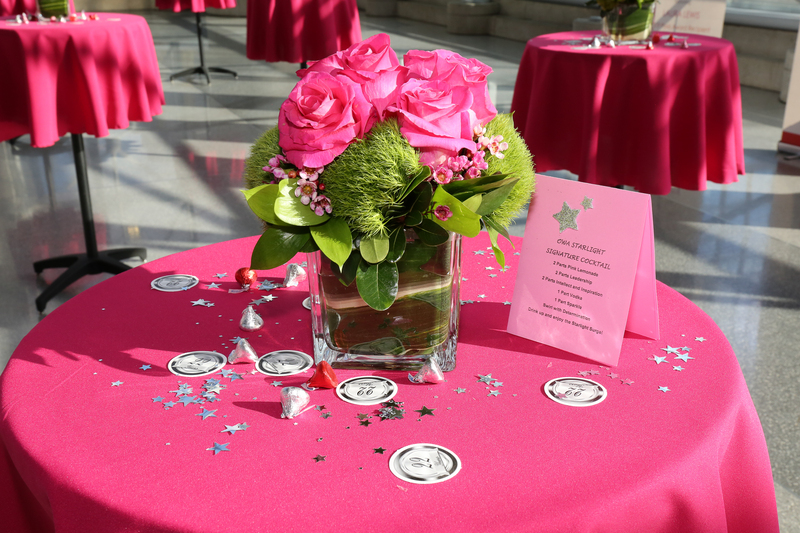 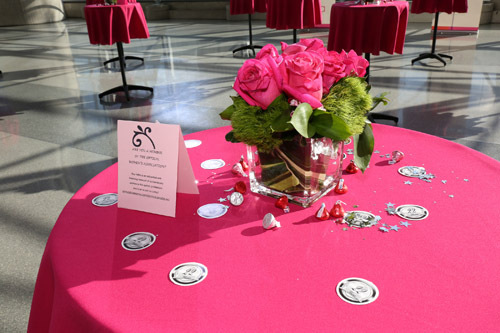 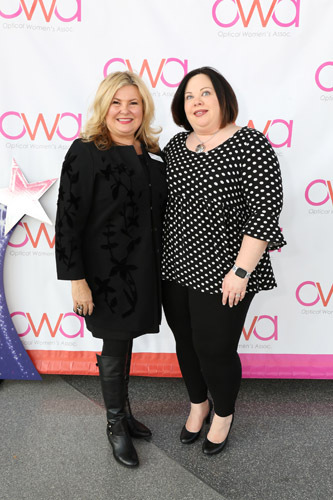 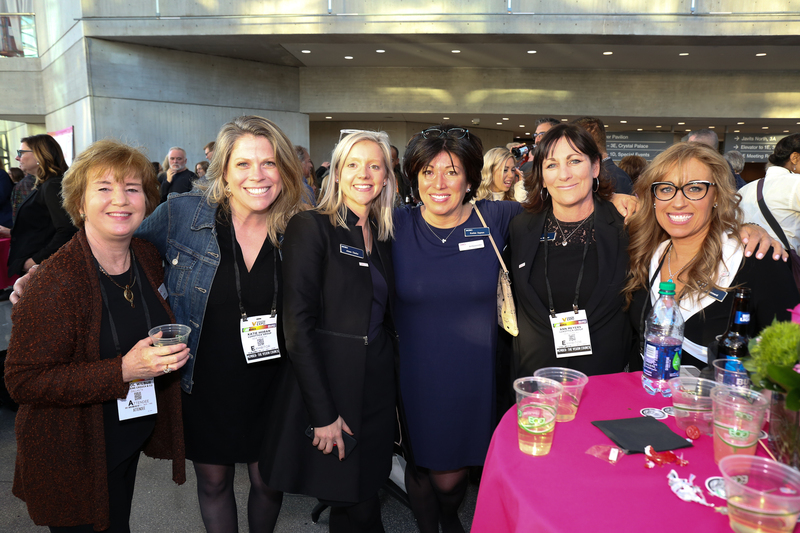 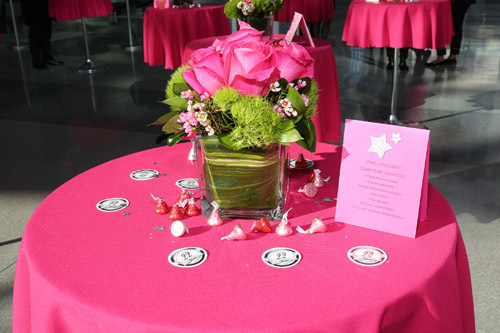 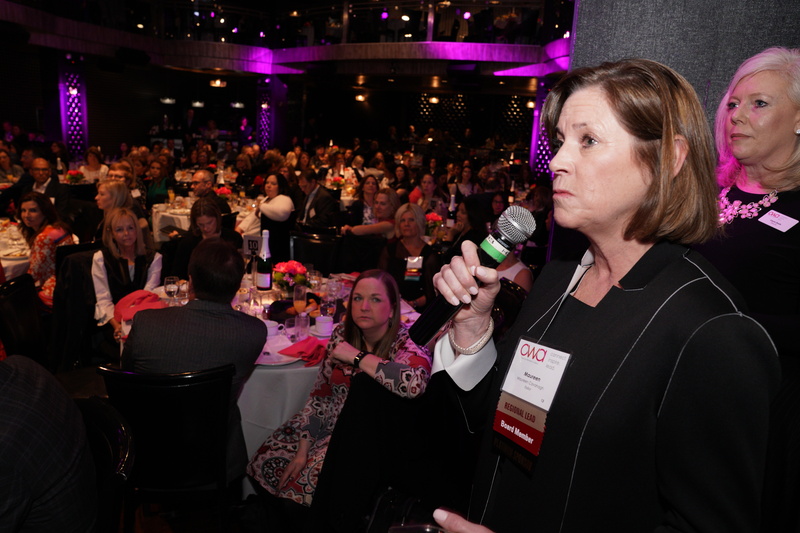 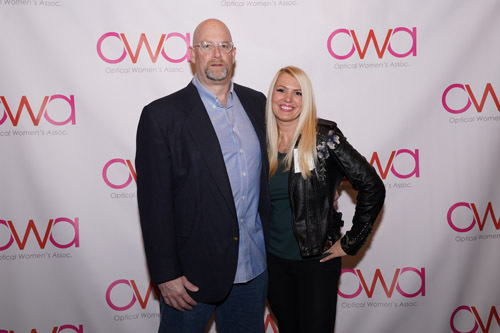 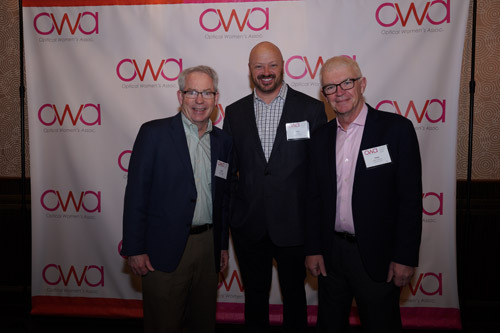 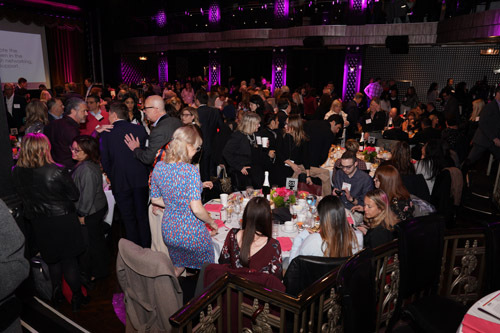 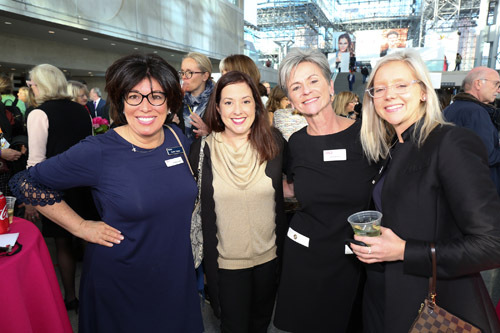 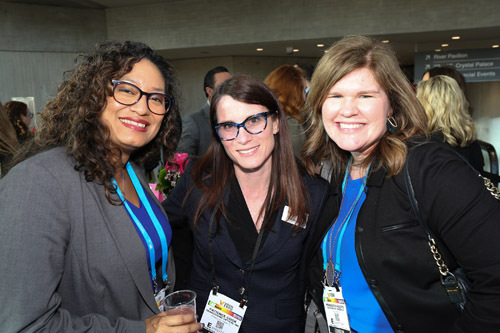 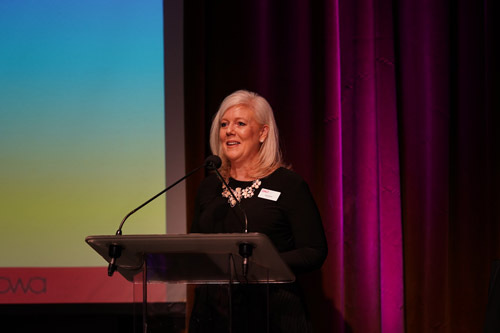 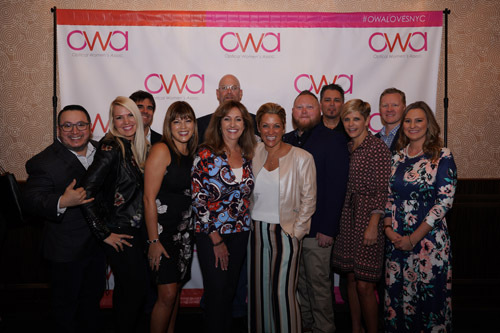 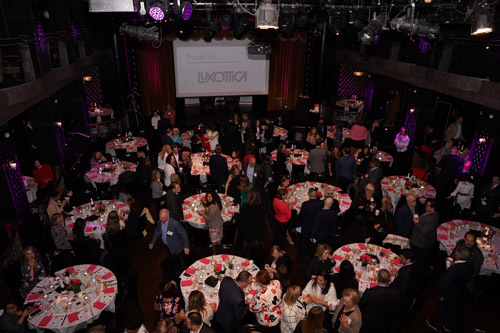 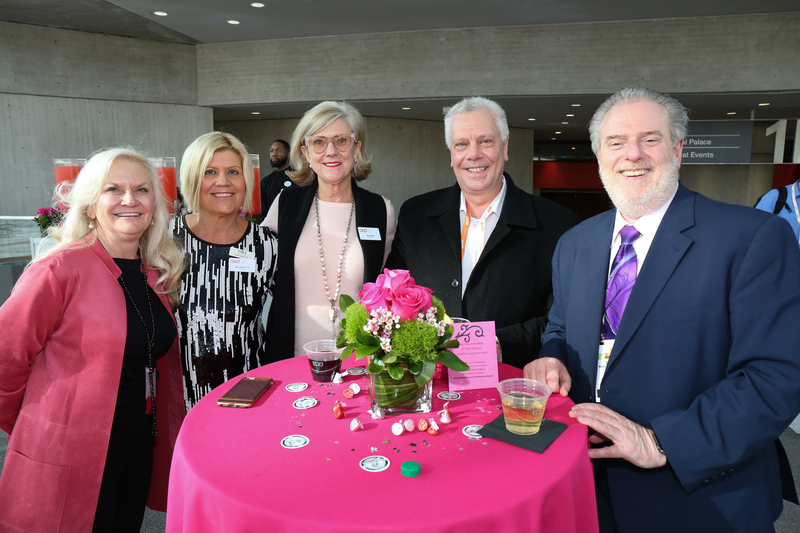 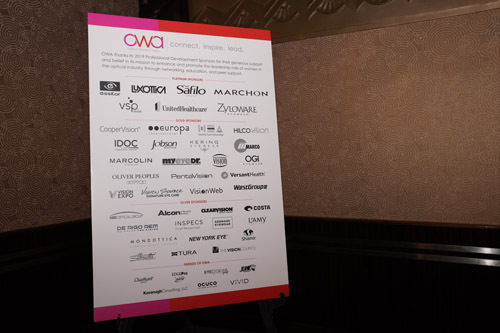 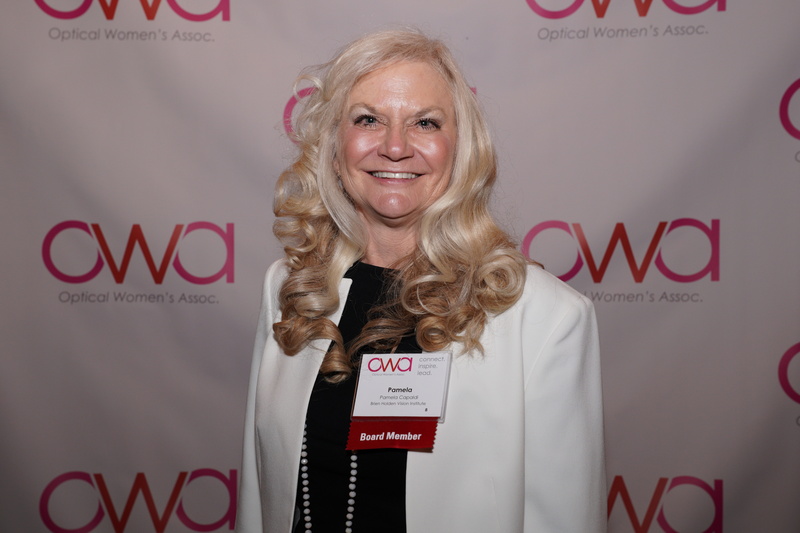 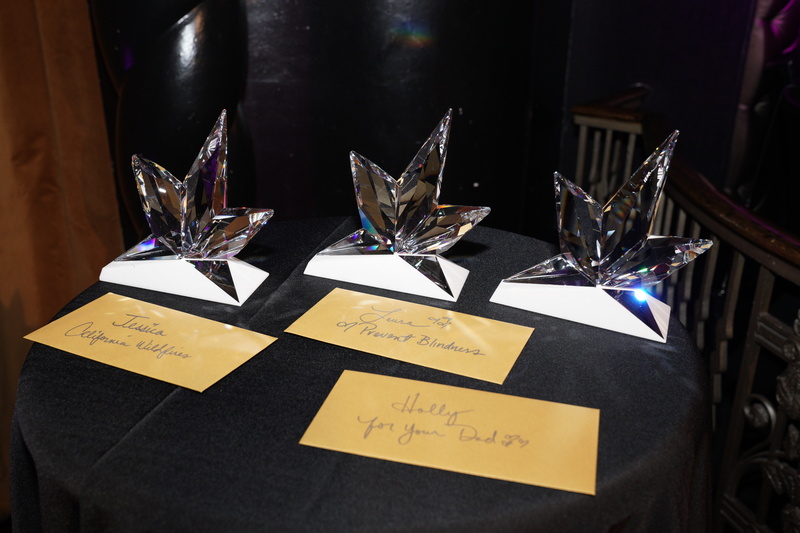 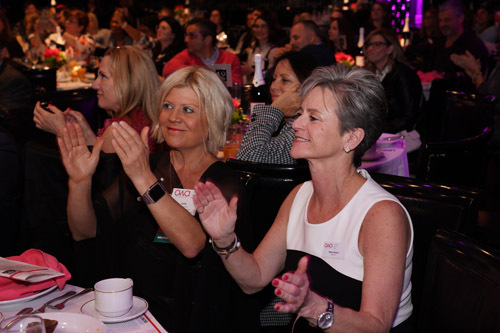 OWA members and guests gathered on March 22, 2019, as we celebrated the Optical Women's Association's "Star Birthday" — 22 years on the 22nd — of supporting and promoting the professional development of women involved in all facets of the optical industry! 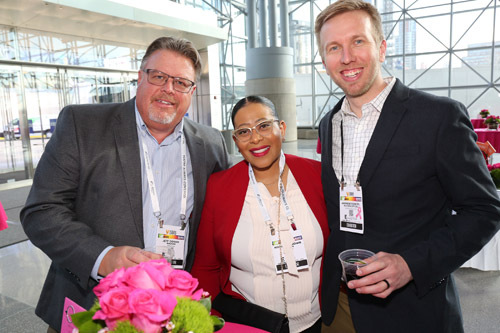 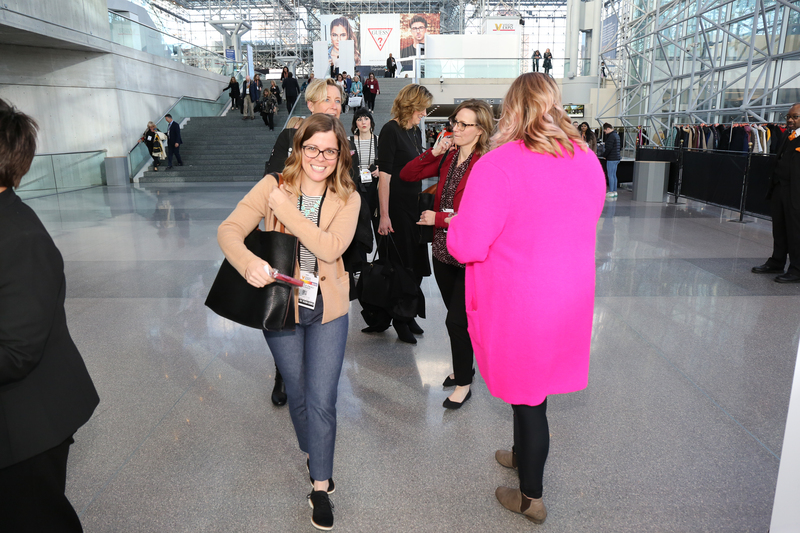 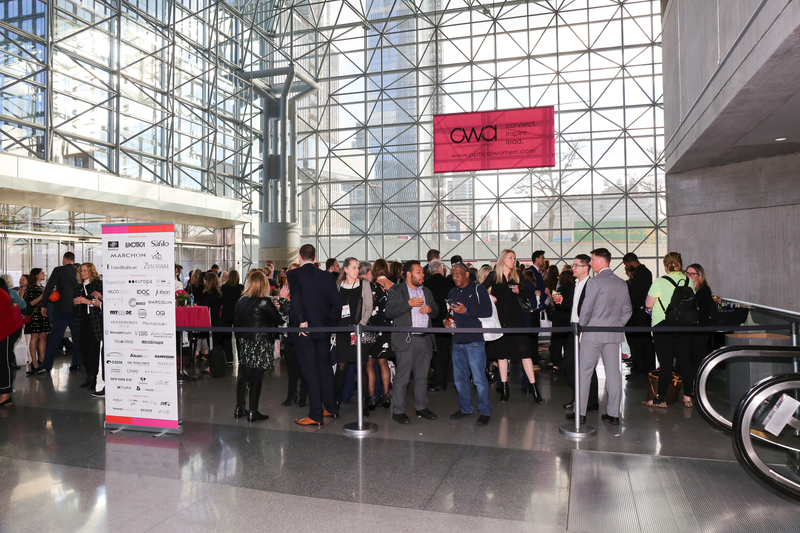 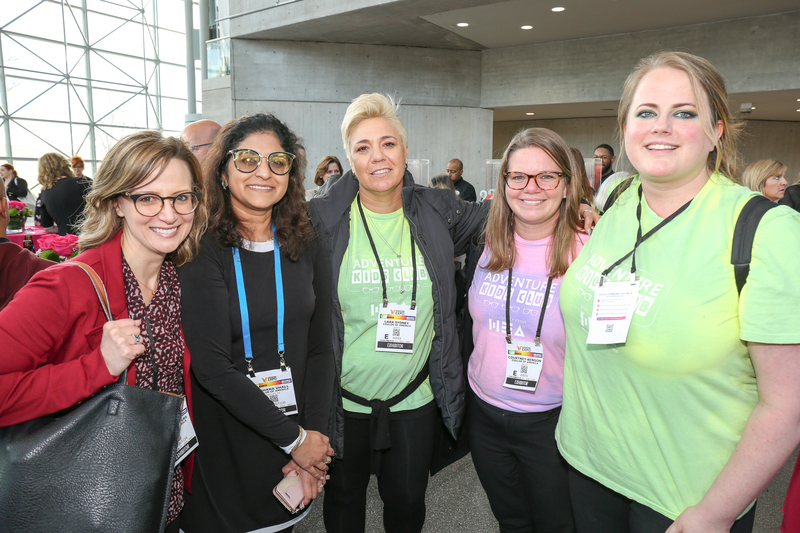 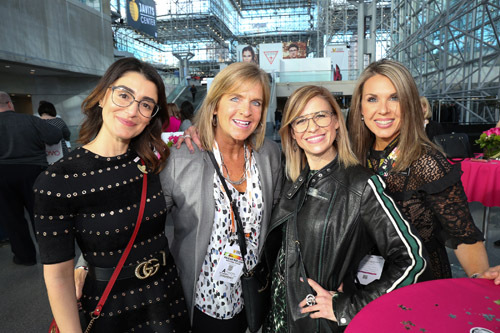 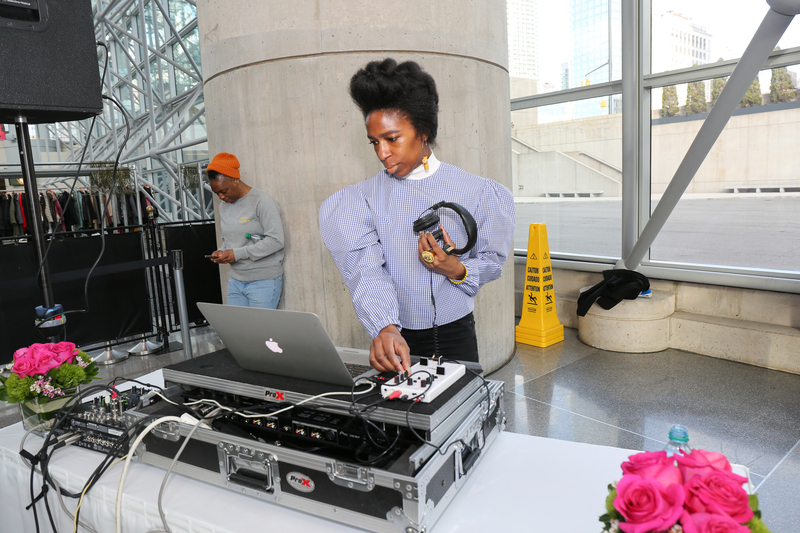 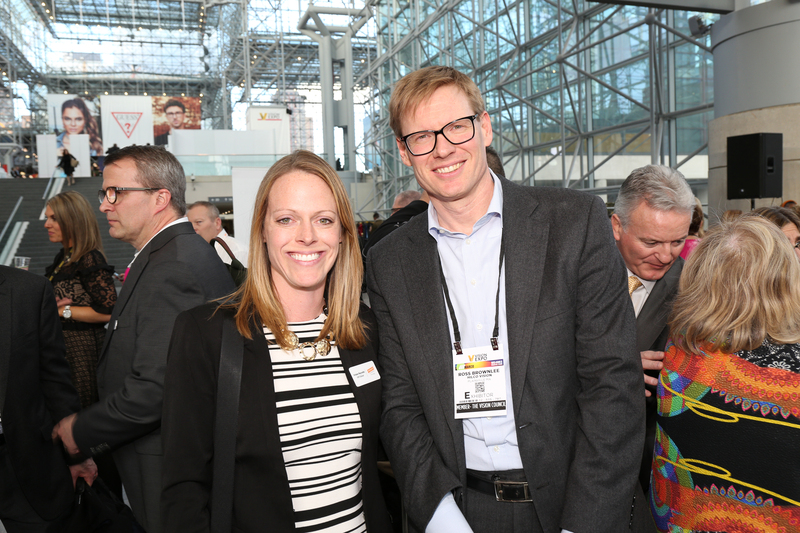 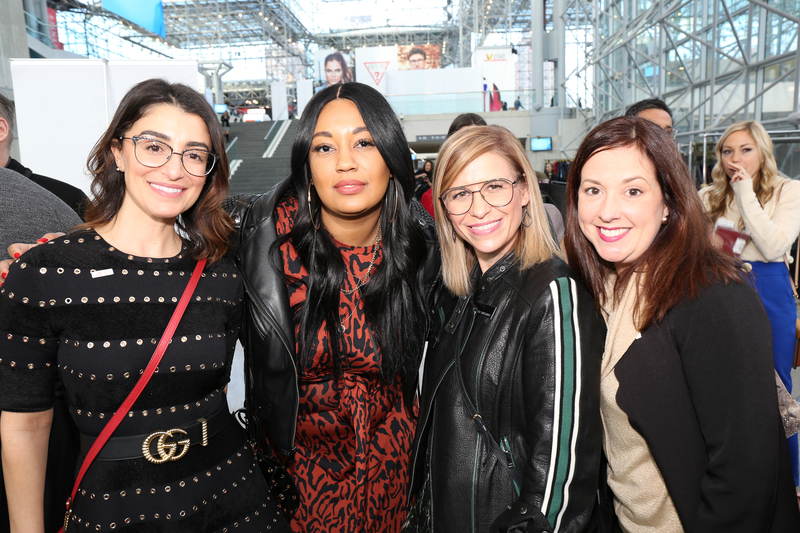 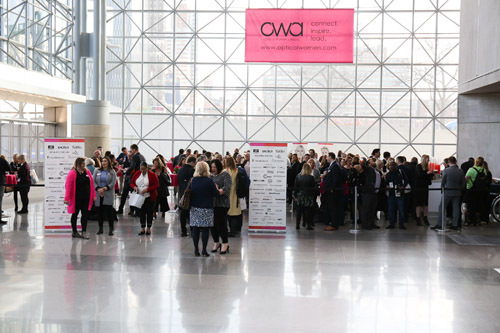 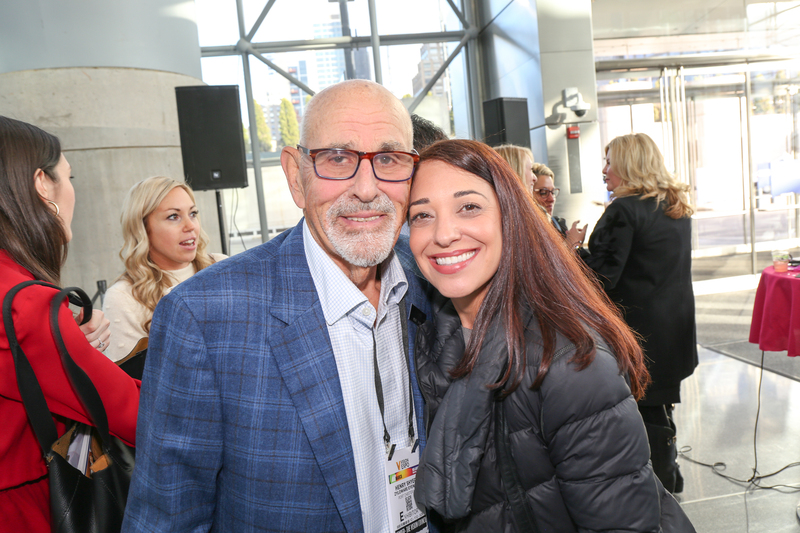 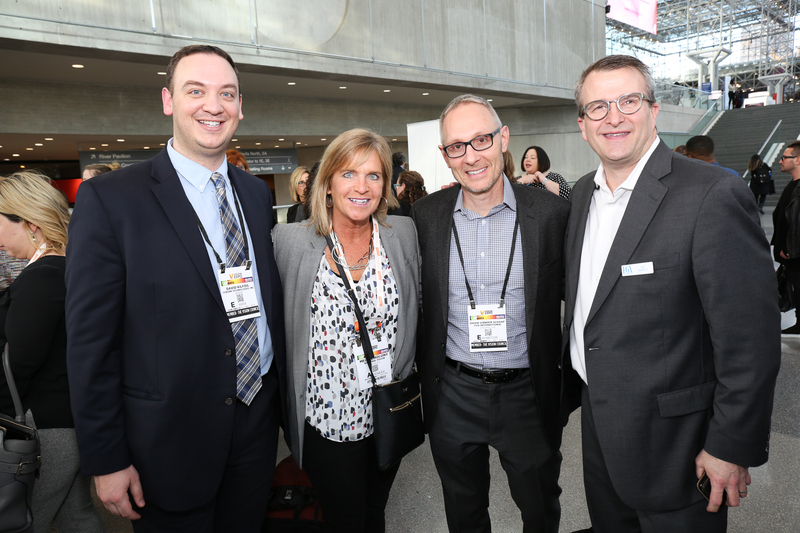 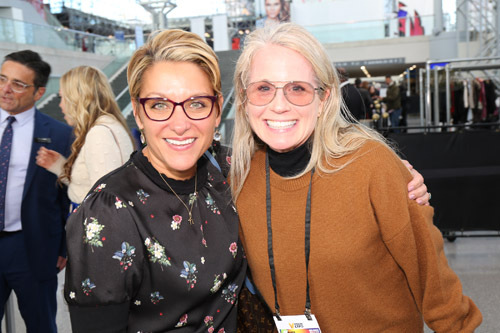 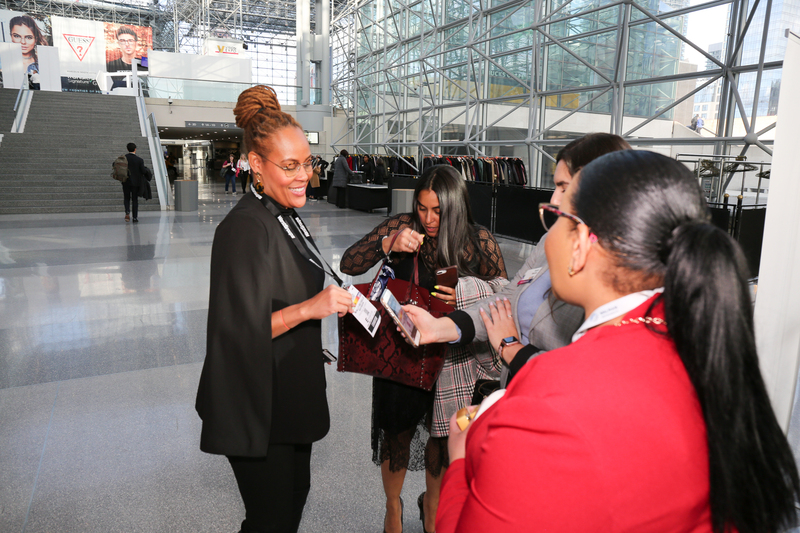 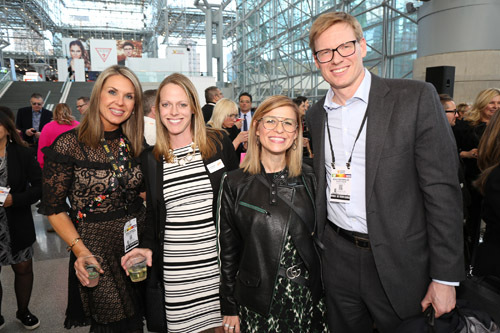 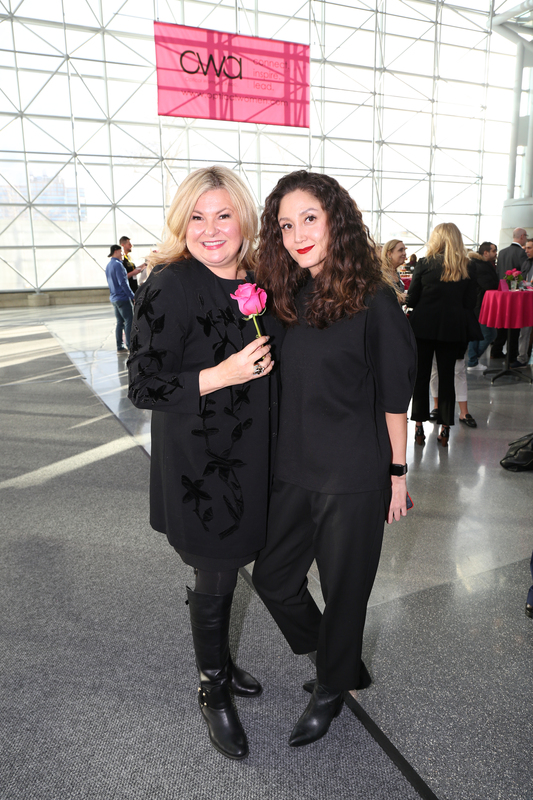 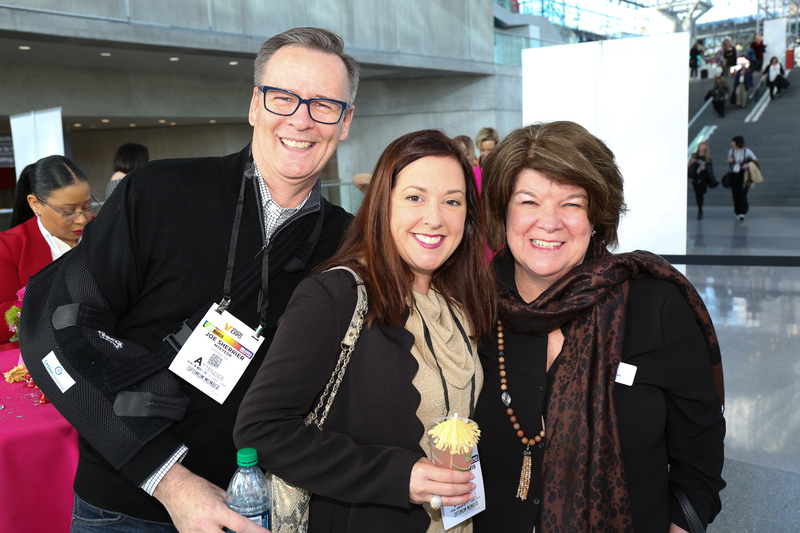 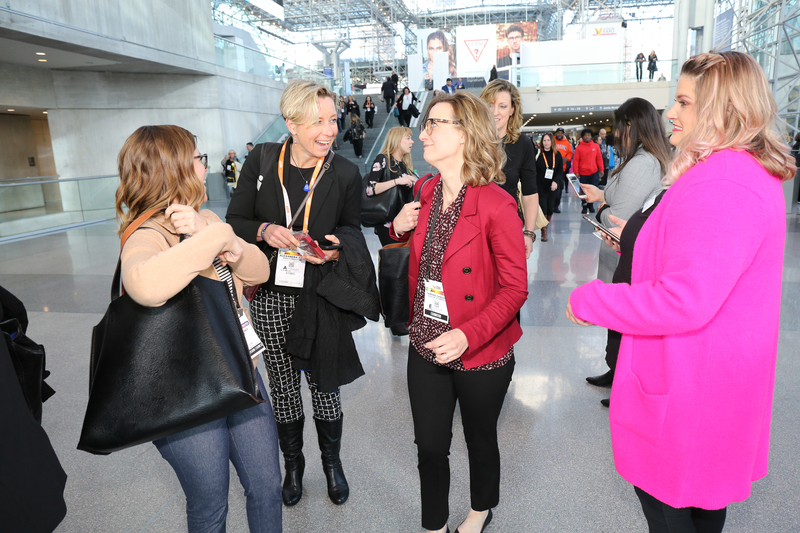 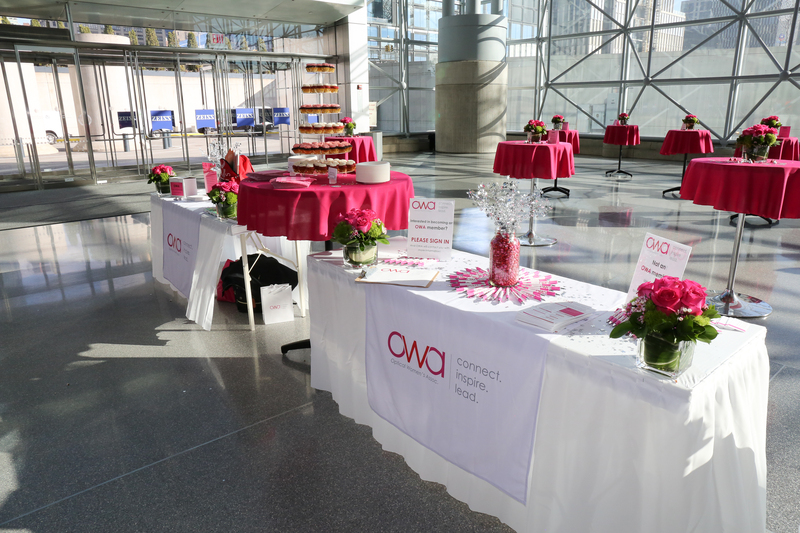 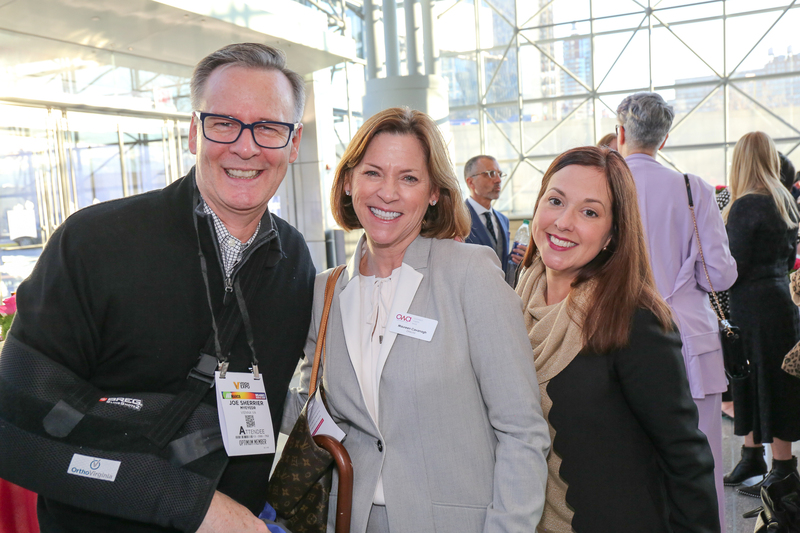 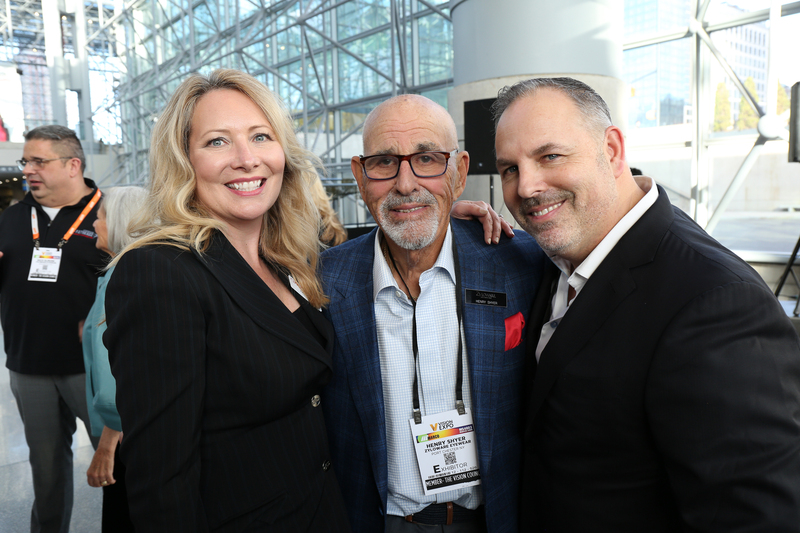 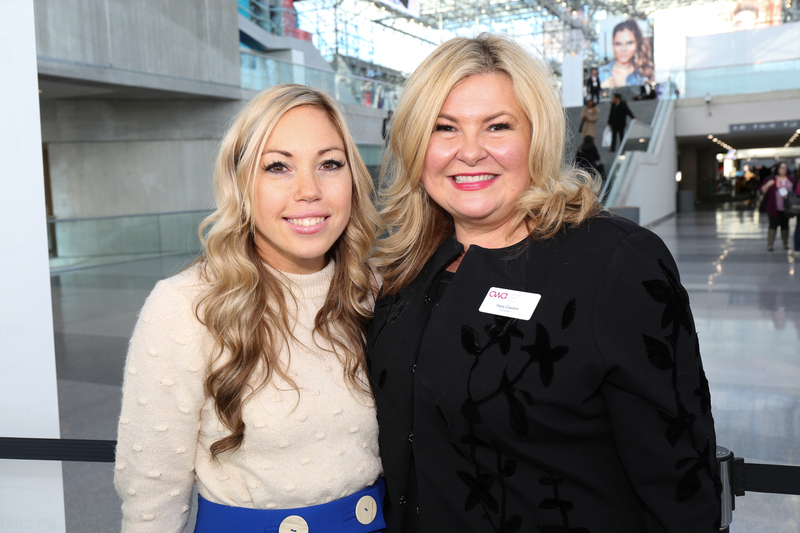 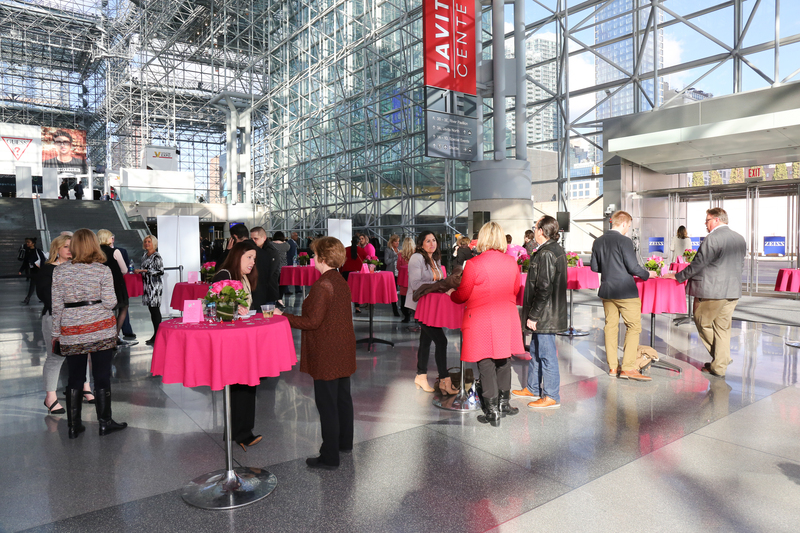 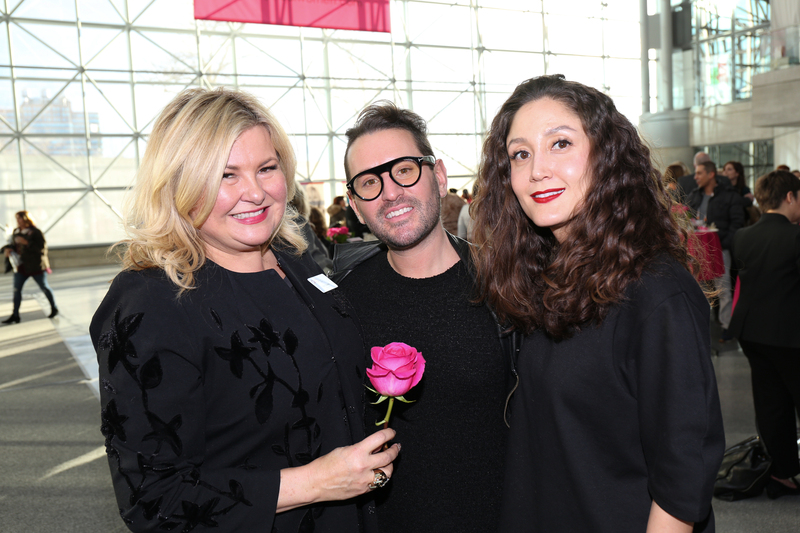 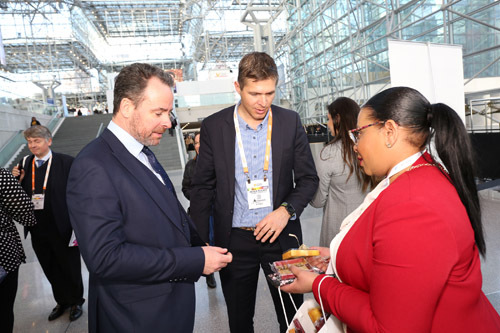 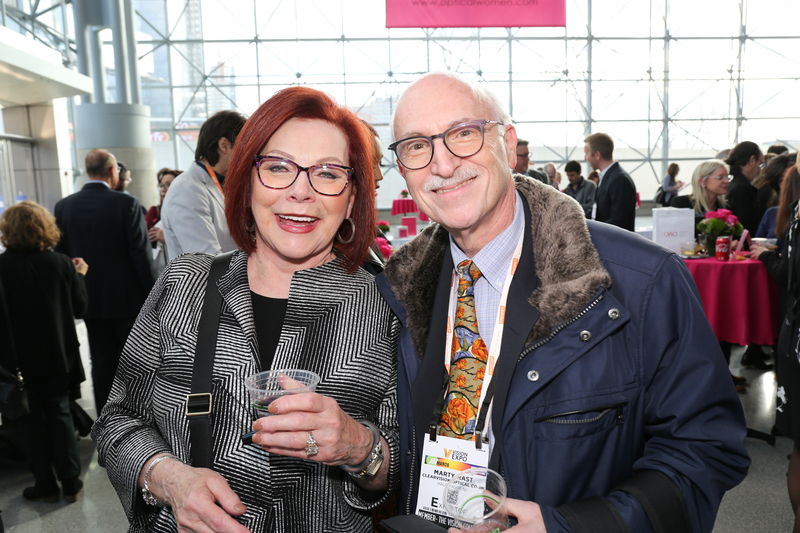 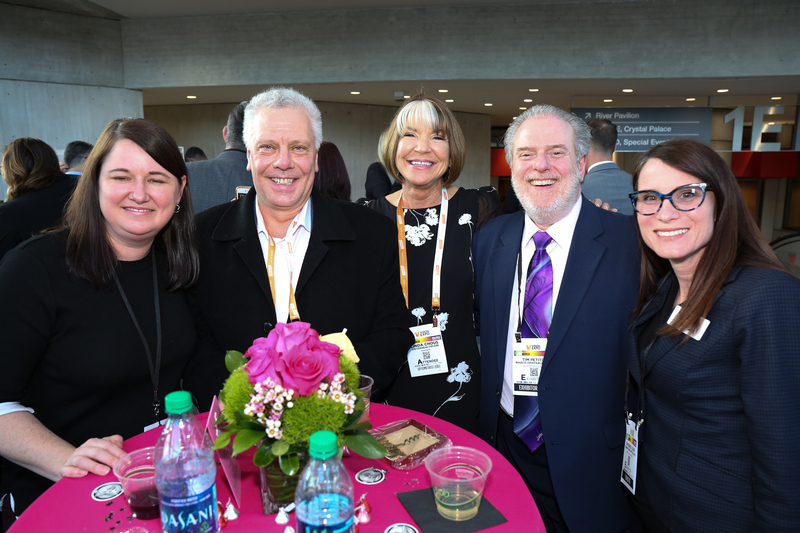 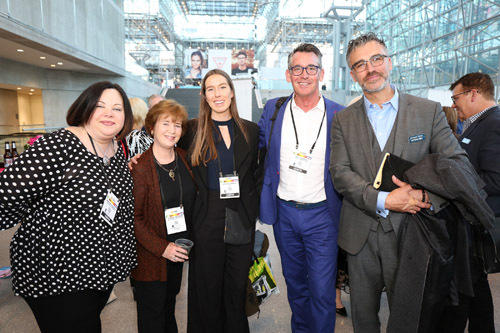 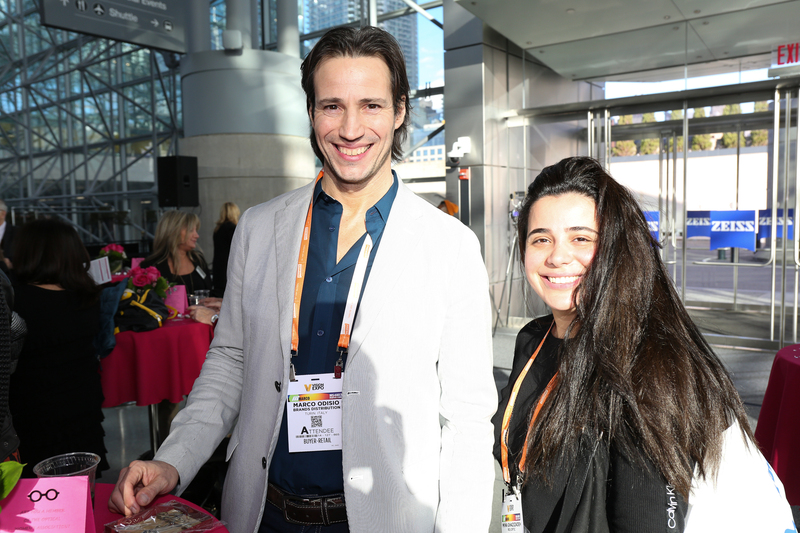 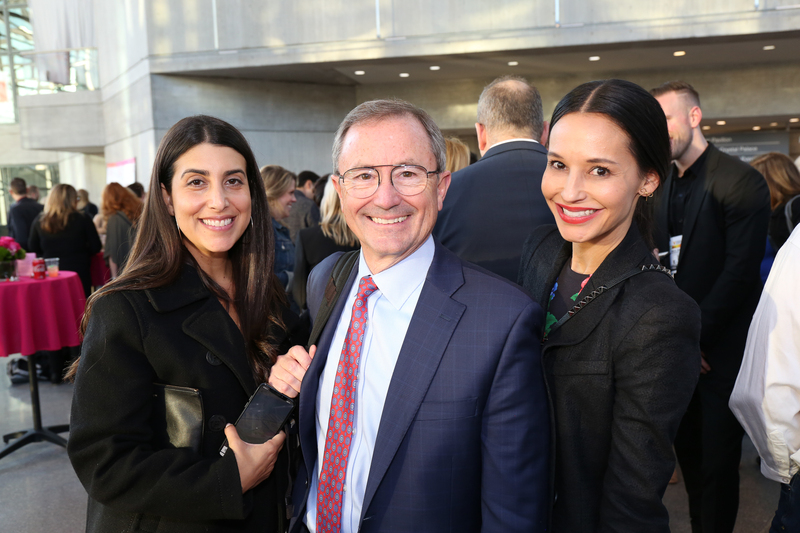 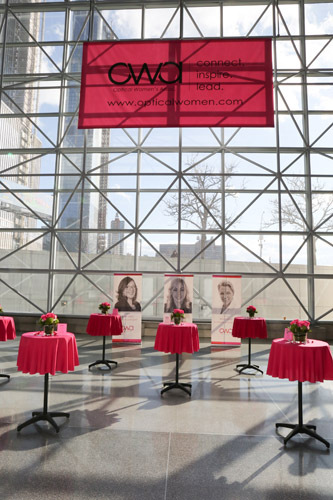 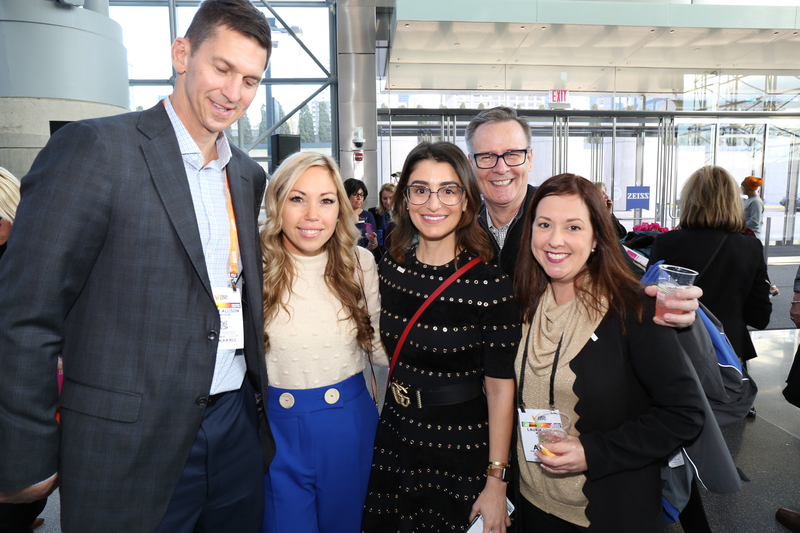 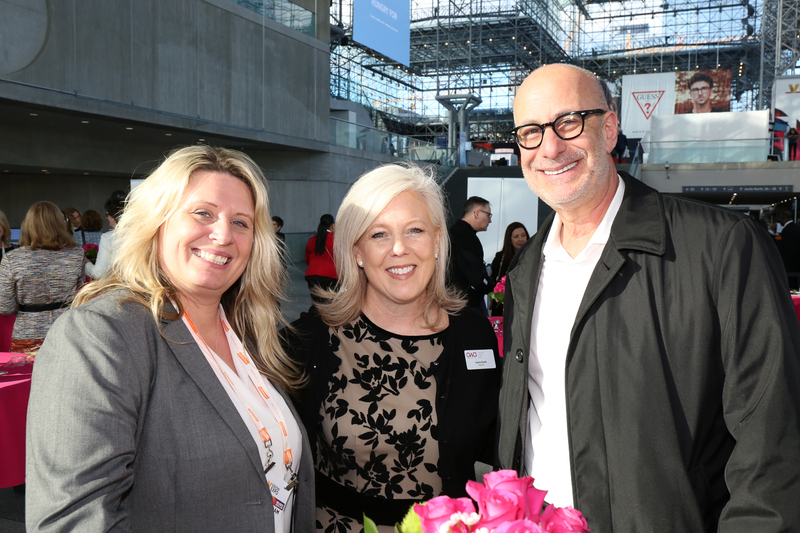 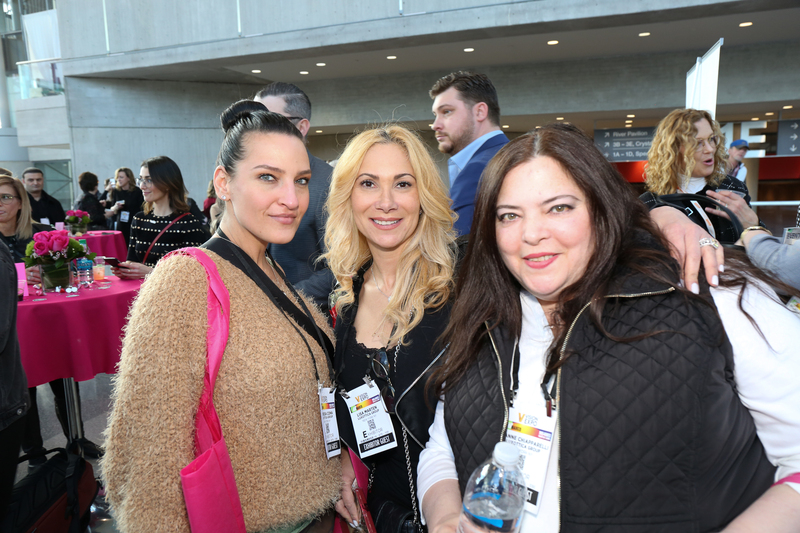 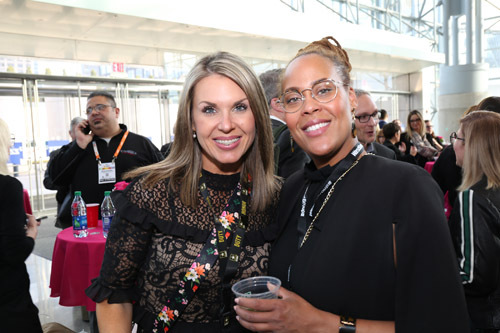 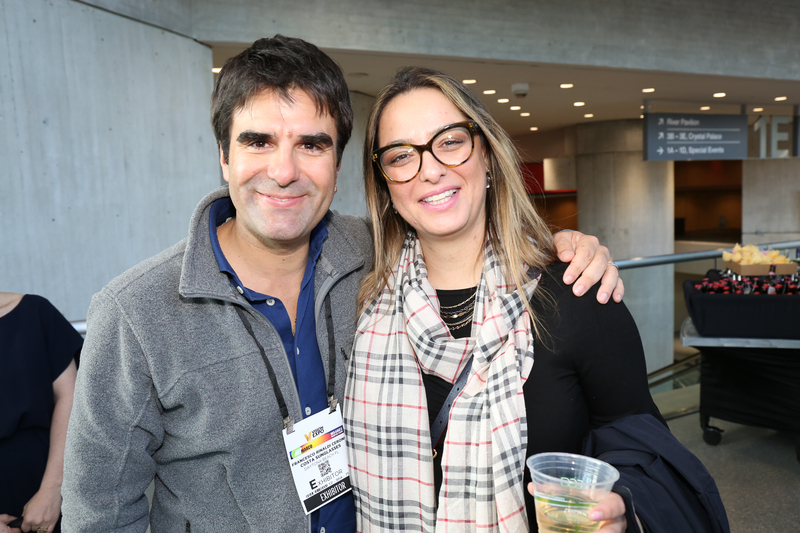 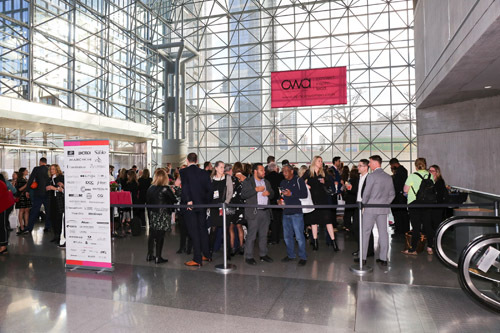 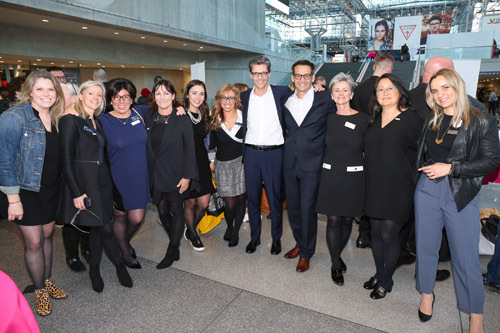 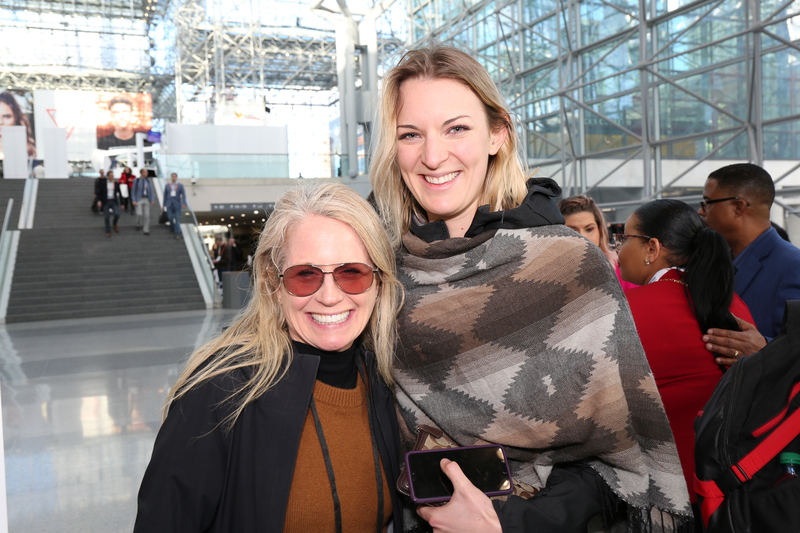 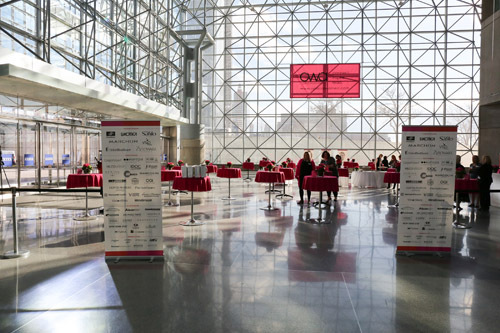 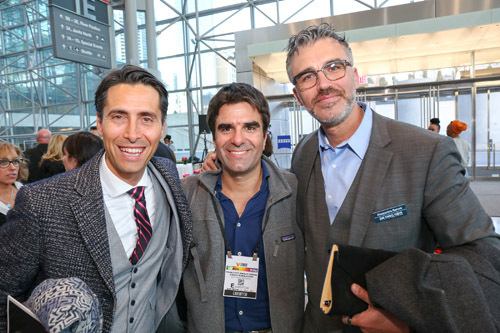 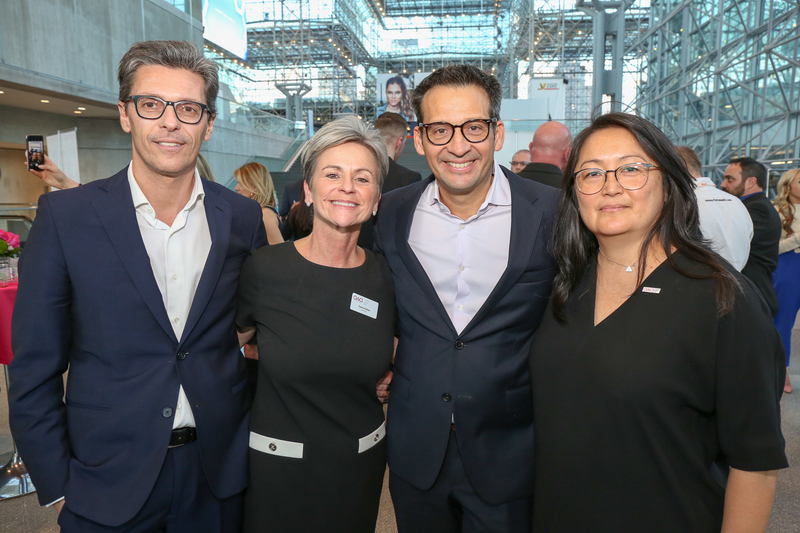 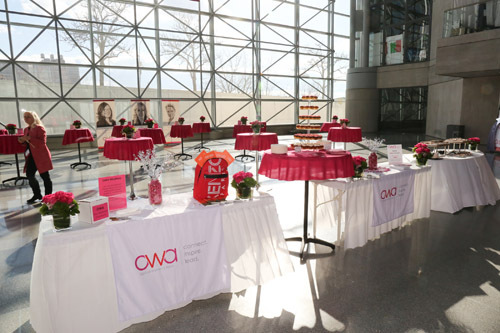 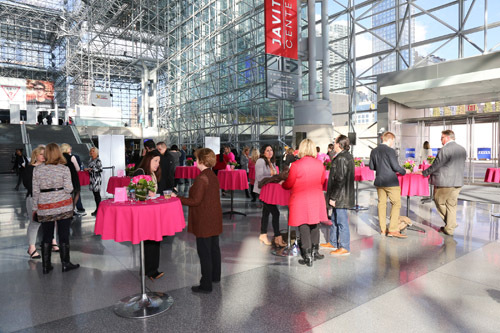 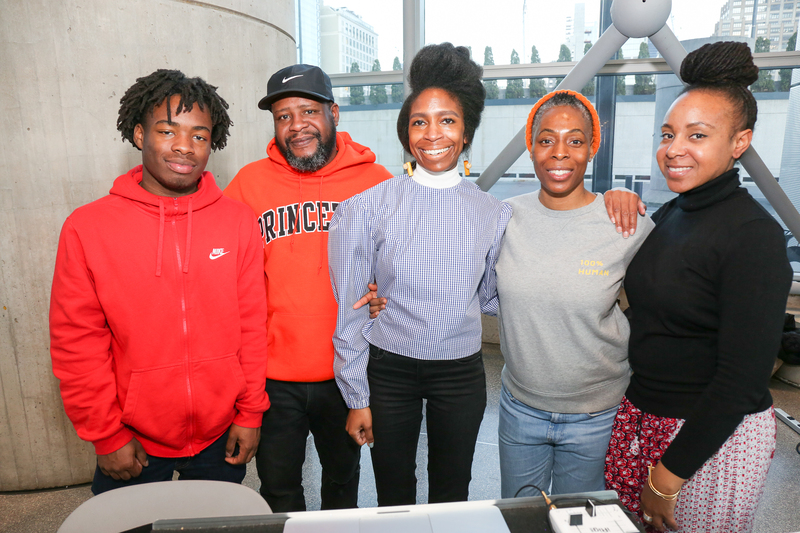 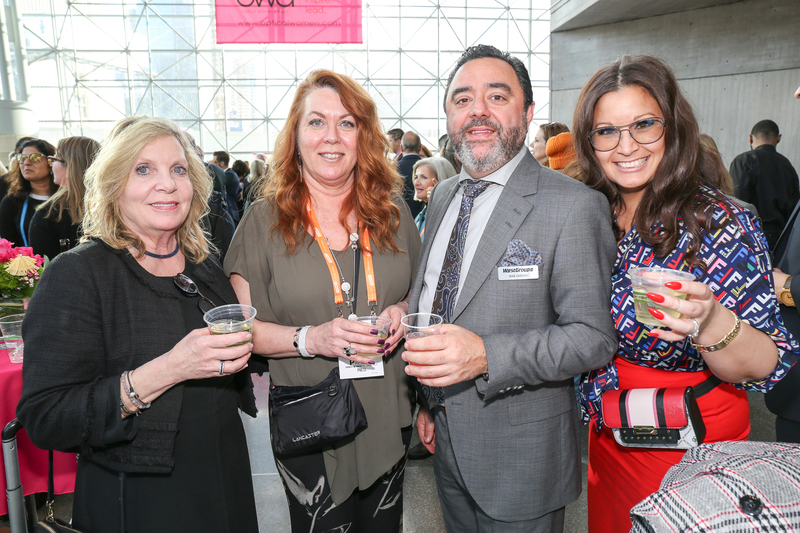 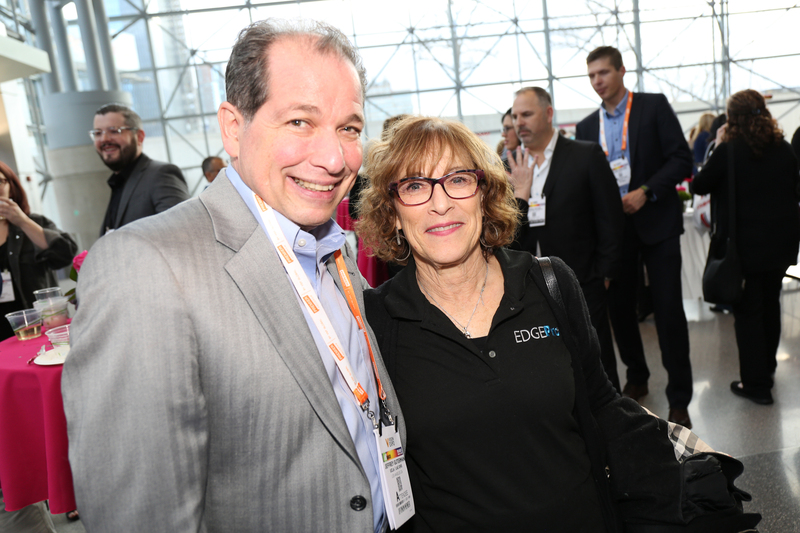 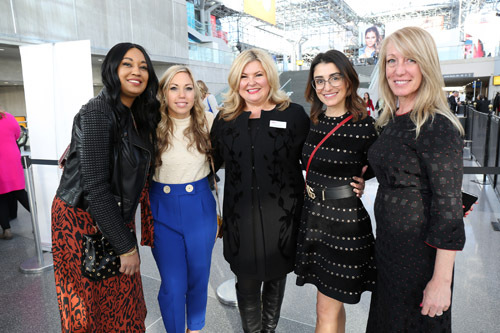 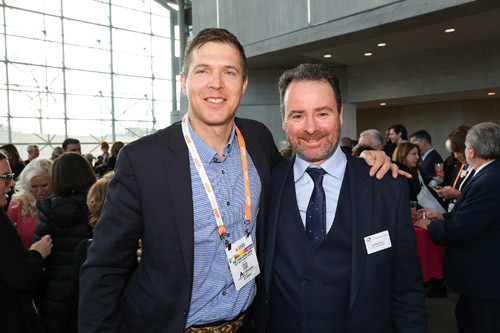 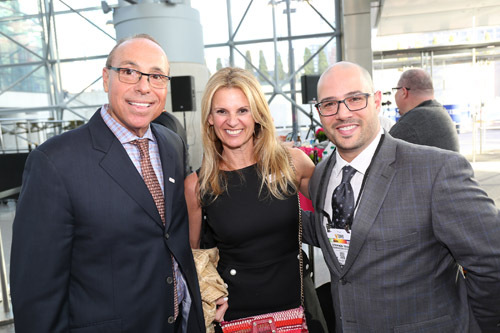 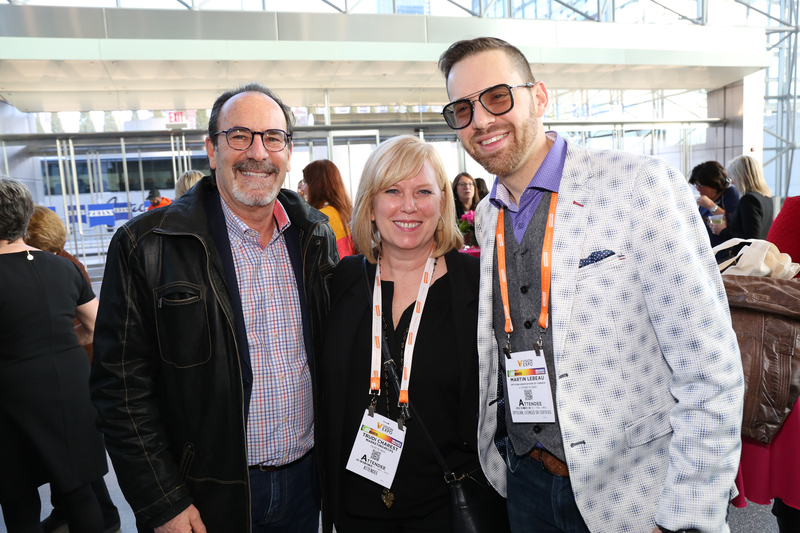 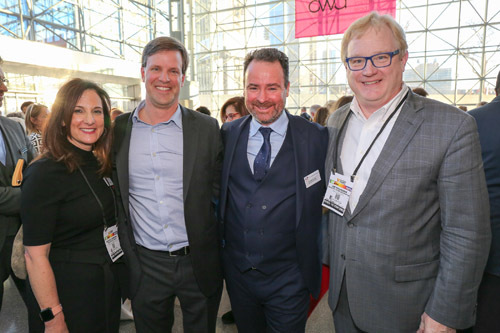 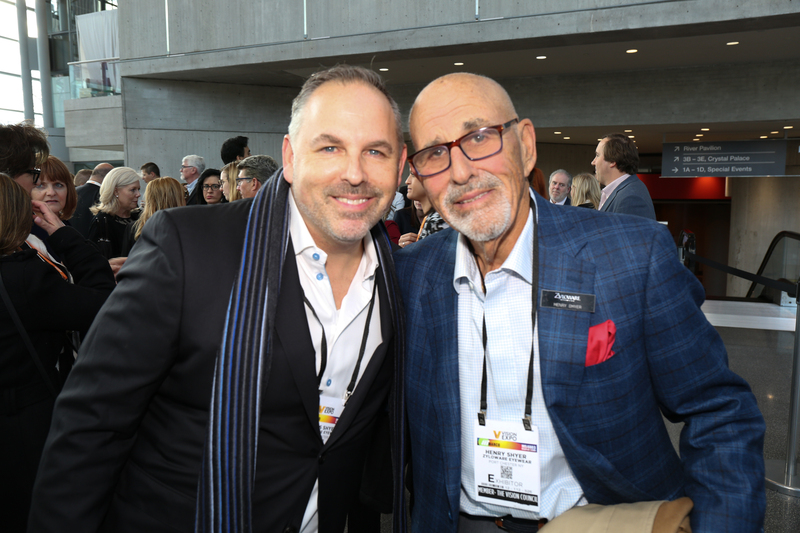 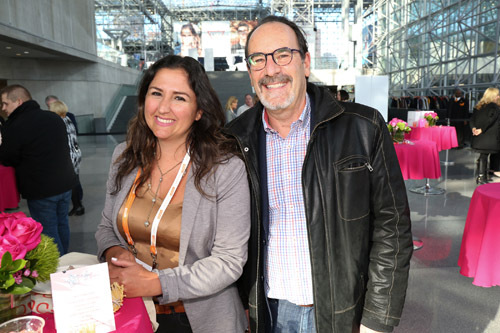 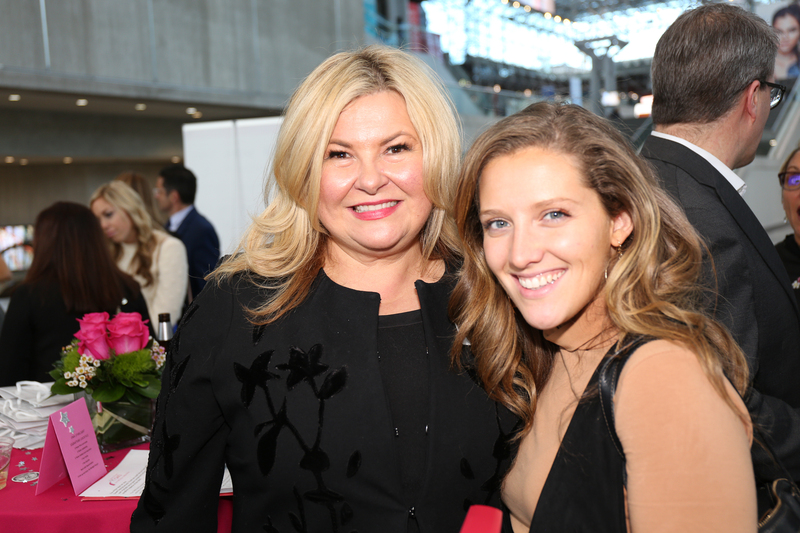 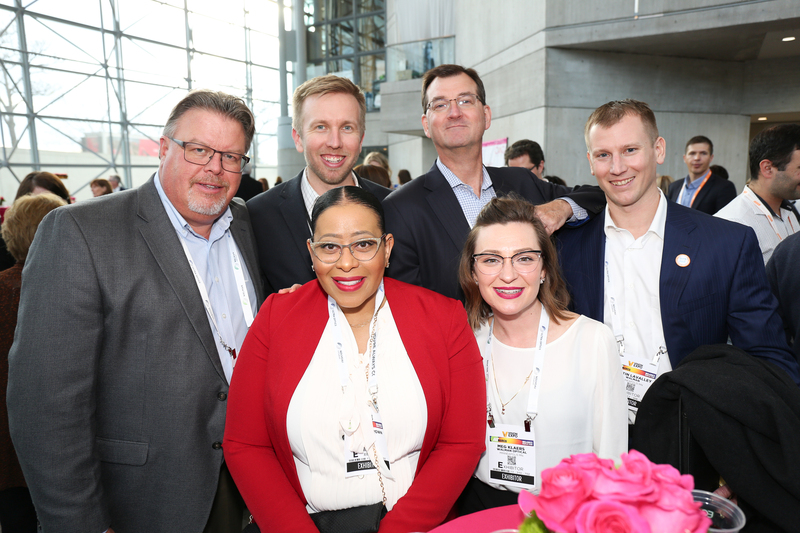 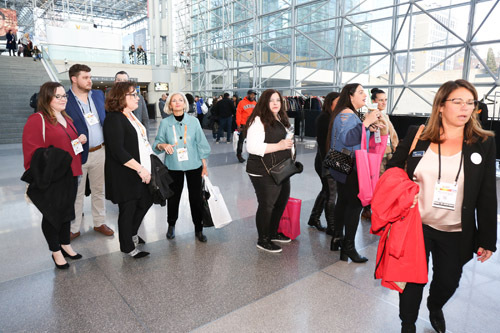 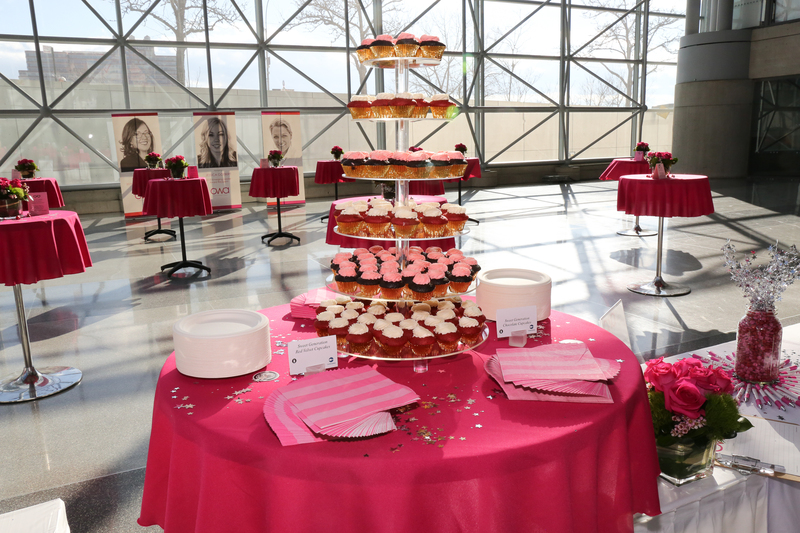 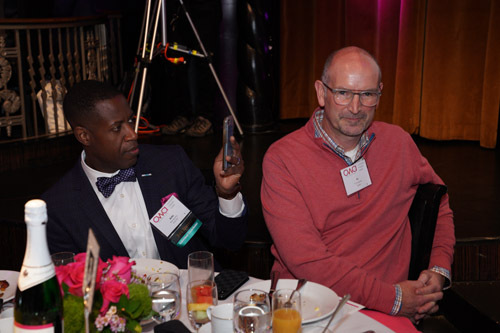 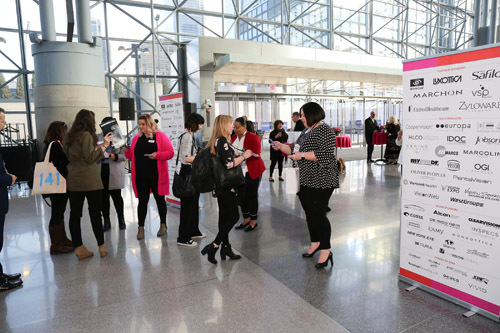 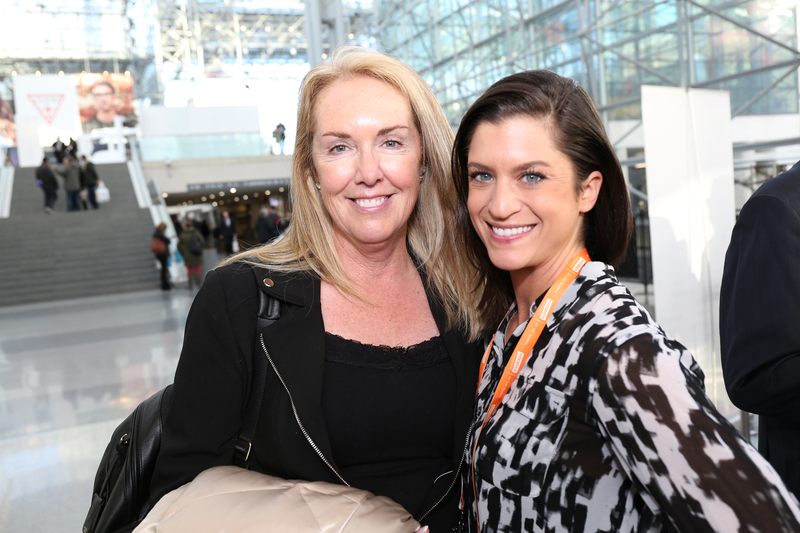 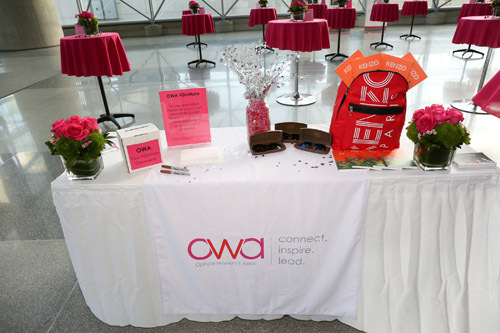 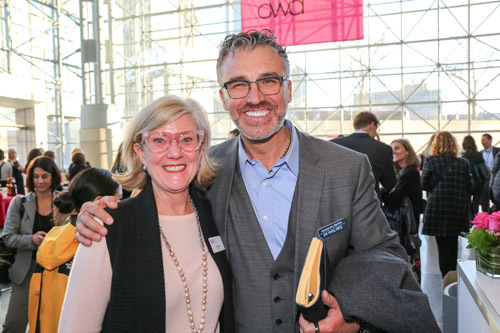 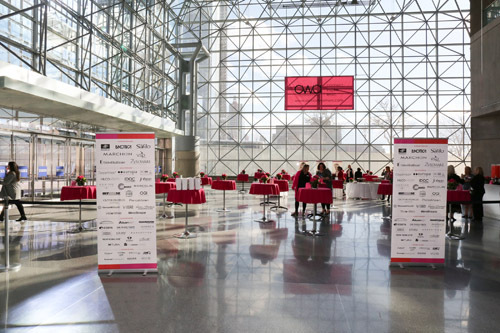 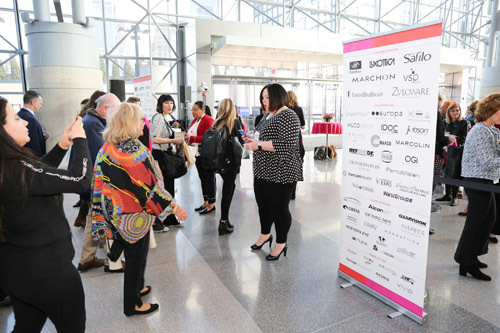 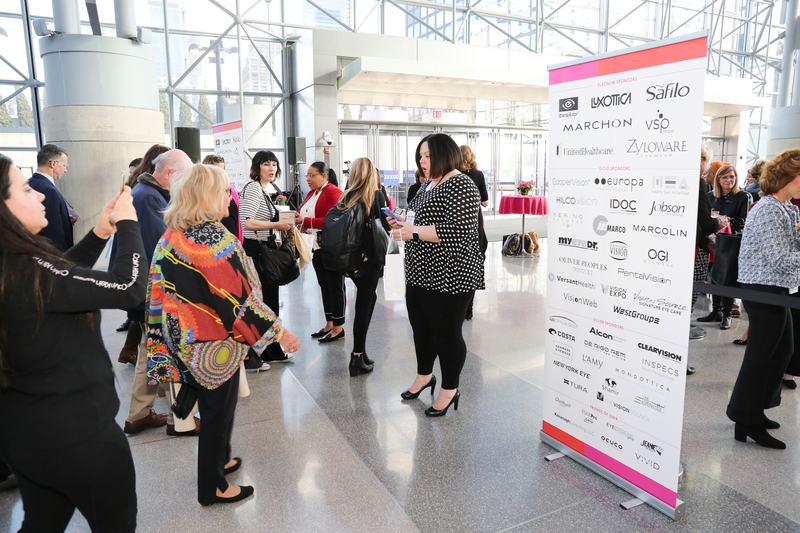 For the first time, the OWA Friday event was held in the Javits, allowing optical professionals easier access to this annual celebration. 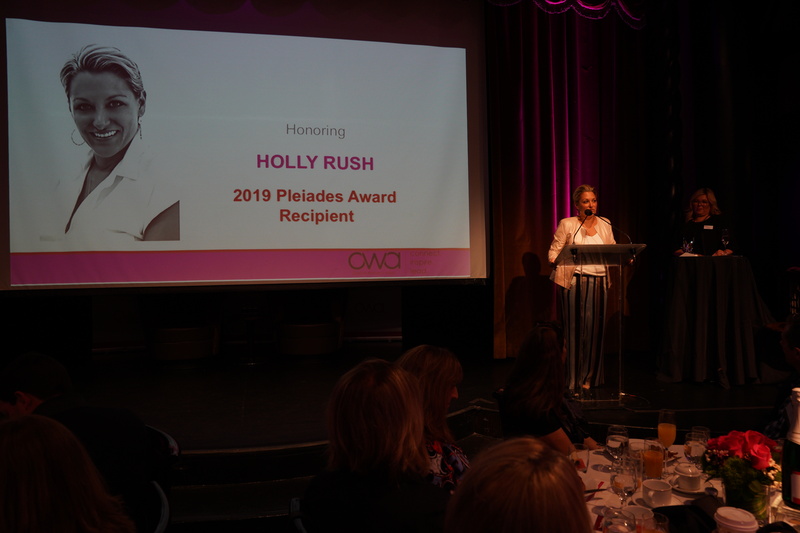 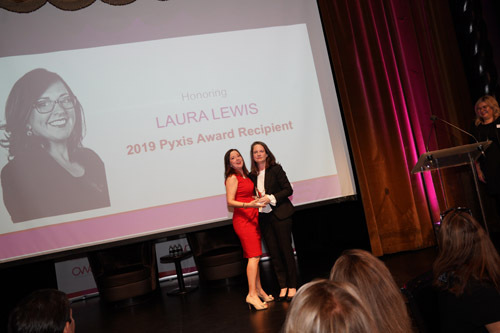 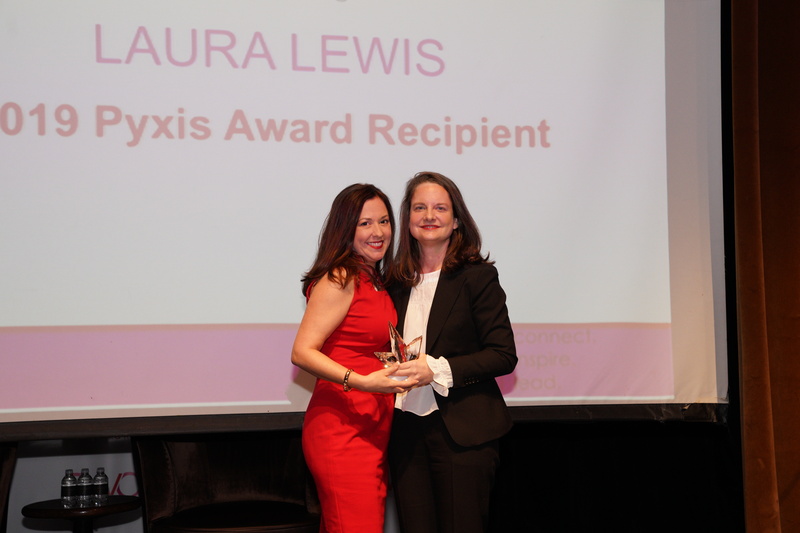 Members and non-members alike networked while enjoying cocktails and cupcakes, all while honoring the OWA's three award winners — Holly Rush (Pleiades Award), Laura Lewis (Pyxis Award), and Jessica Goebert (Emerging Leader Award).